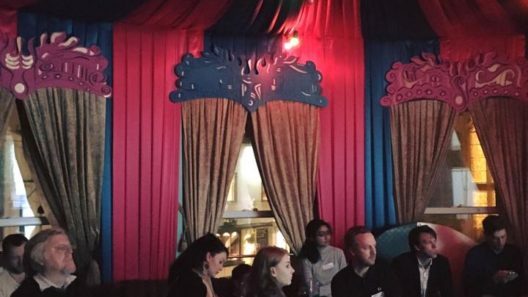 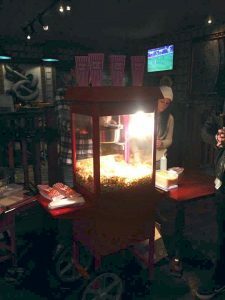 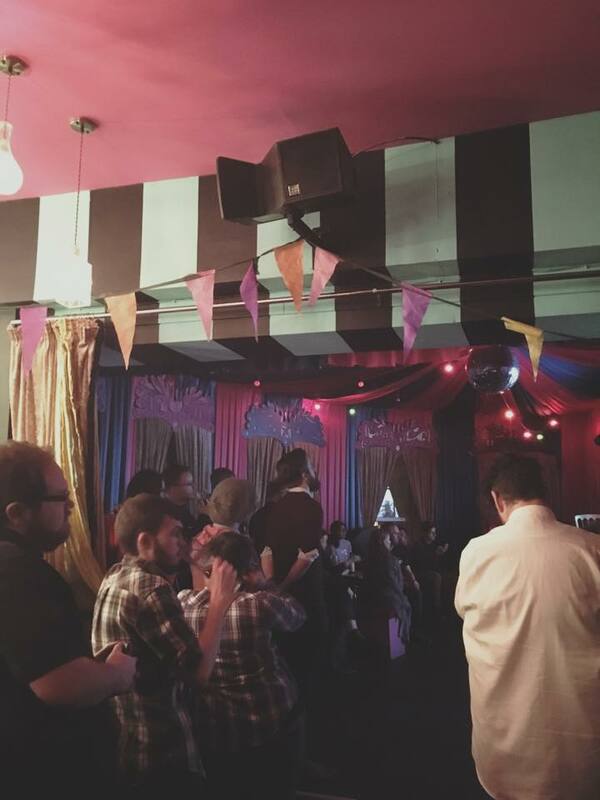 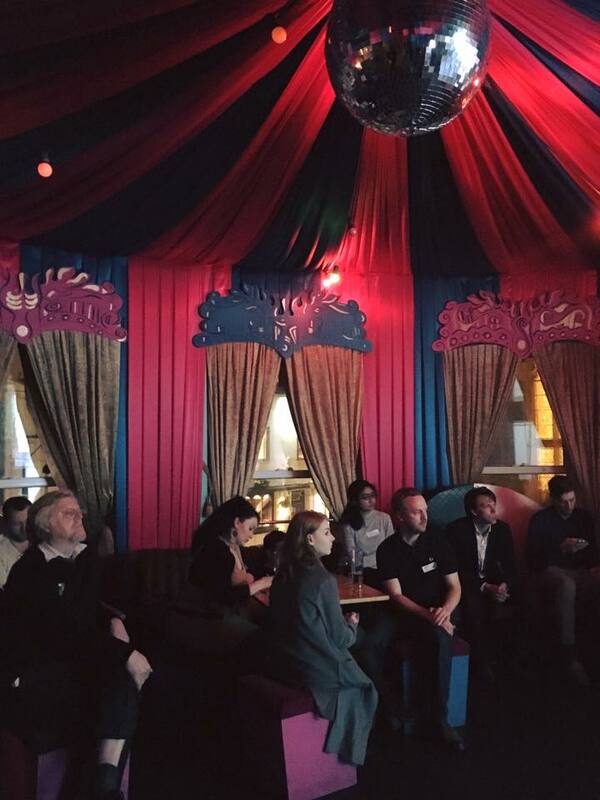 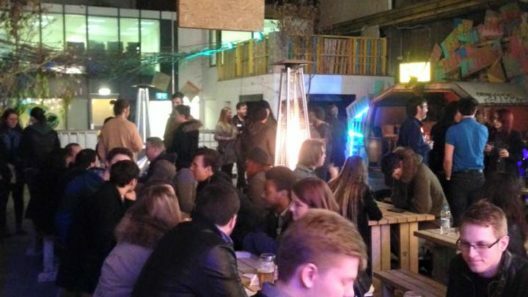 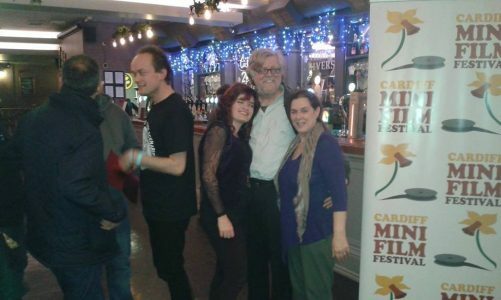 Cardiff Mini Film Festival kicked off 2017 with a networking party on 19th March at The Big Top. 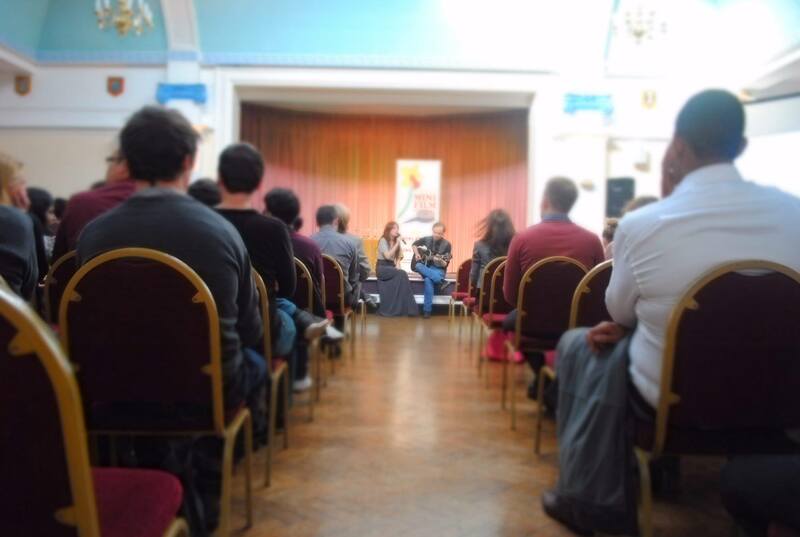 As with previous events, it was a superb chance to meet industry experts and discuss opportunities within the Film & Television industry. 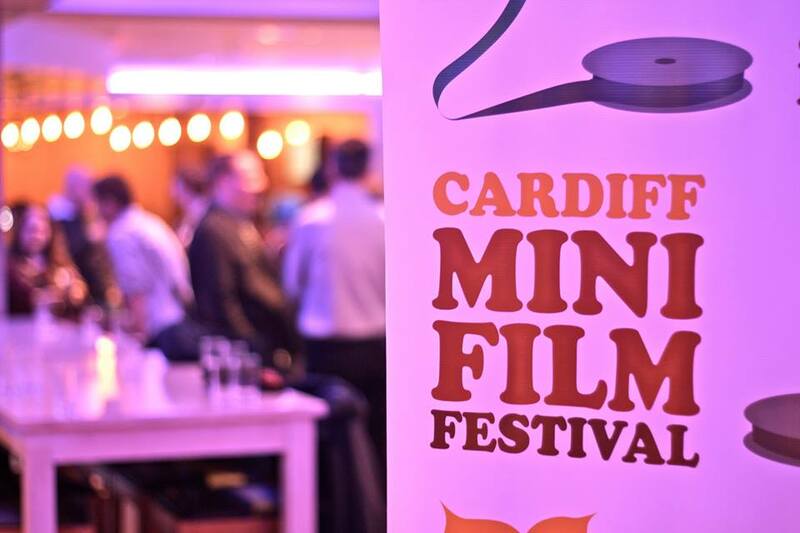 Cardiff Mini Film Festival brought you 3 days of film festival delights from June 23rd to June 25th with over 100 short films being screened, complete with comedy hosts and a variety of live music. 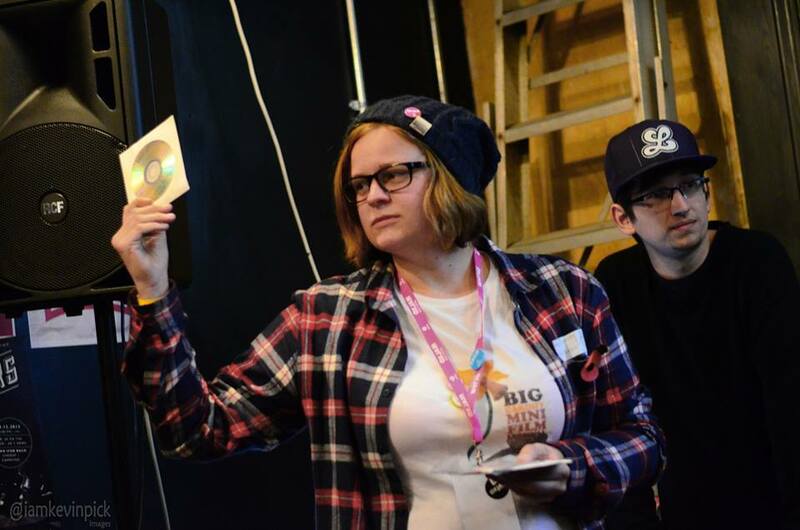 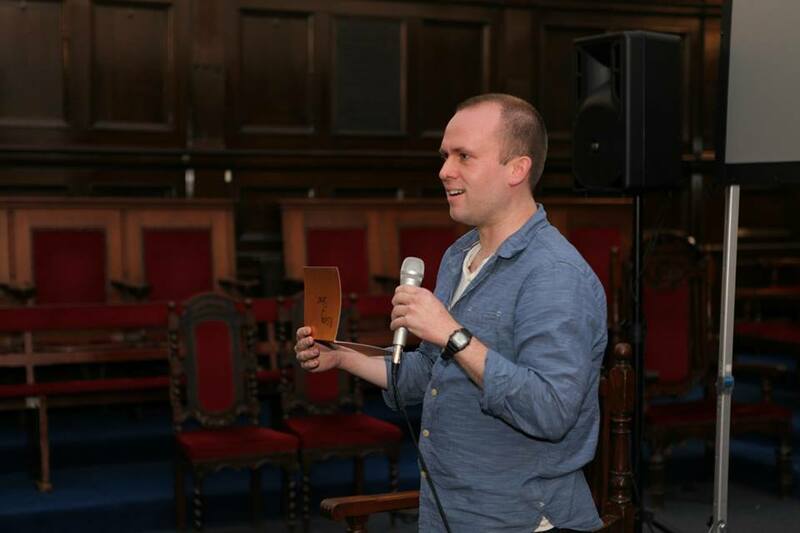 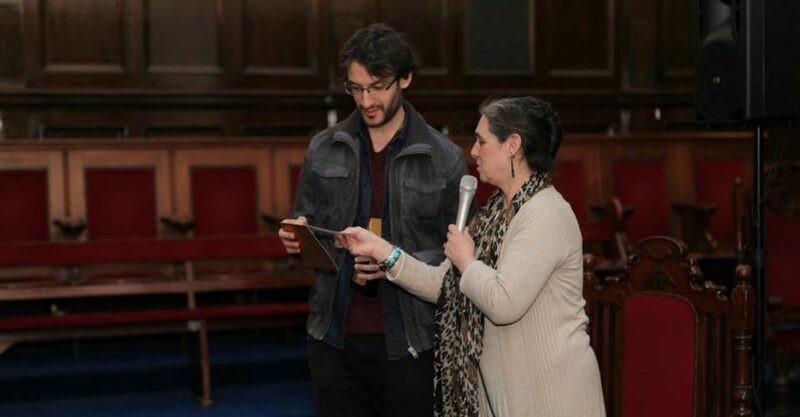 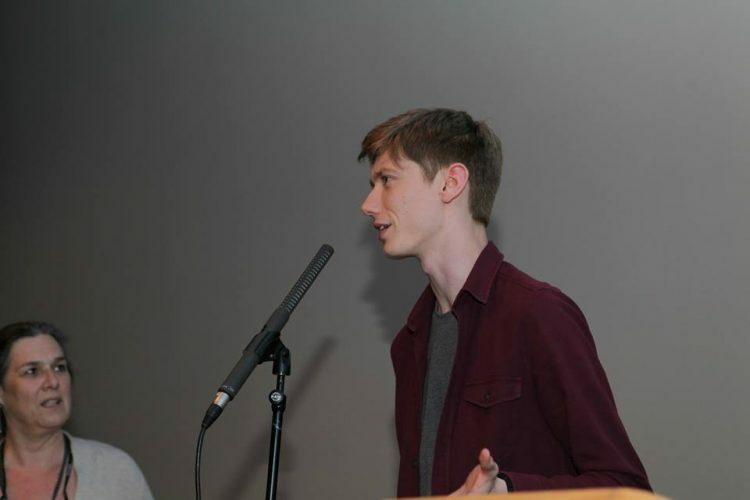 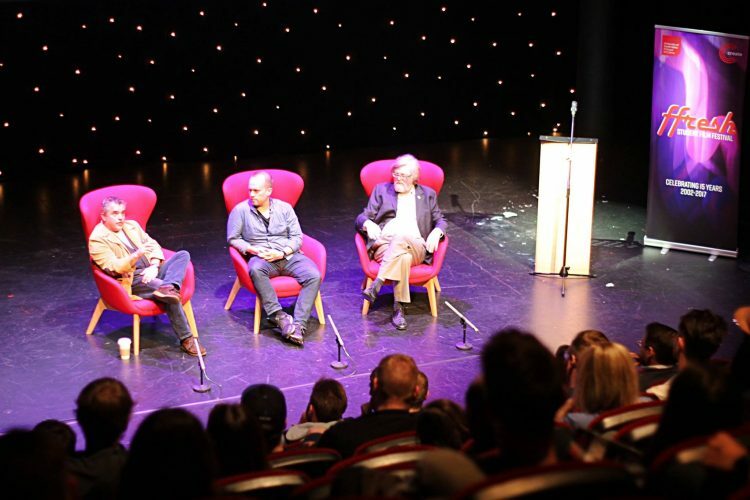 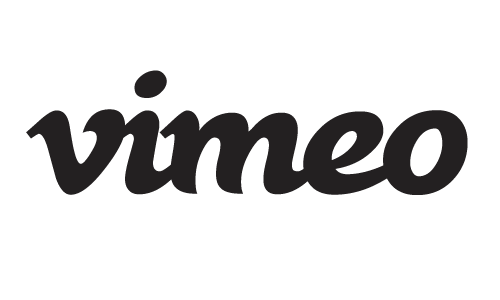 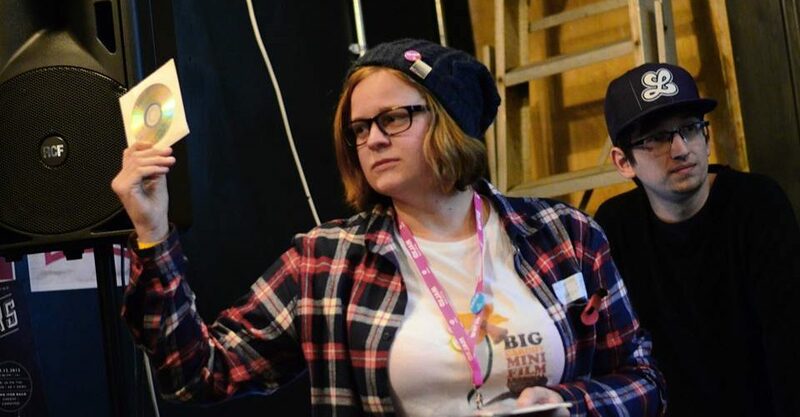 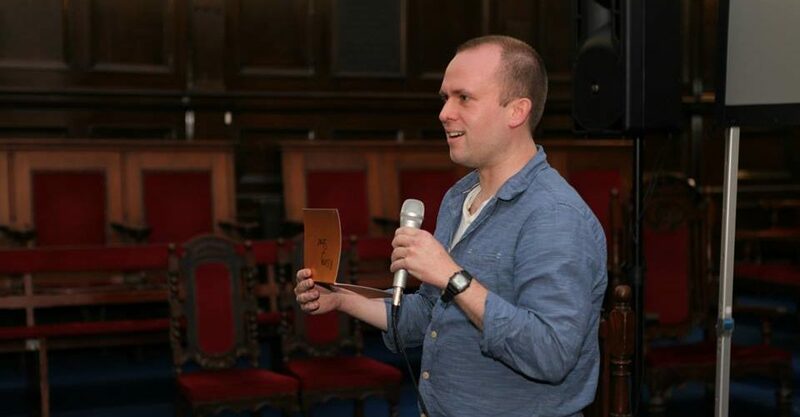 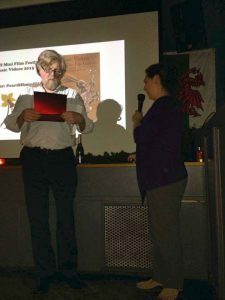 It began with a launch party at Tramshed Cinema on the Friday night, followed by short film screenings, ‘Pitch Your Film’ competition and the hugely successful ‘Twisted Tales’ night on the Saturday. 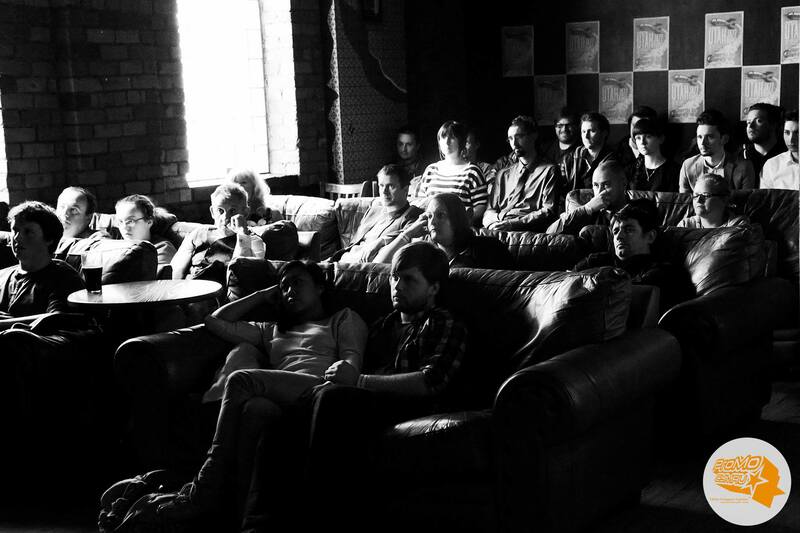 Sunday started with more short film screenings, ‘Bad Film Club presents House of the Dead’, ‘Darkened Rooms presents Scott Pilgrim vs The World’ and concluded with the awards ceremony at Tramshed. 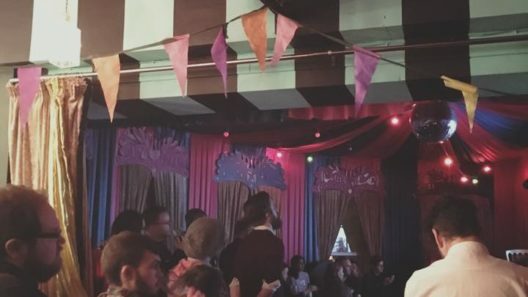 Other venues used in 2017 included The Old Market Tavern, Kongs, Jacobs Market and The Big Top. 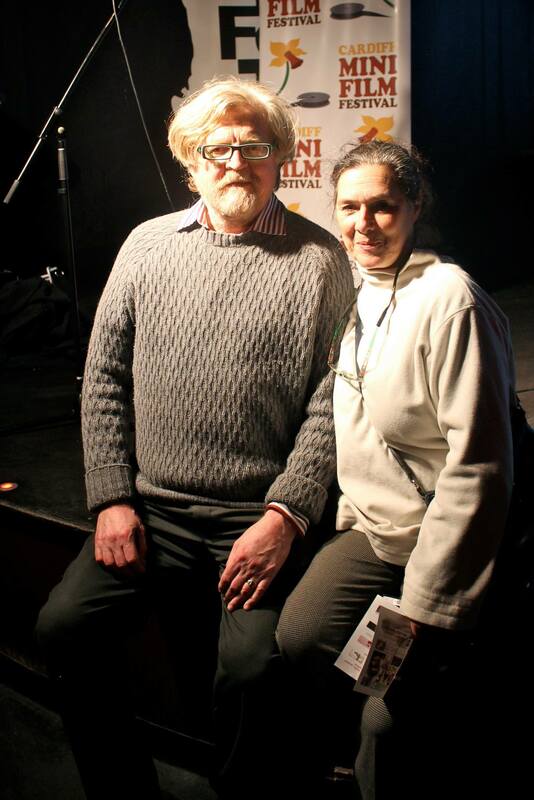 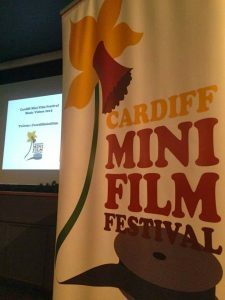 As part of the FFRESH festival and in the presence of writer/director Kevin Allen and one of the films stars Boyd Clack, Cardiff Mini Film Festival hosted a screening of the welsh film gem Twin Town. 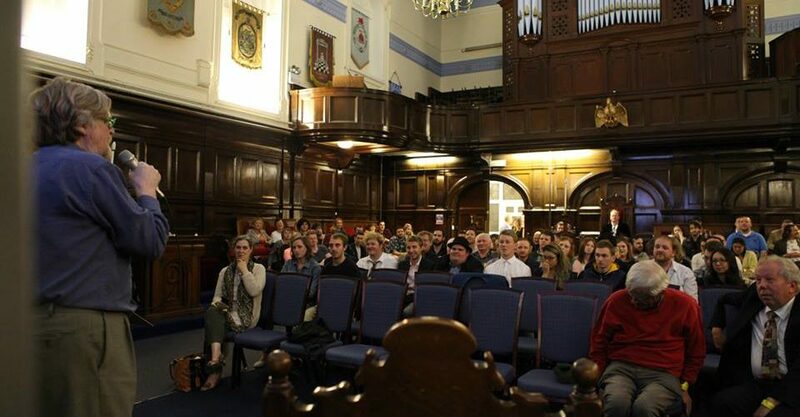 Following the screening was a Q&A with the guests, allowing a unique opportunity to discover behind the scenes secrets and factoids of this cult classic. 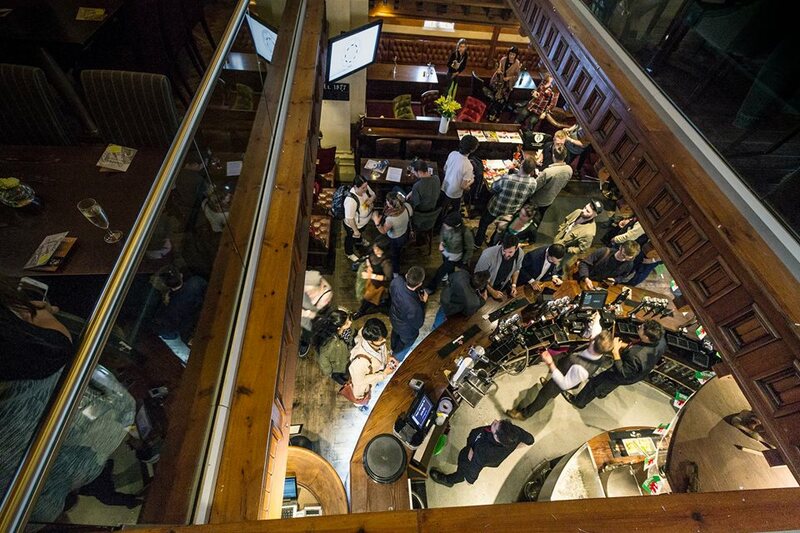 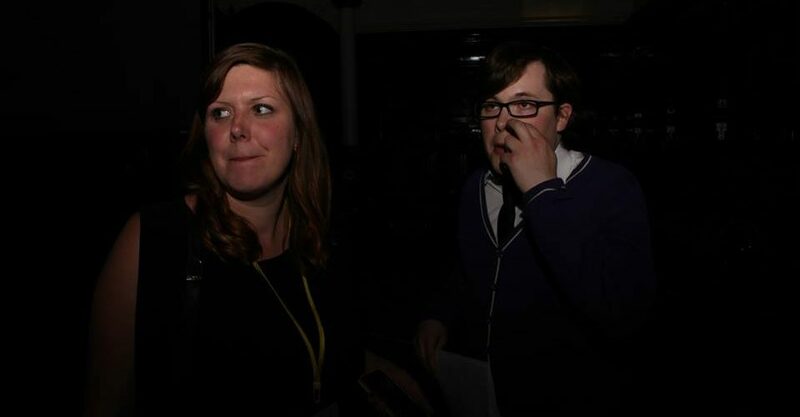 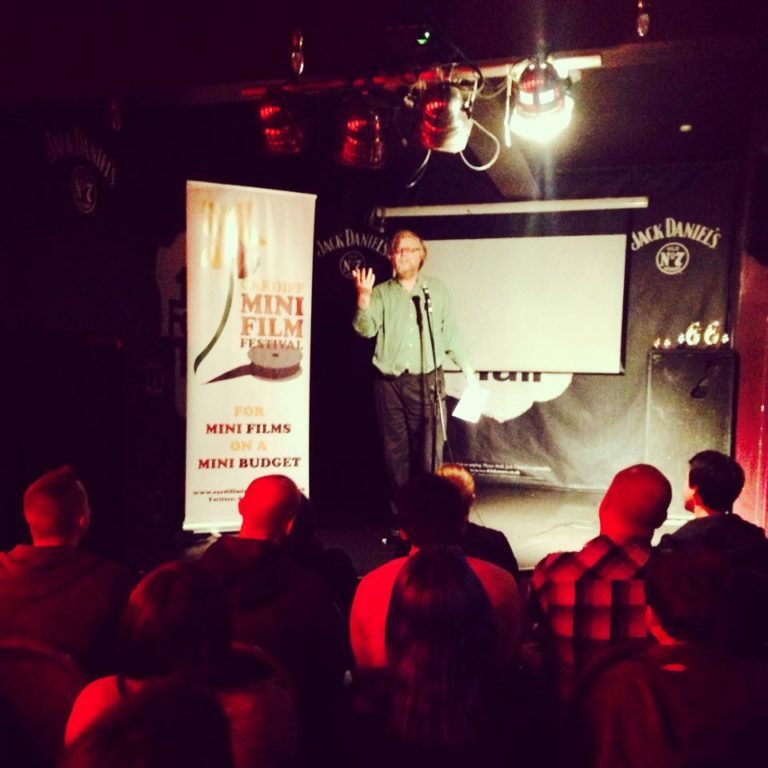 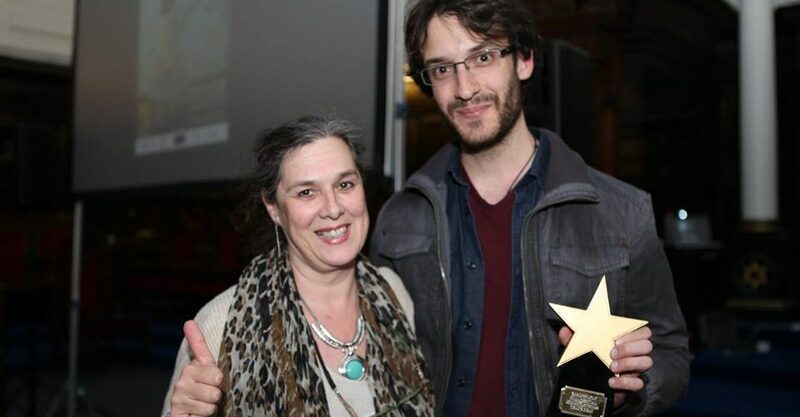 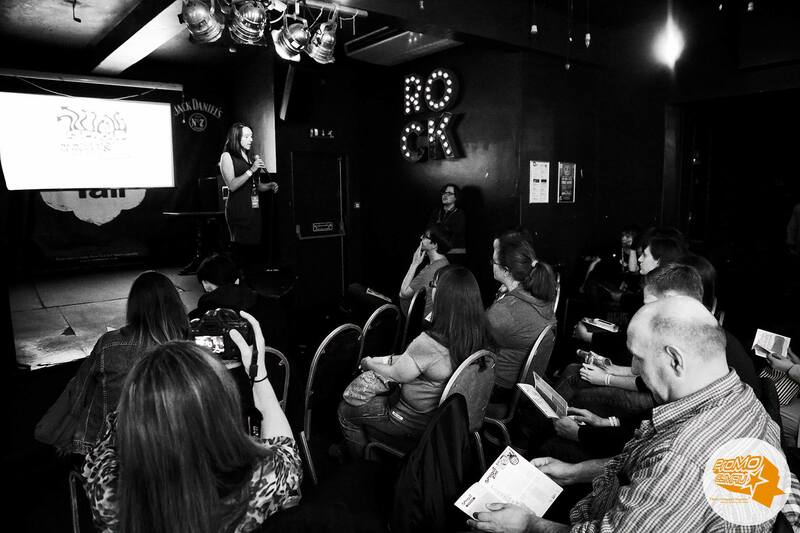 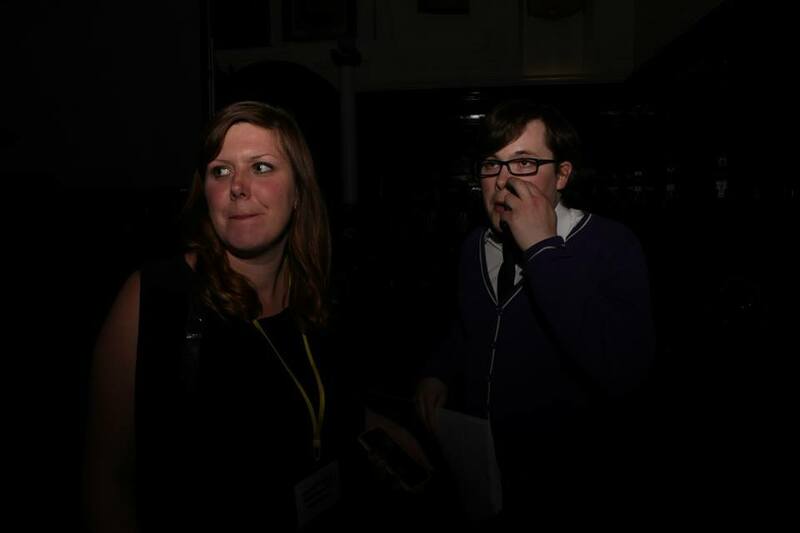 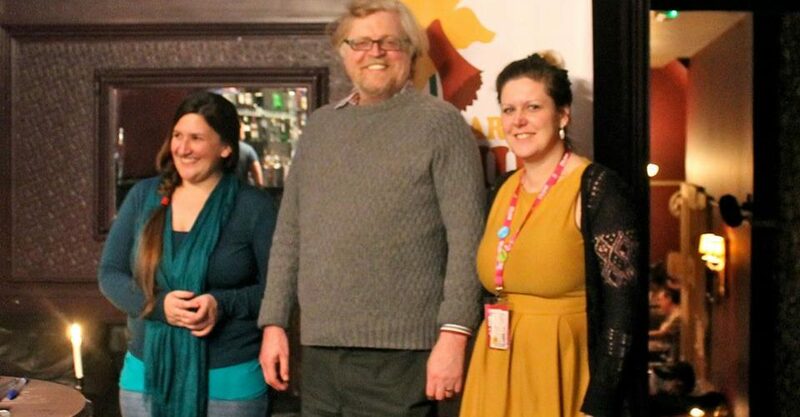 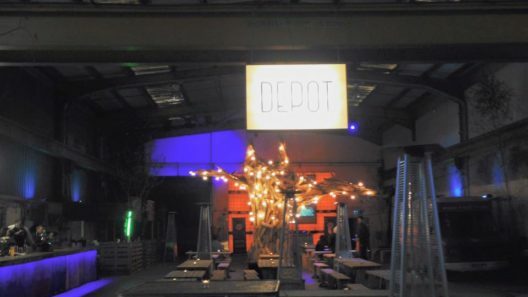 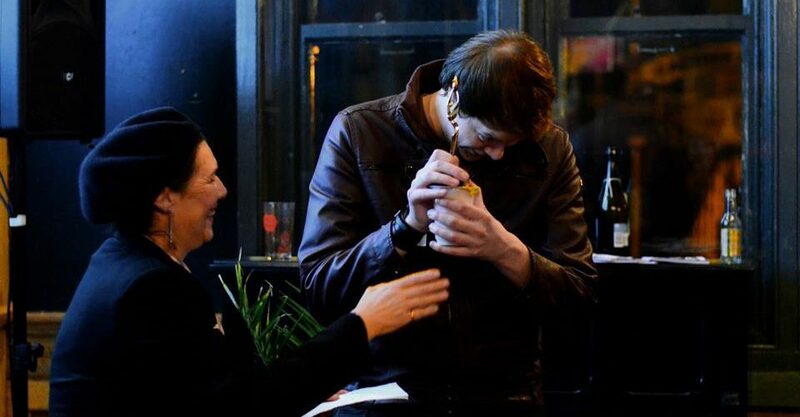 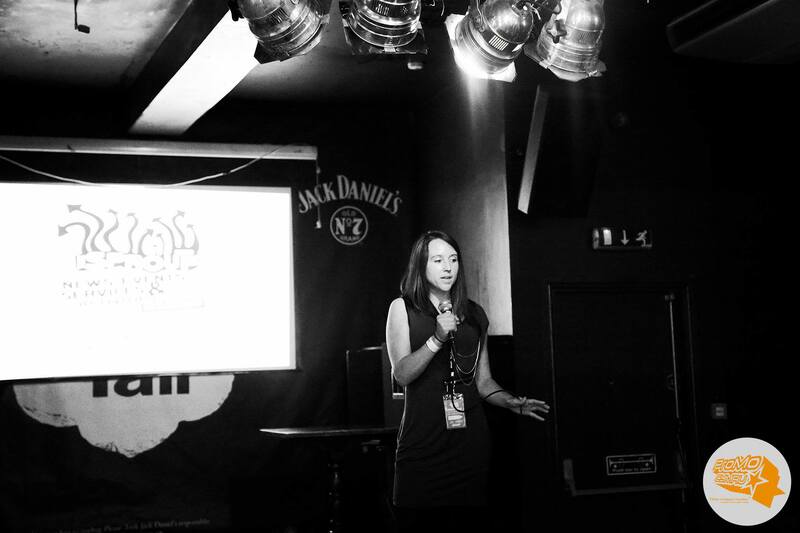 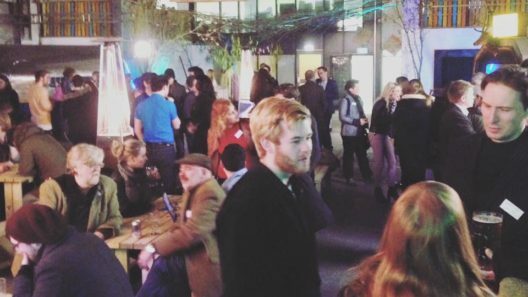 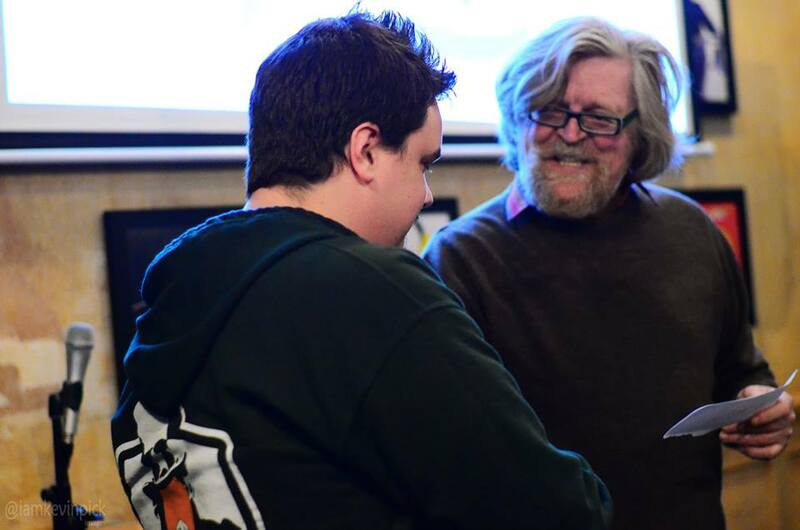 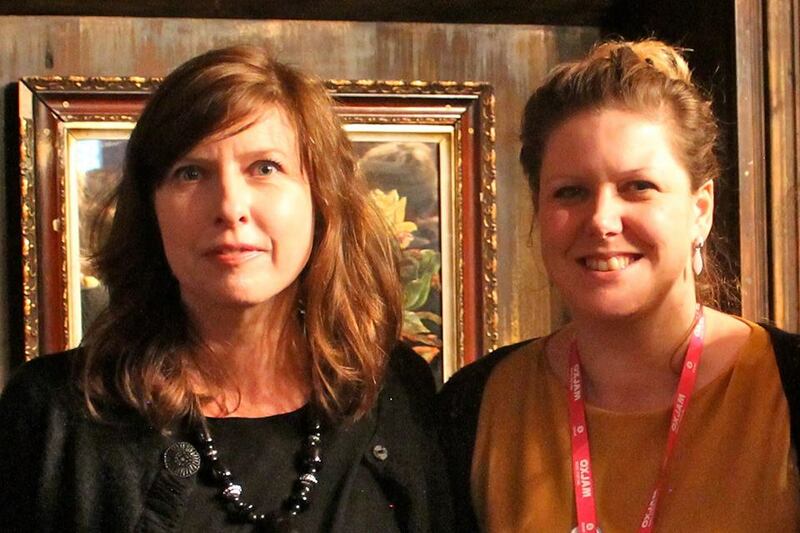 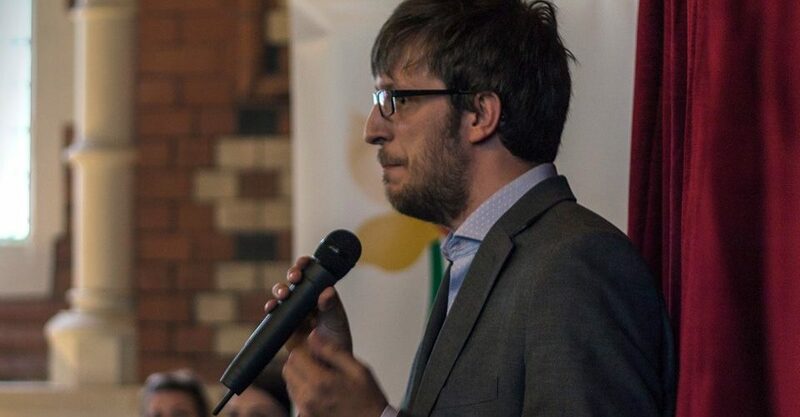 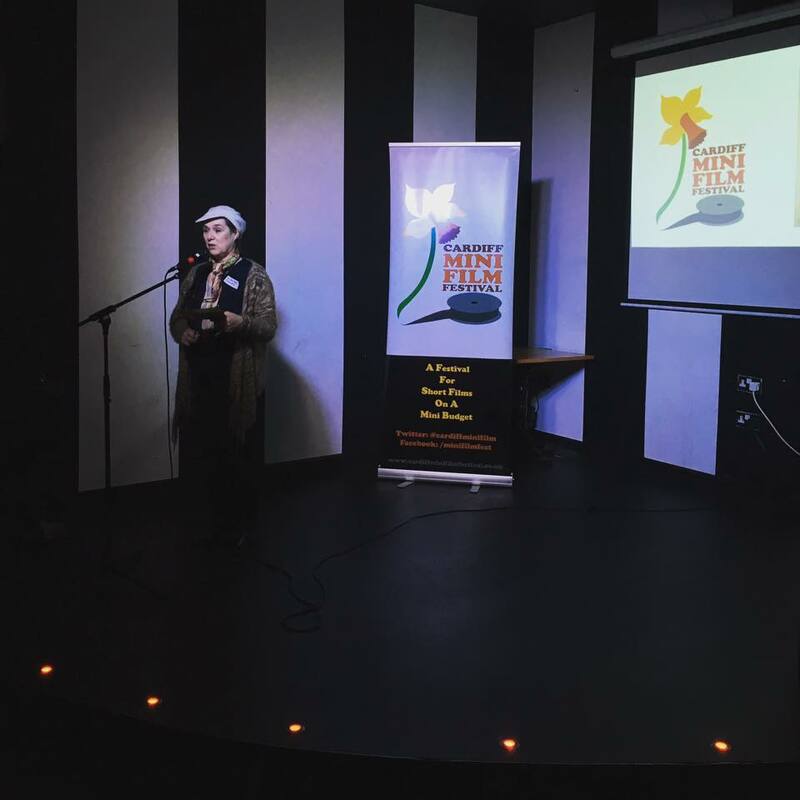 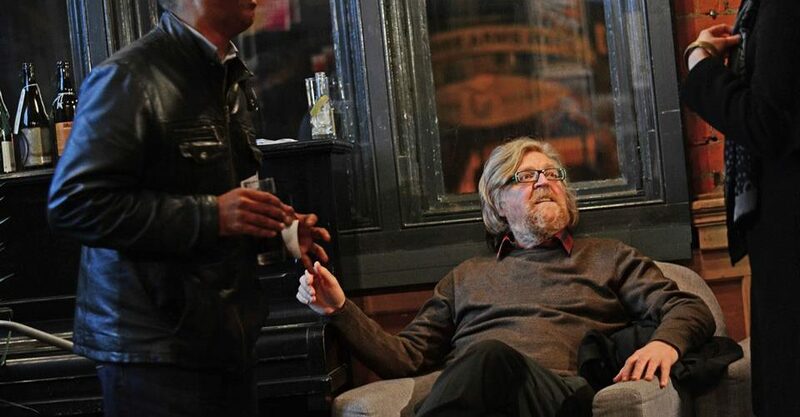 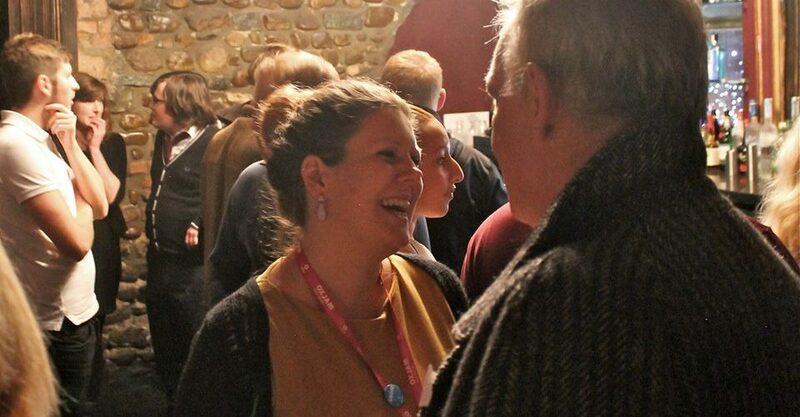 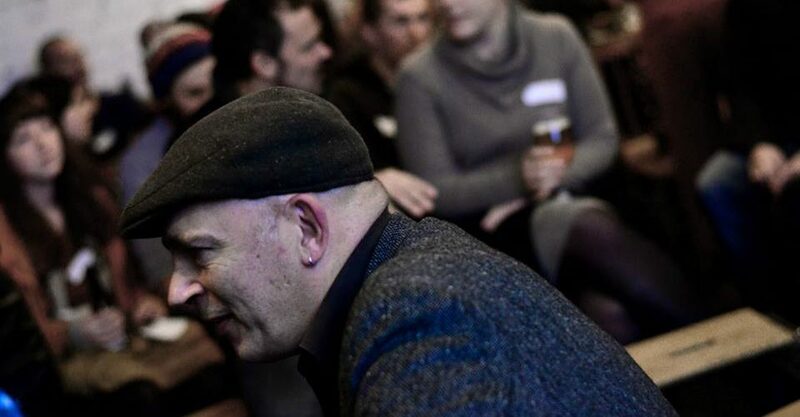 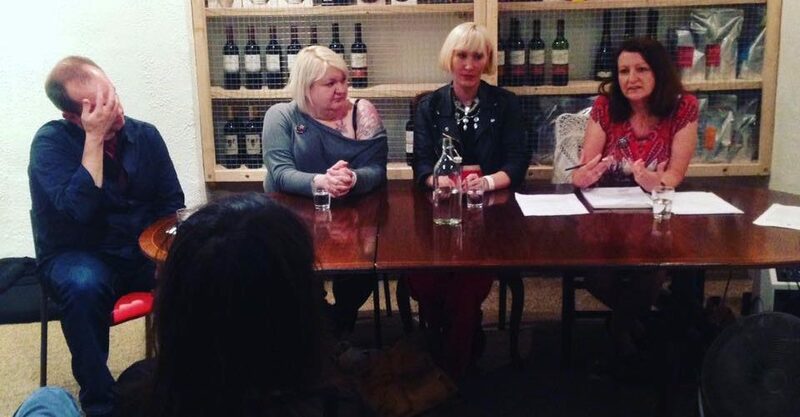 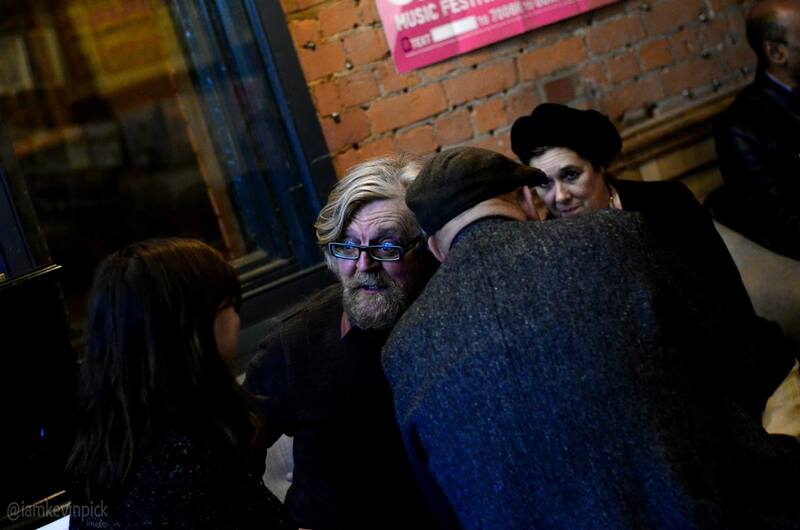 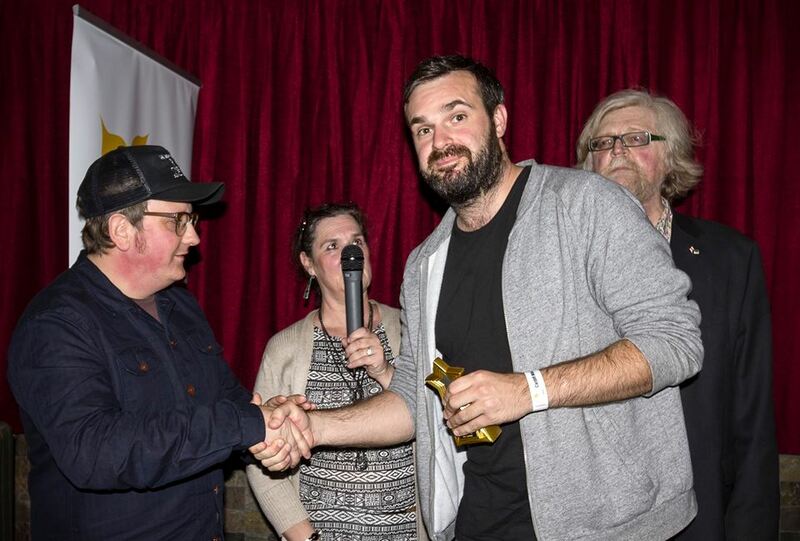 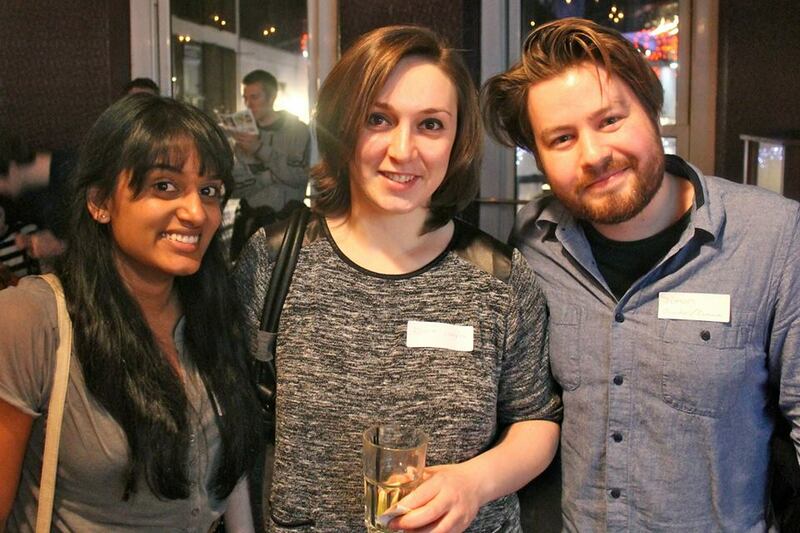 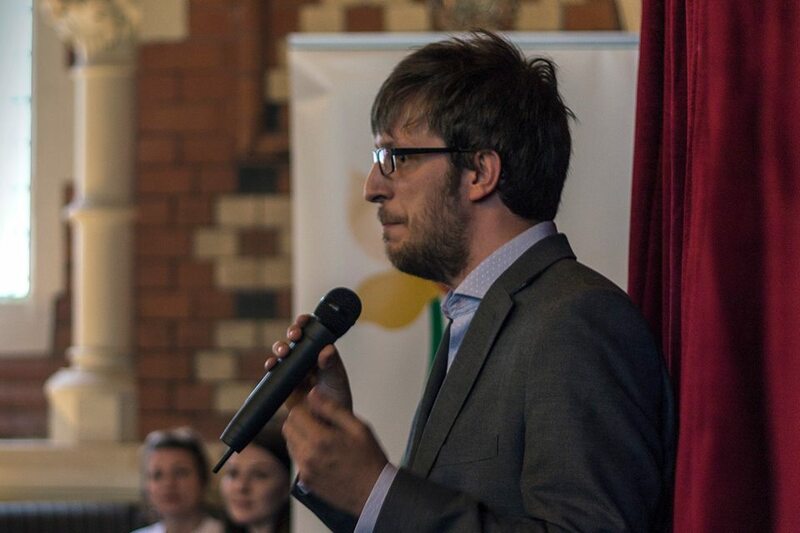 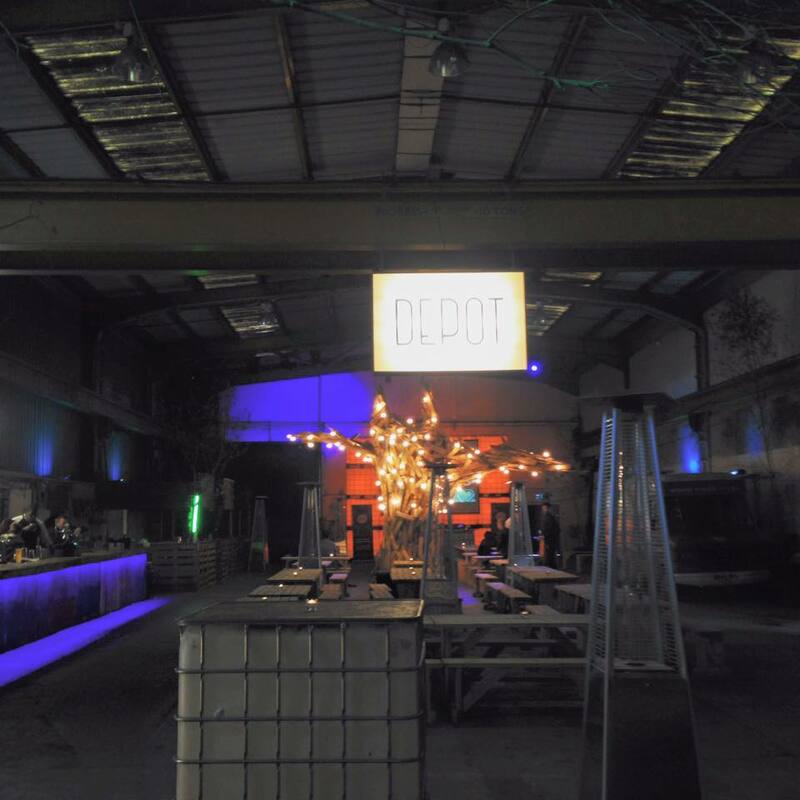 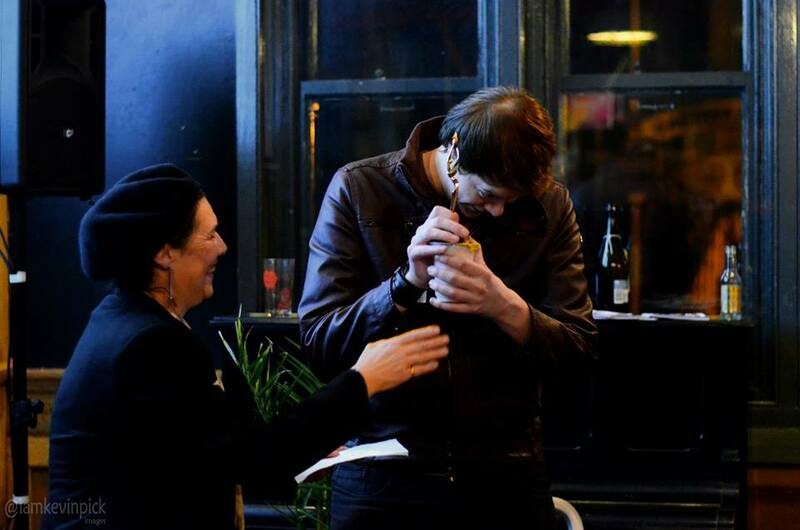 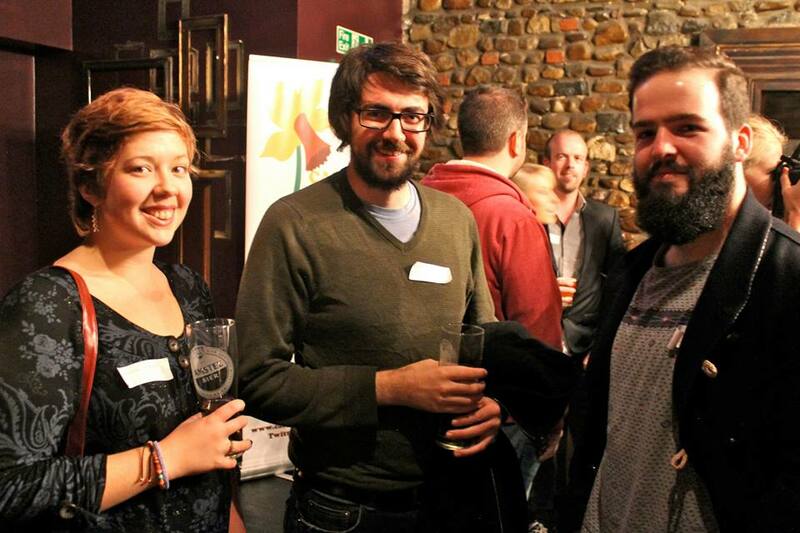 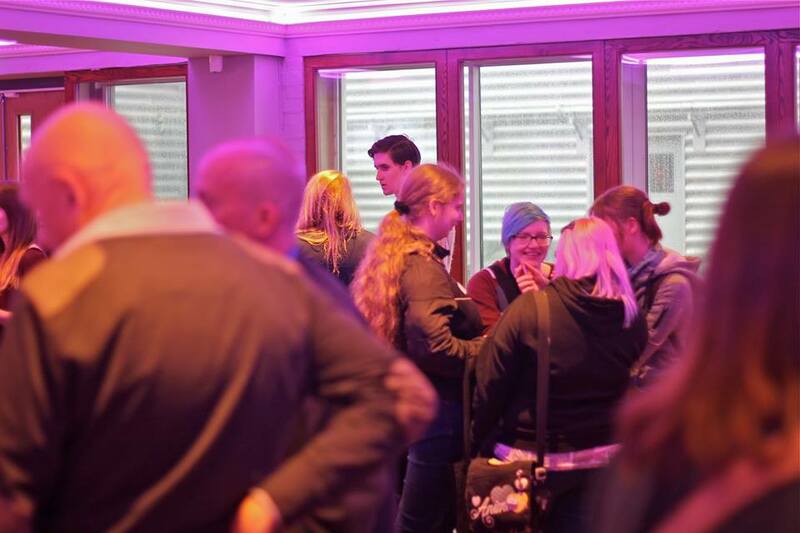 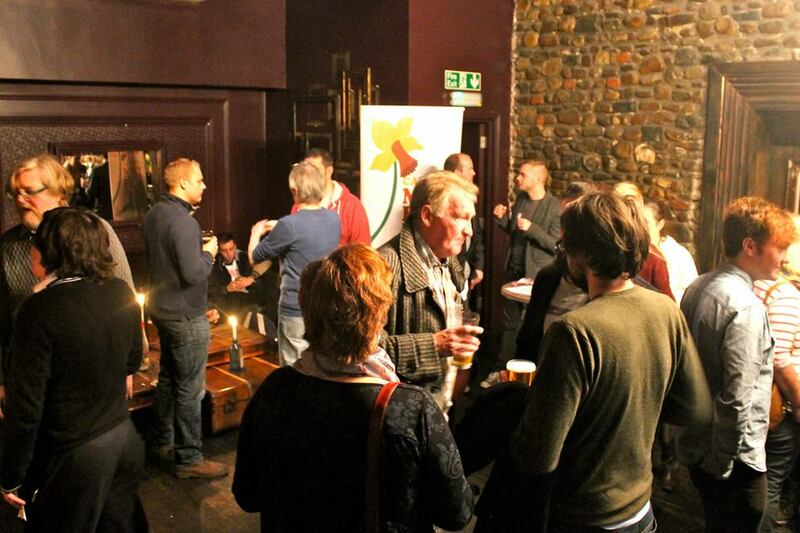 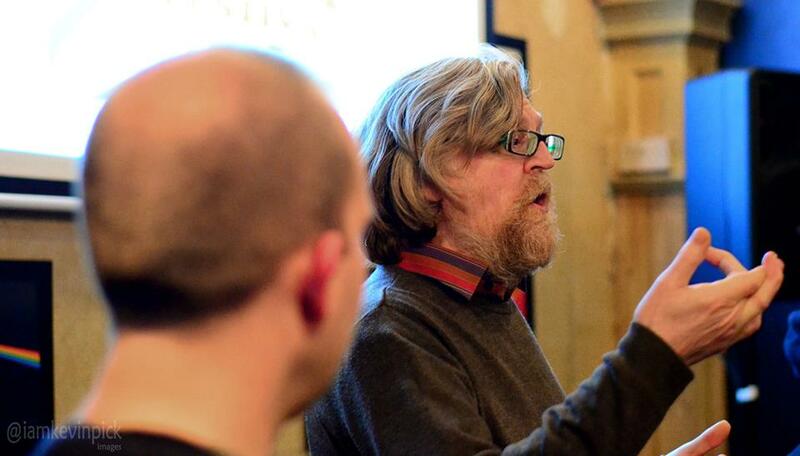 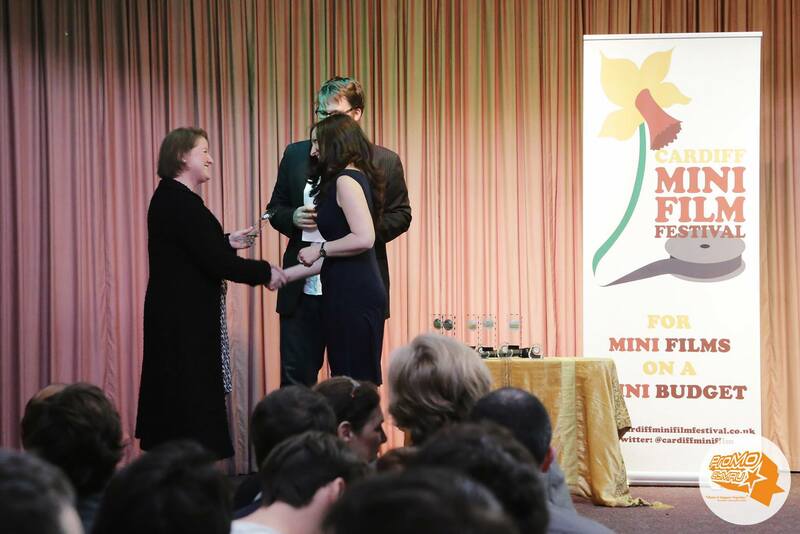 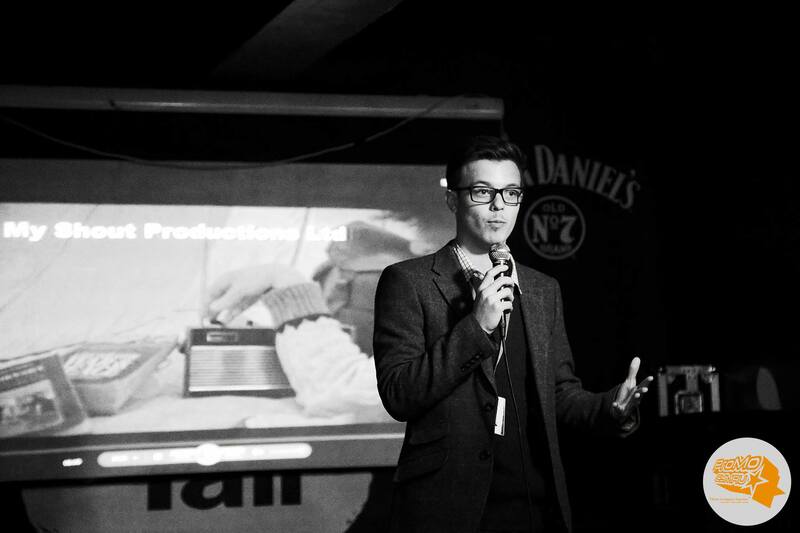 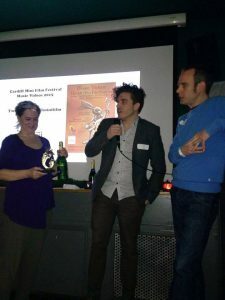 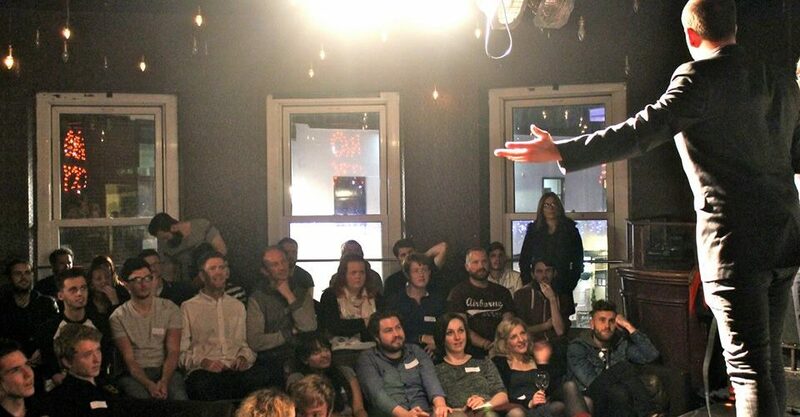 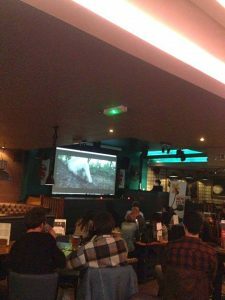 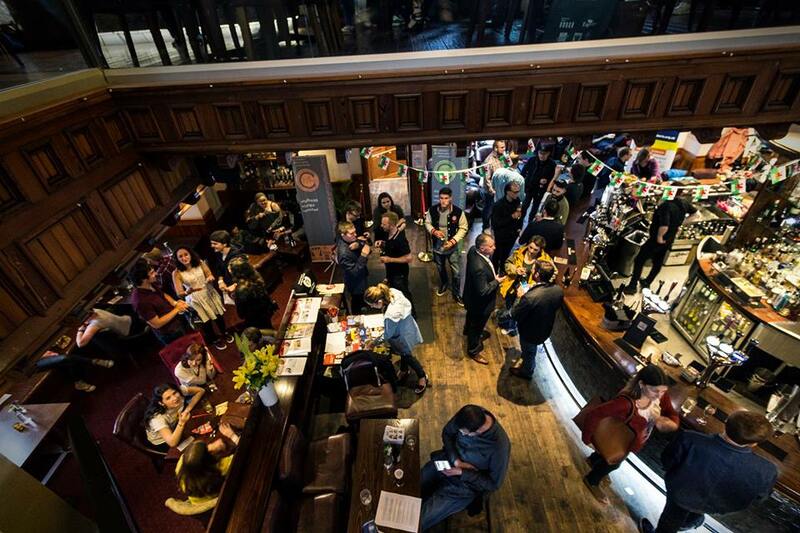 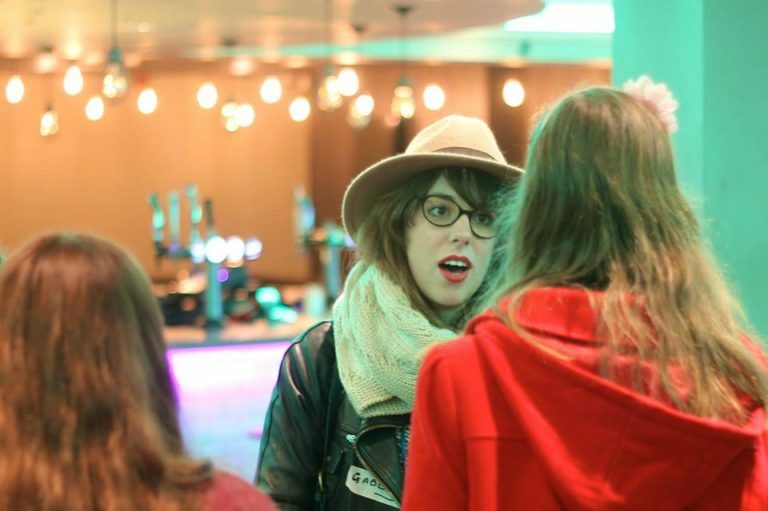 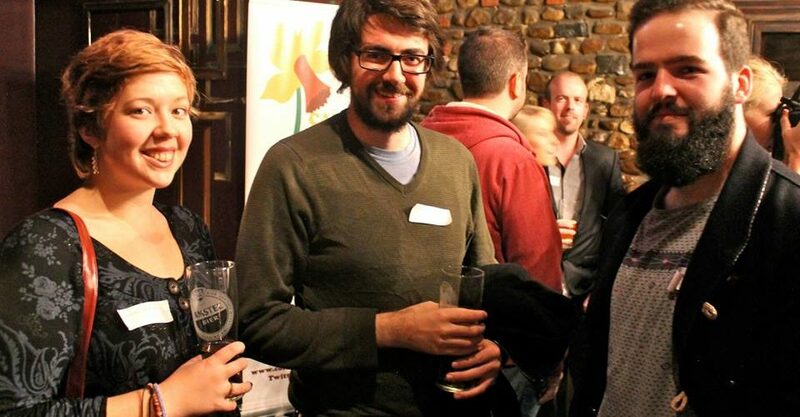 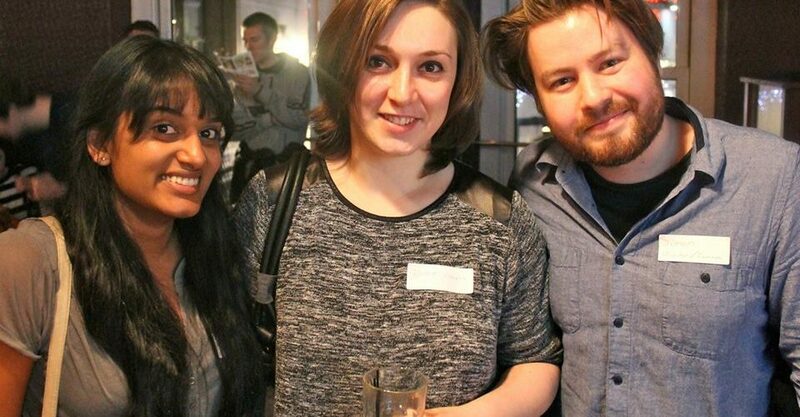 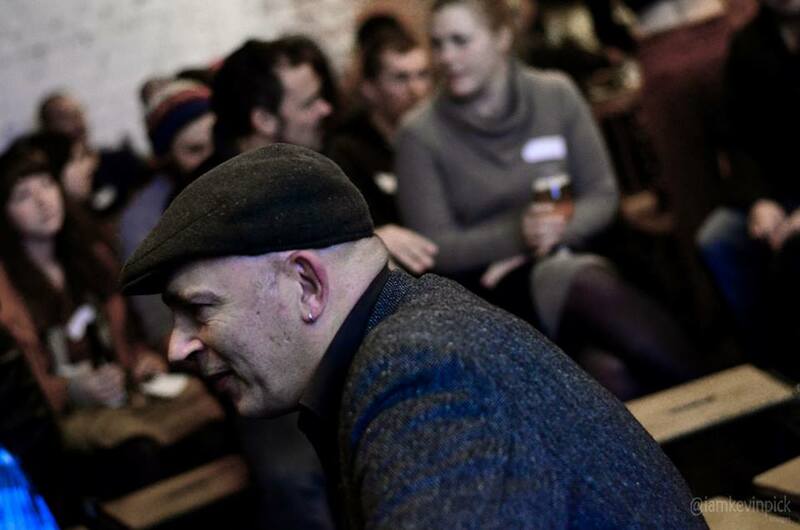 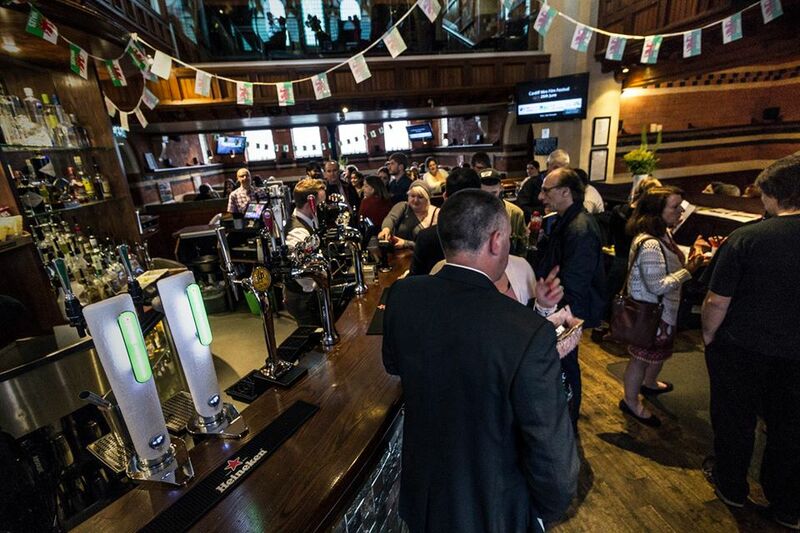 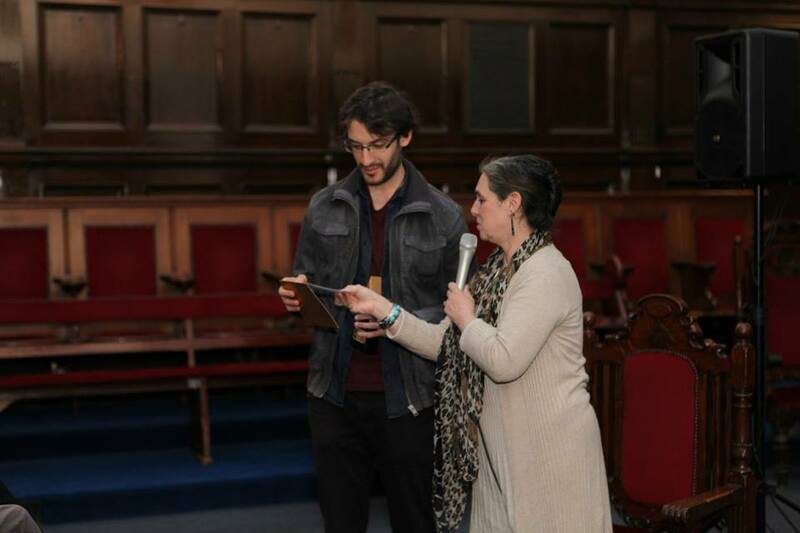 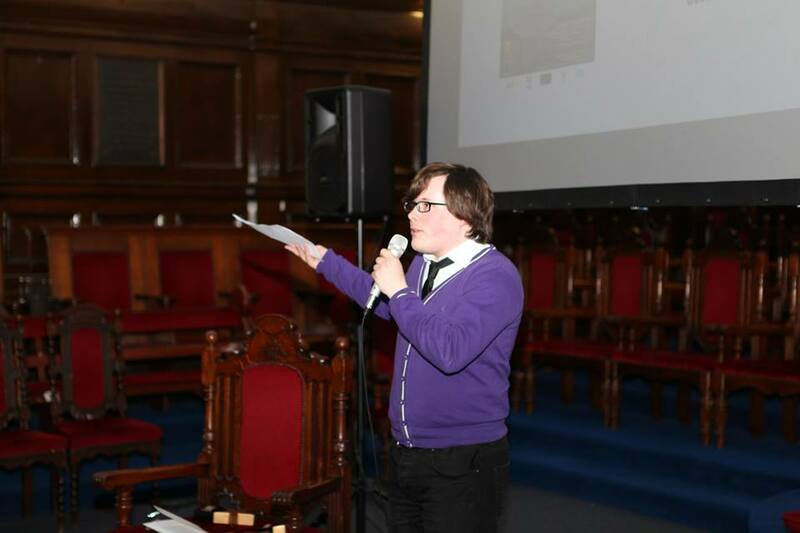 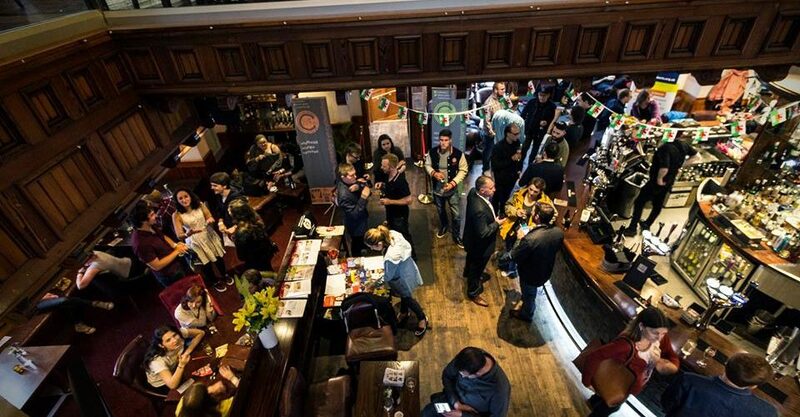 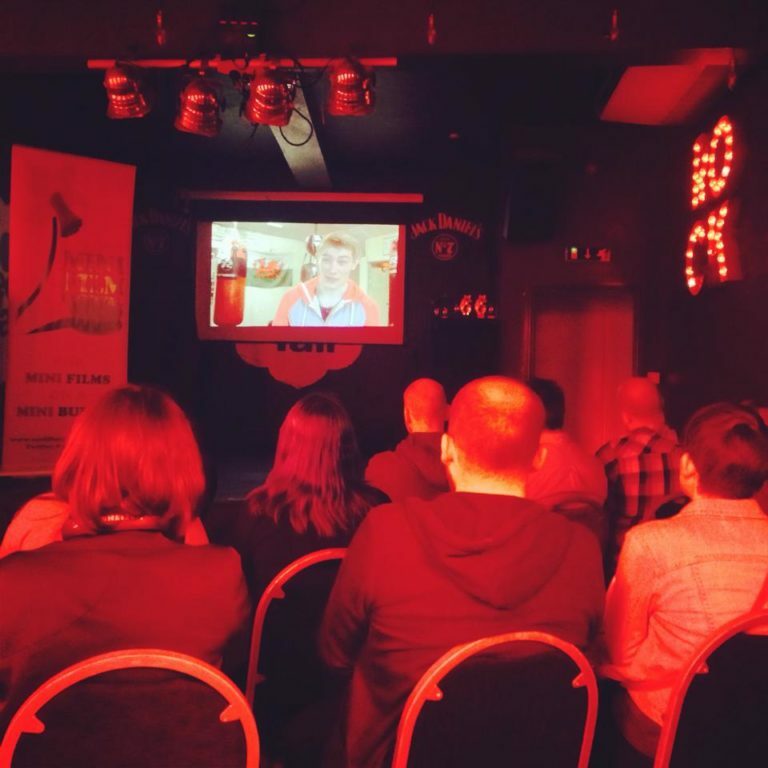 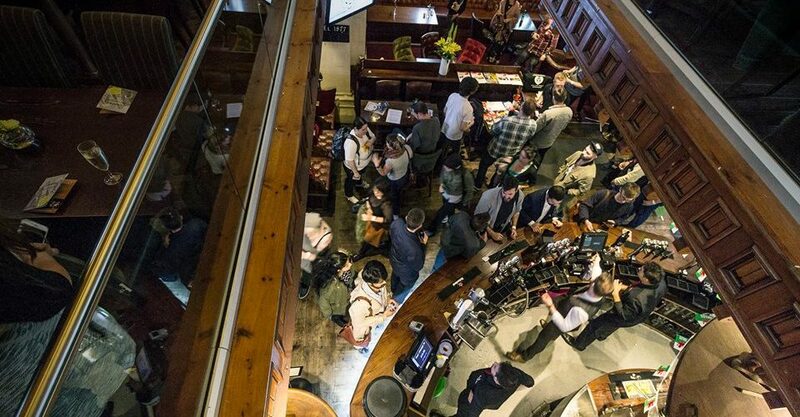 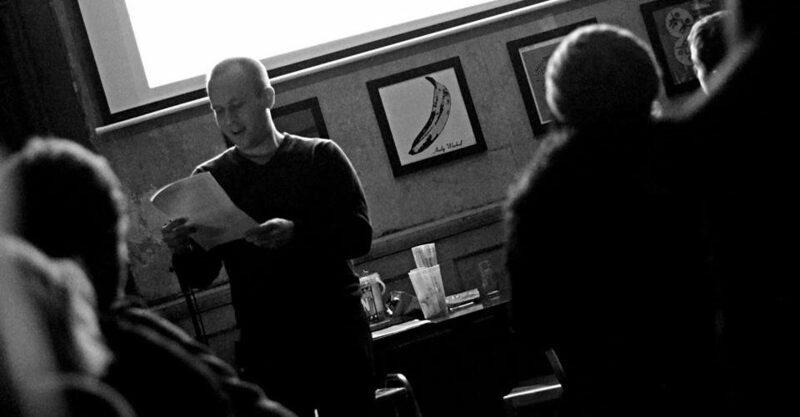 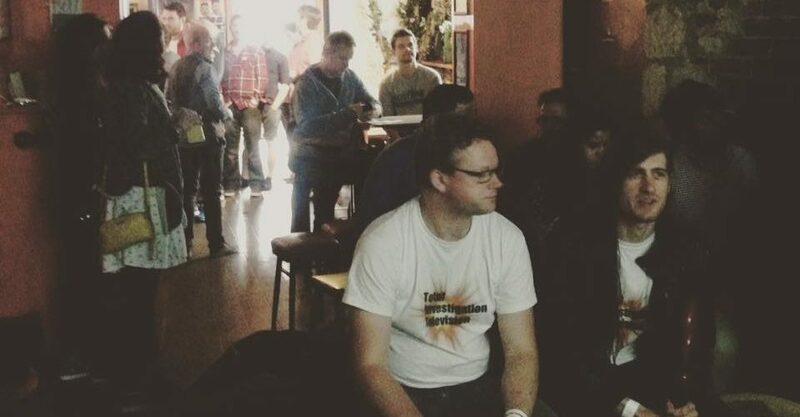 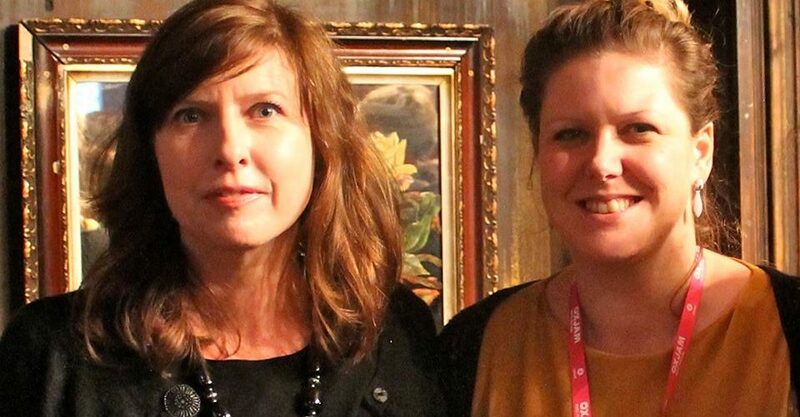 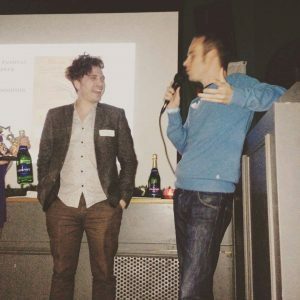 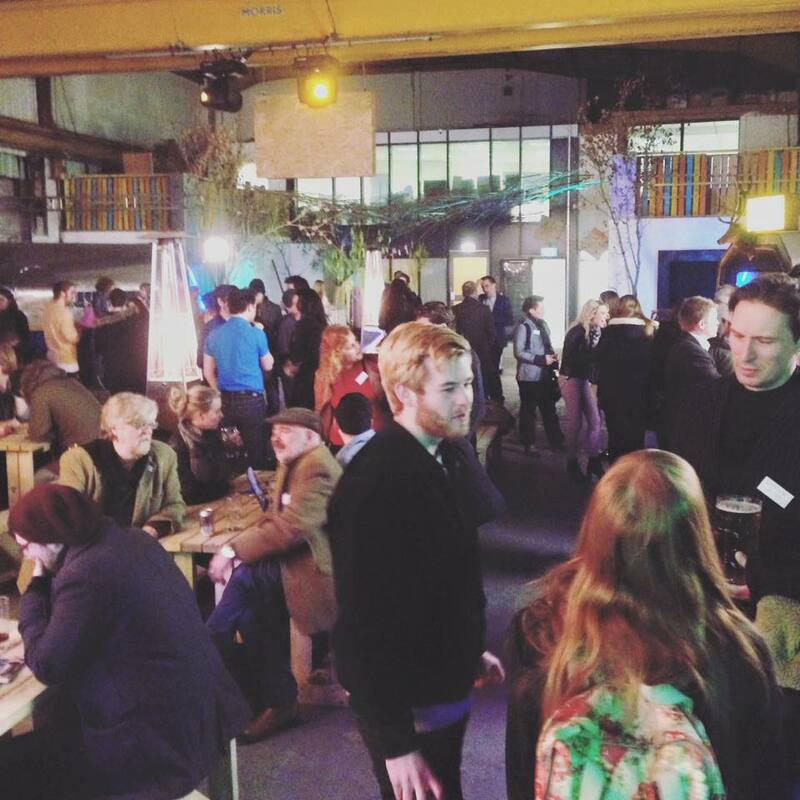 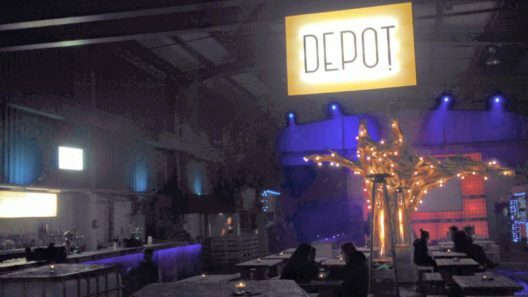 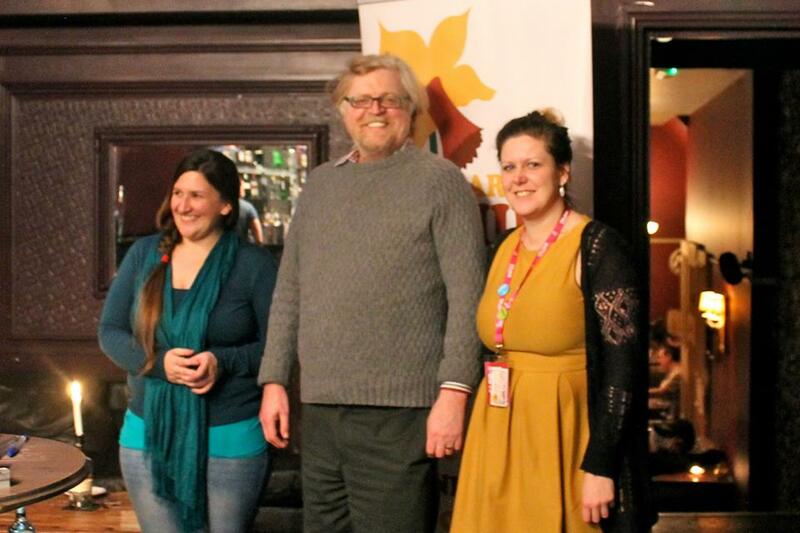 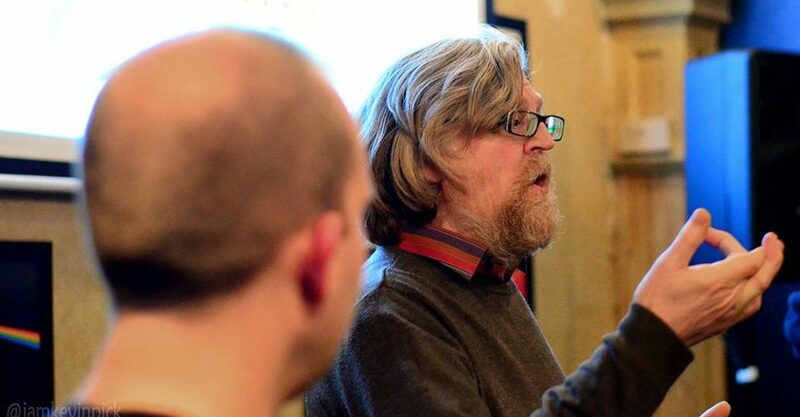 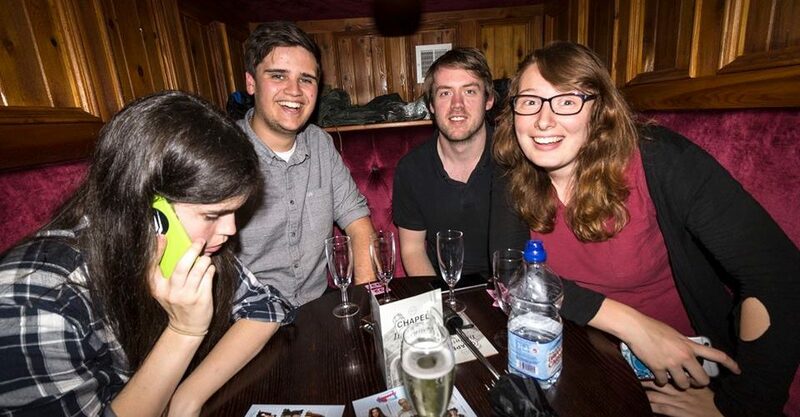 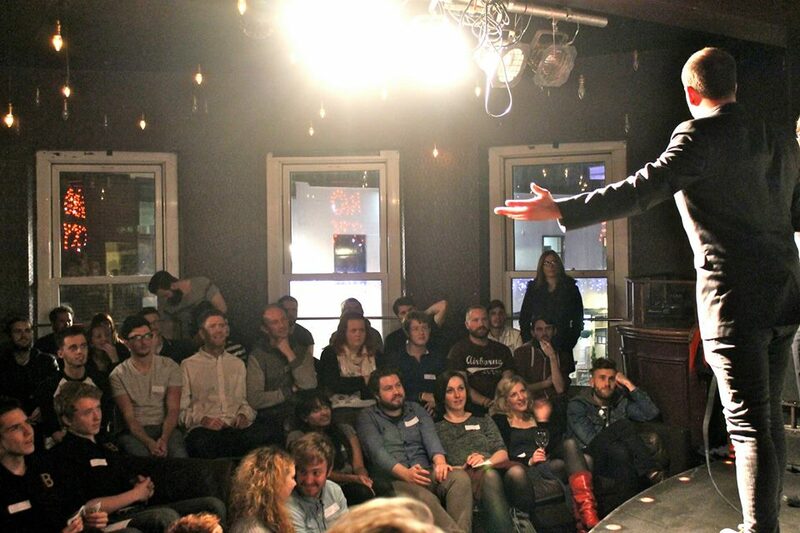 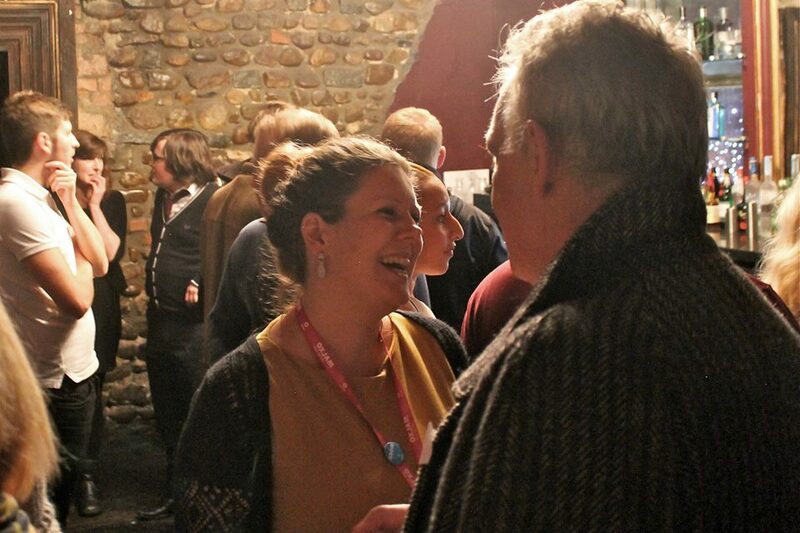 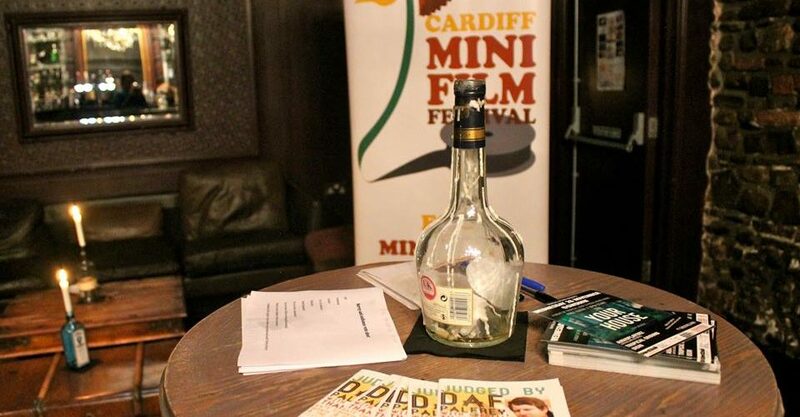 Cardiff Mini Film Festival held a HUGE networking party at the DEPOT on 10th March 2016. 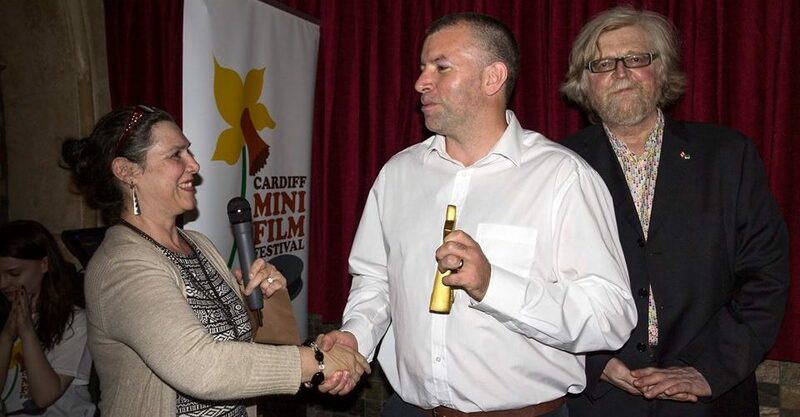 Attending were Winding Snake, Spin The Yarn, Buzz Magazine, NAHEMI, Storm + Shelter, S4C, Producers Forum (IRIS Prize), Ebbw Media, Wales International Documentary Festival, NextGen Skills Academy, Mad Dog Casting, Noctambul Films, White Lightning Productions, Marigold Costumes, BBC Cymru Wales Head of Development Nick Andrews anDrama Series Producer Llyr Morus. 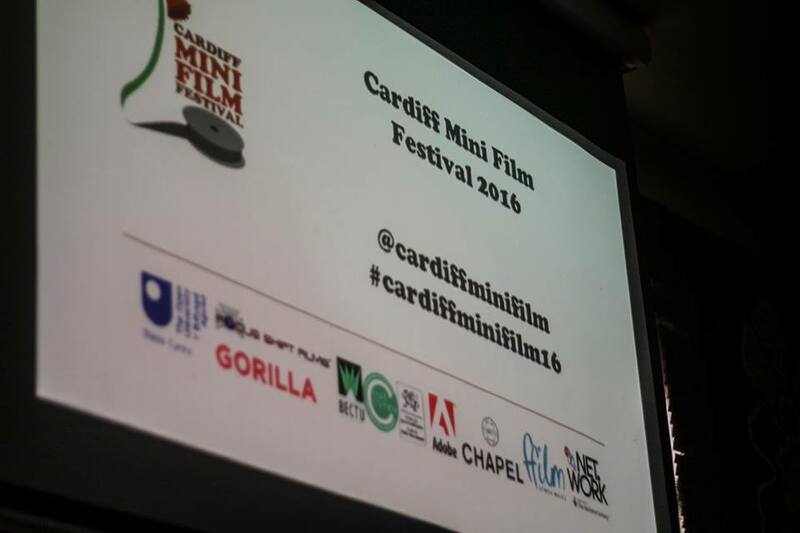 The 2016 festival was held on 26th June at Chapel 1877, Gwdihw and The Little Man Coffee Co. 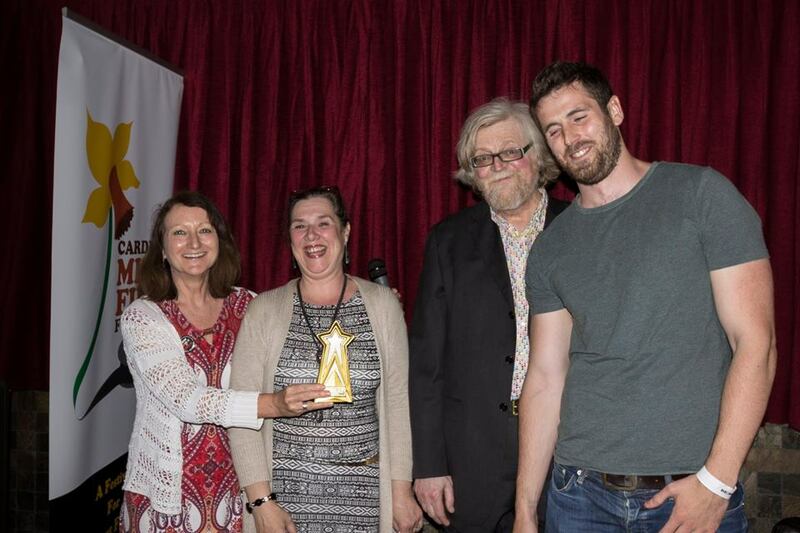 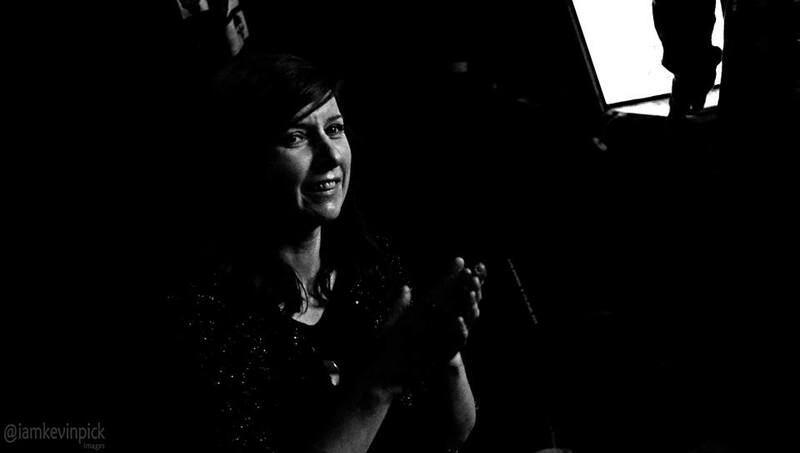 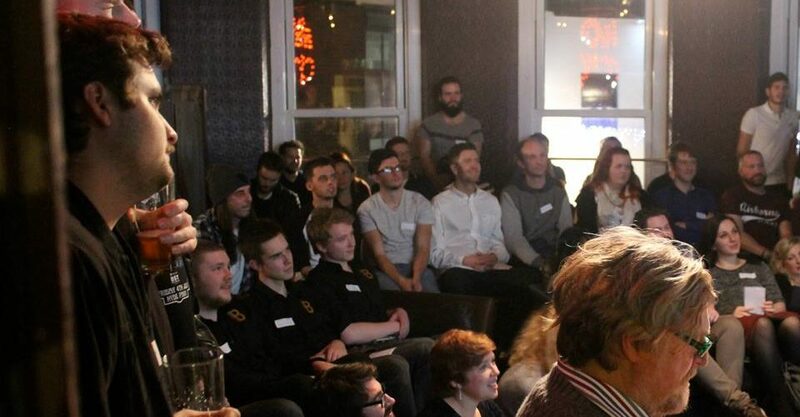 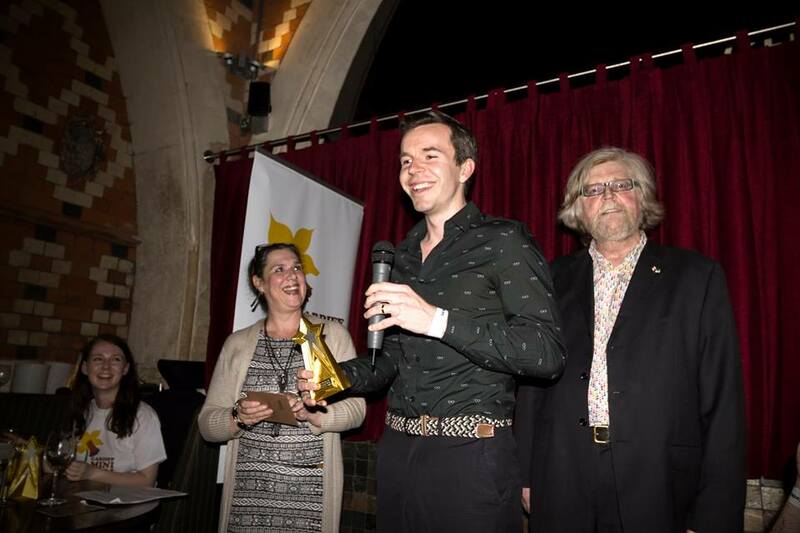 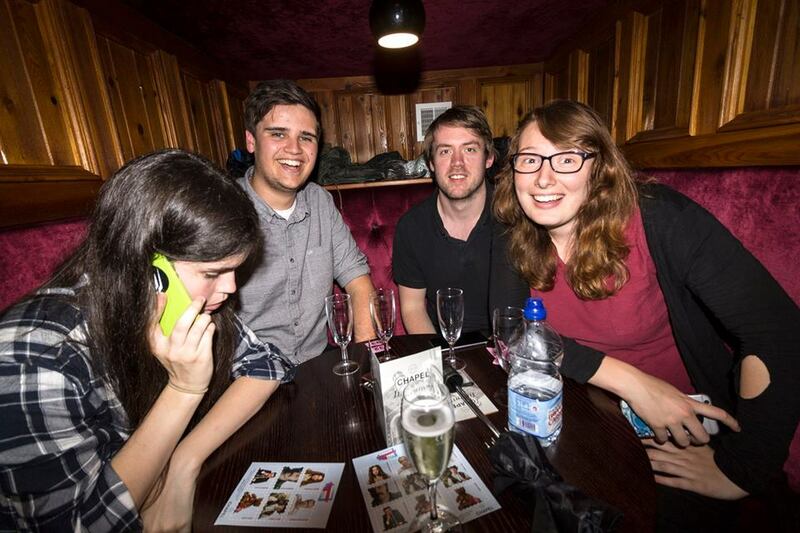 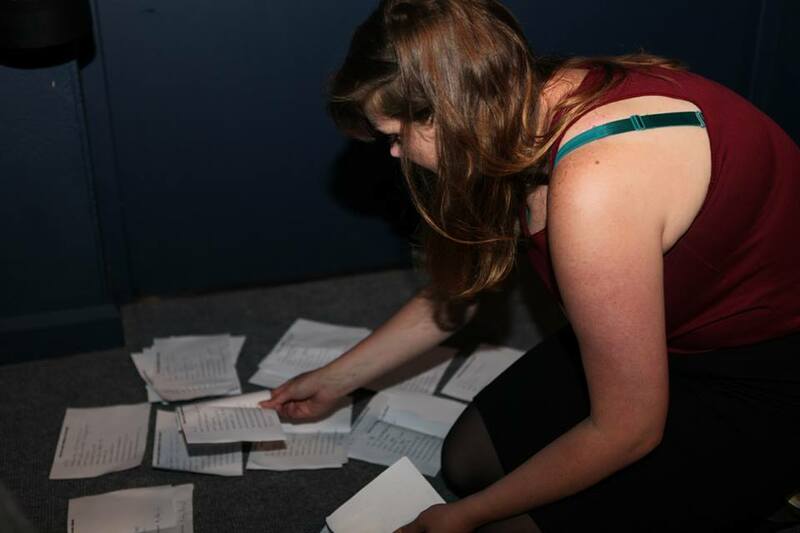 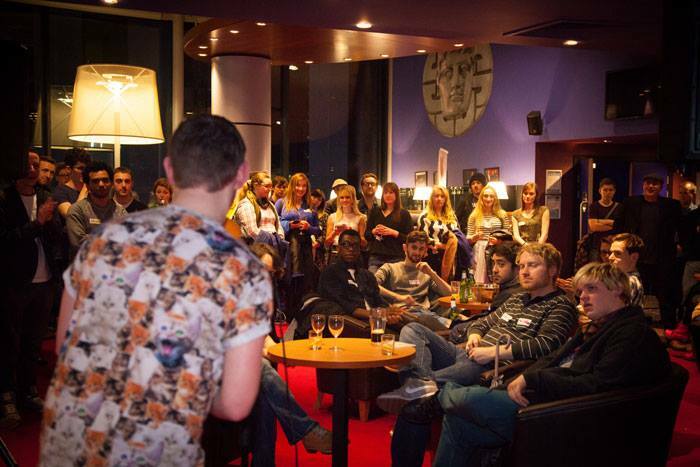 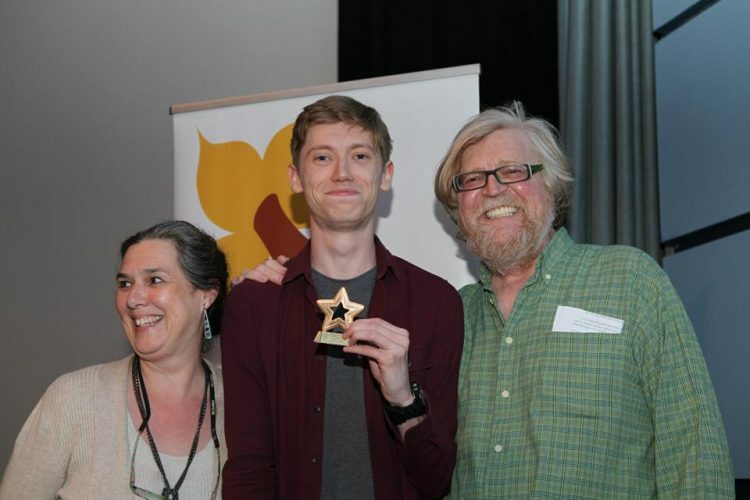 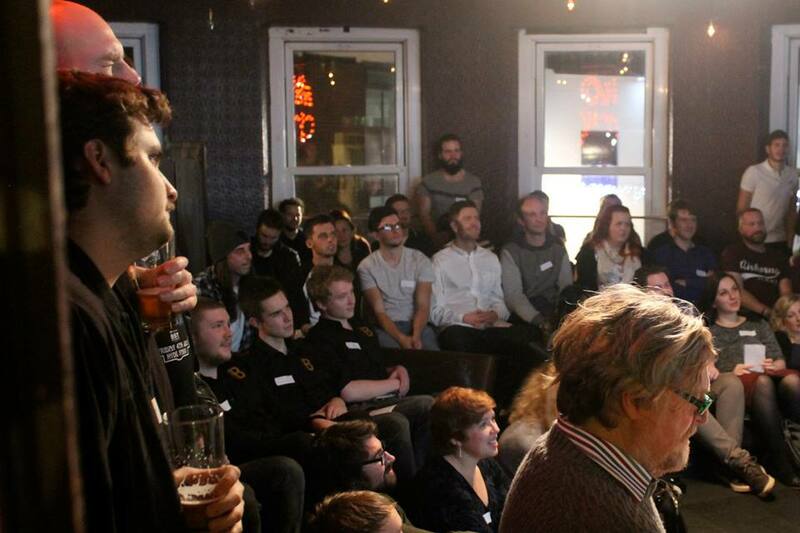 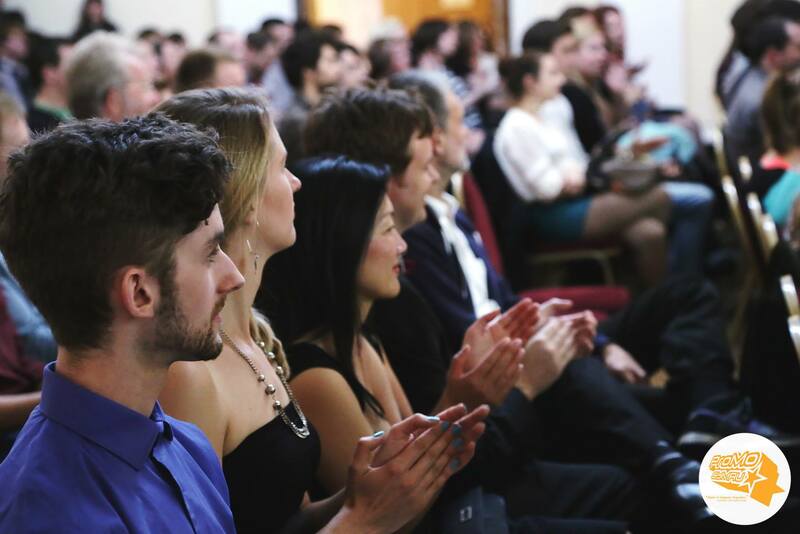 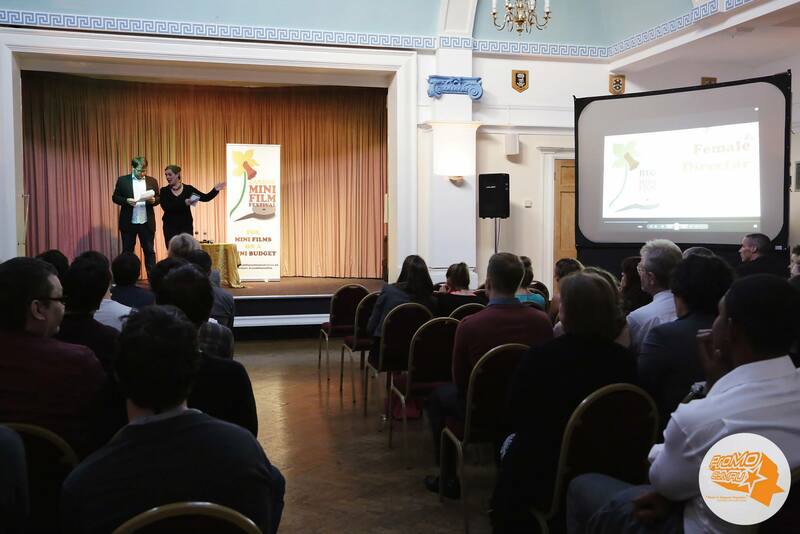 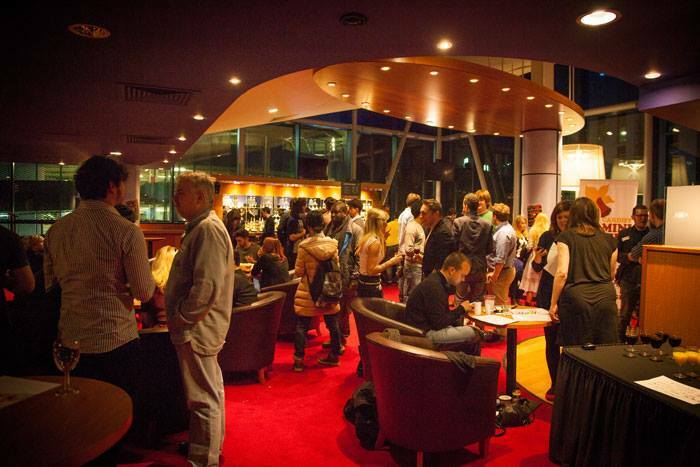 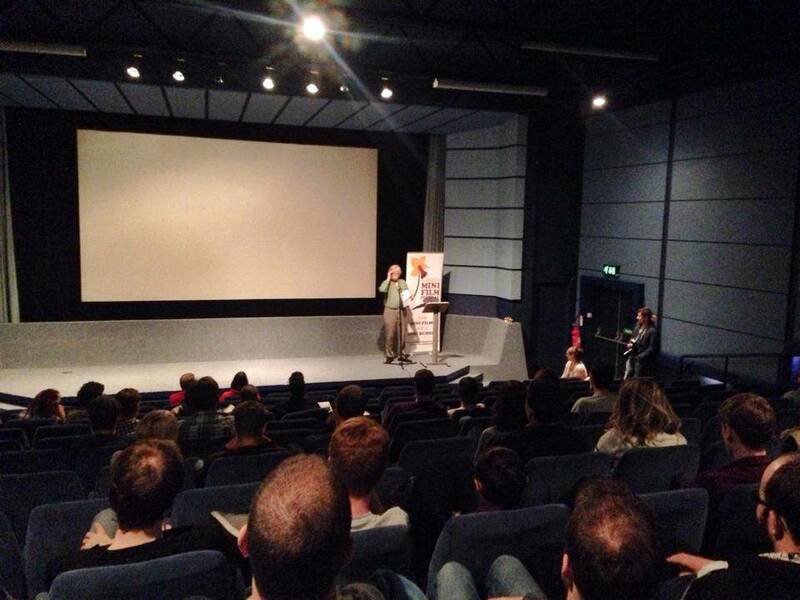 It consisted of 50 short films, Q&As, a film pitching competition, awards and a large networking party. 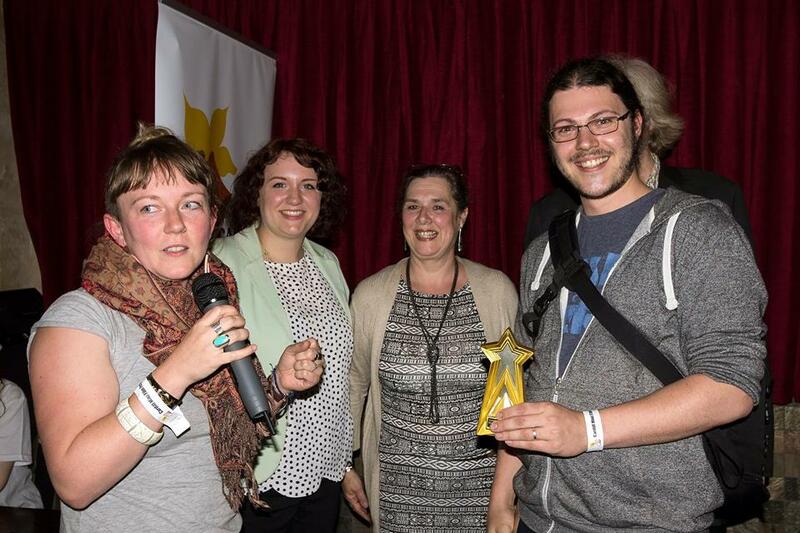 Winners included ‘I Should Have Run’, ‘Womb Raider’, ‘Portrait of a Fighter’ and ‘Think Twice’. 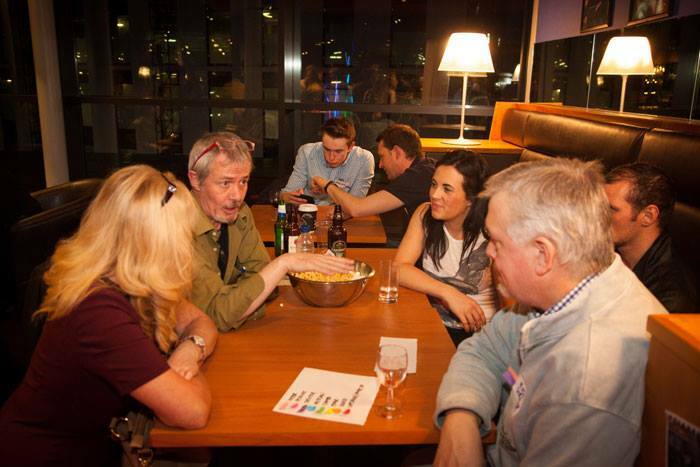 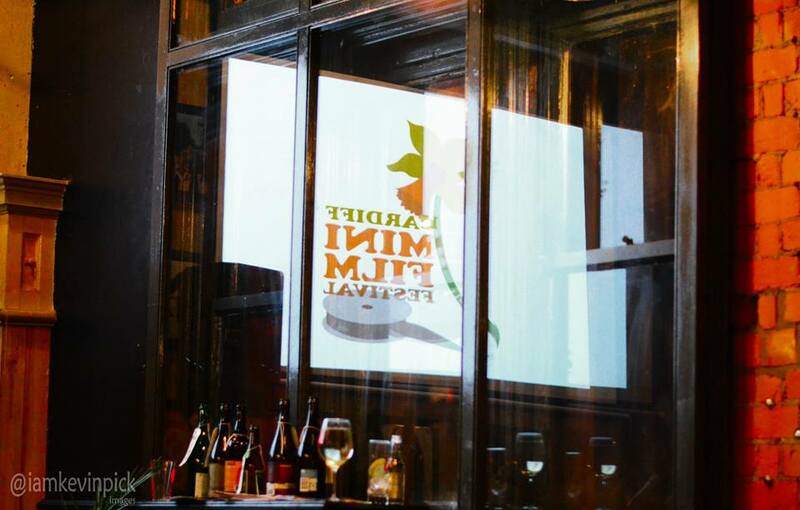 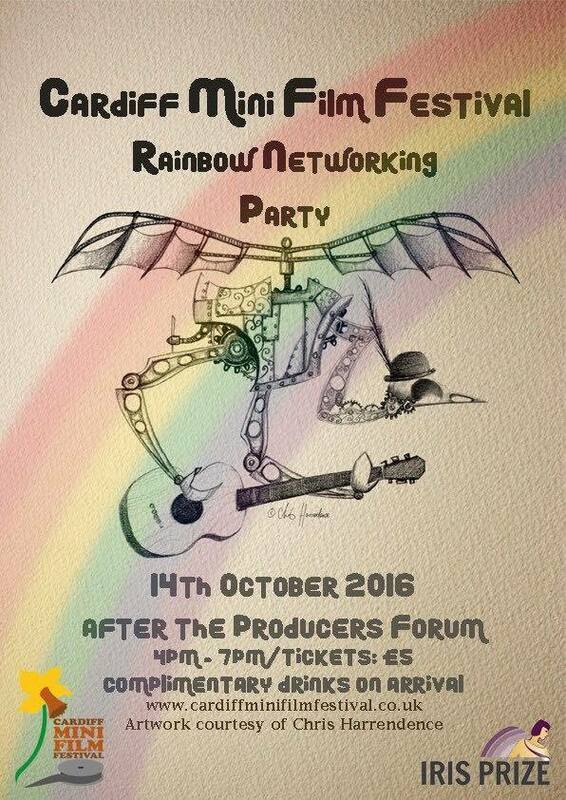 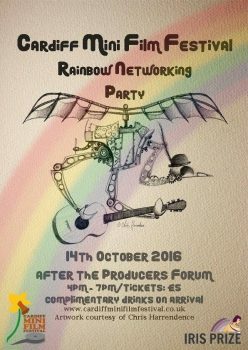 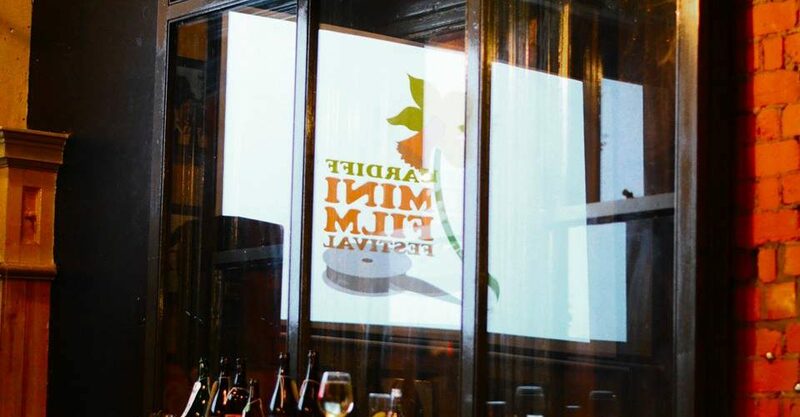 Cardiff Mini Film Festival teamed up with the Iris Prize and the Producers Forum to bring you a rainbow networking party! 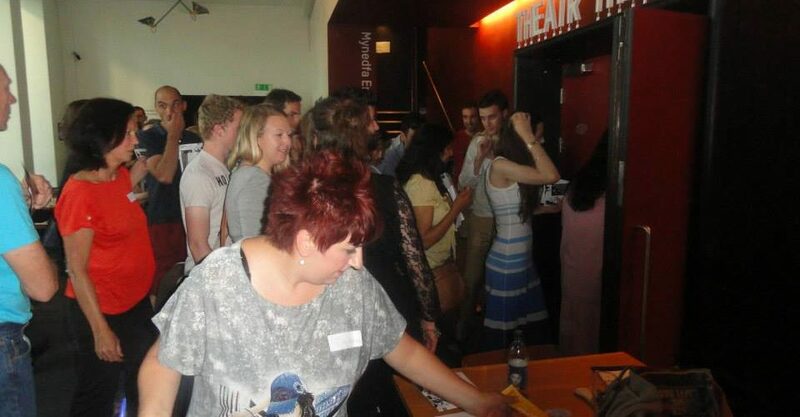 Different coloured wristbands were given out depending on what your current or aspired role is in the film industry so that people could make a bee-line for you if you were what they needed on their next project. 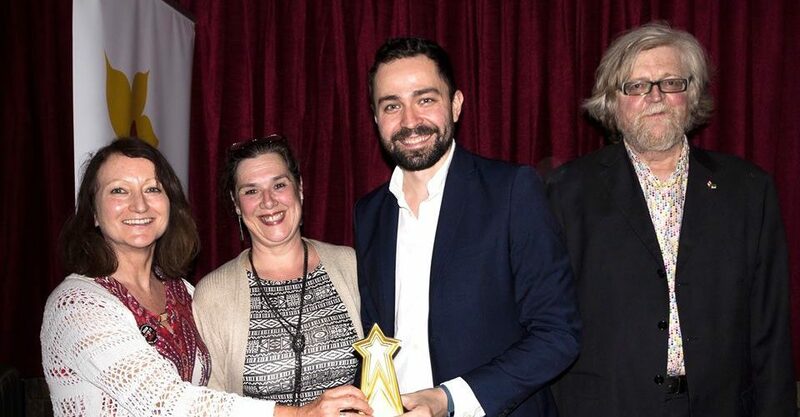 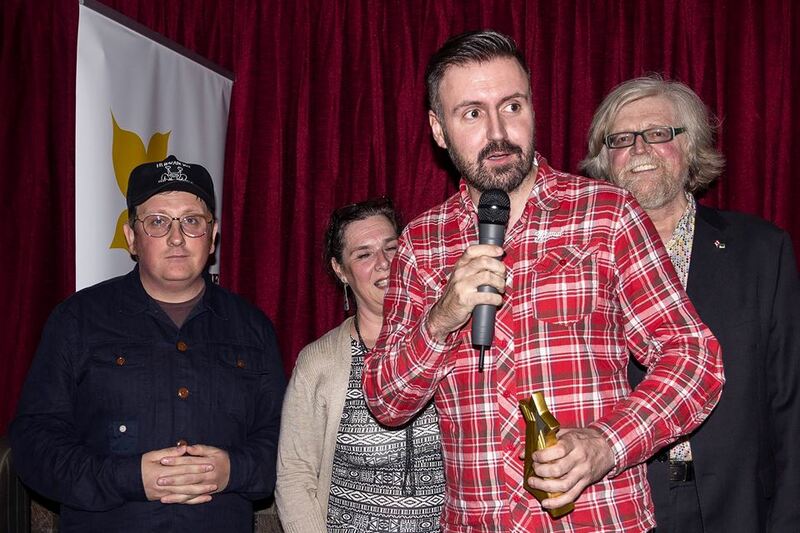 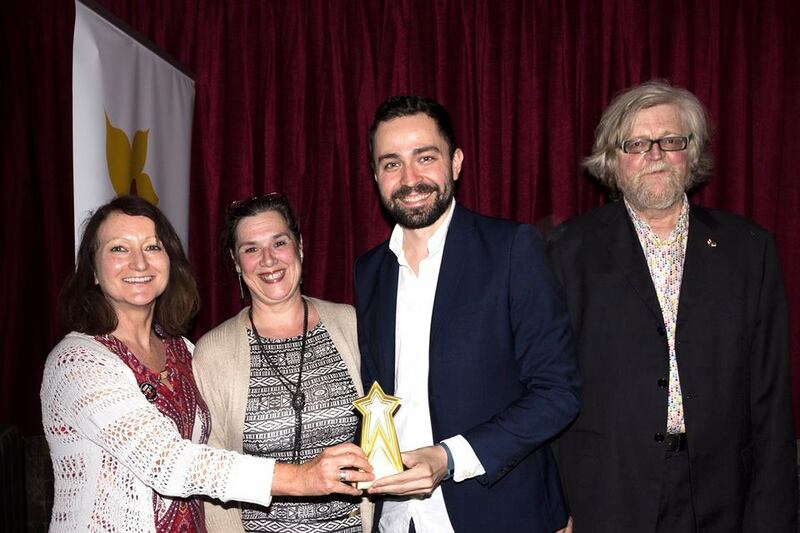 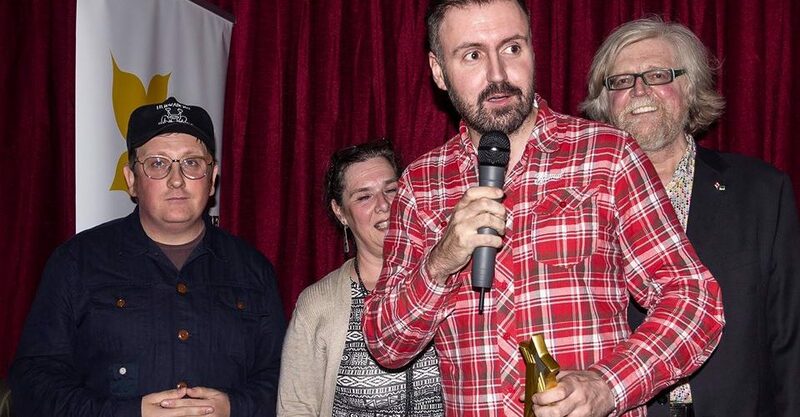 By teaming up with the Iris Prize and Producers Forum we introduced you to LGBT filmmakers from all over the world as well as special industry guests from all over the UK, including Vue, BFI, Disney, Encounters, Pinewood and many more. 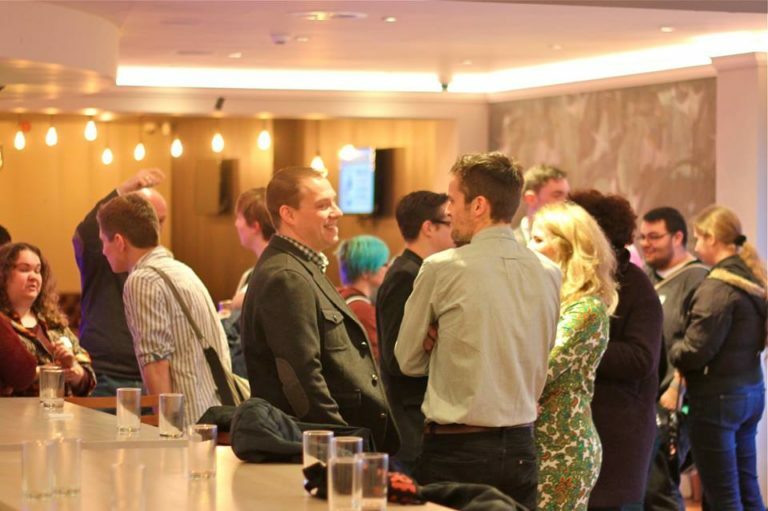 And if that wasn’t enough for you there was also the wine reception at the BAFTA Bar on the top floor of Cineworld Cinema. 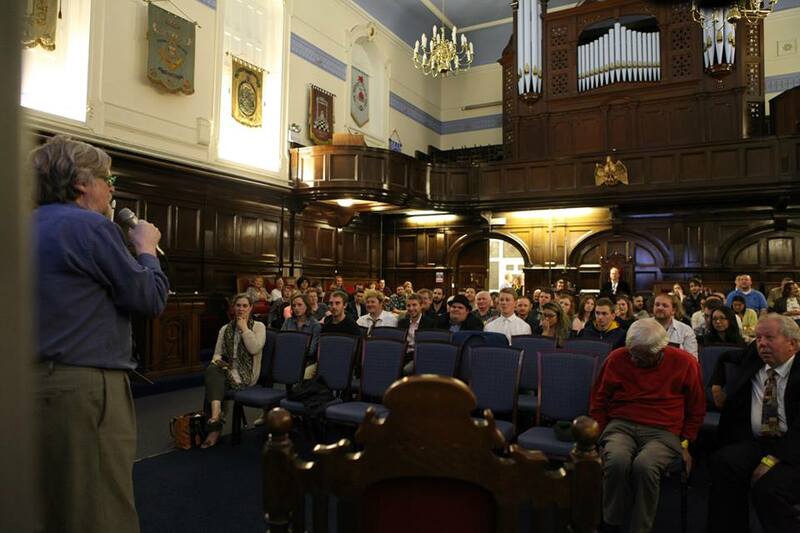 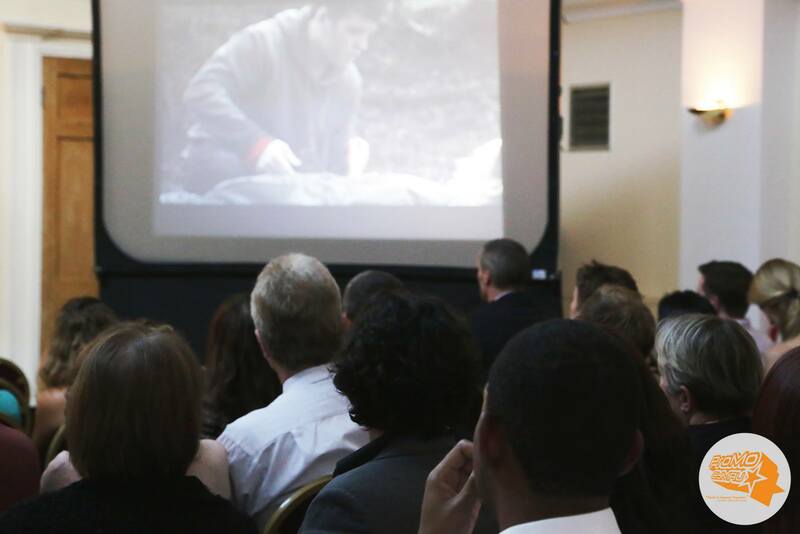 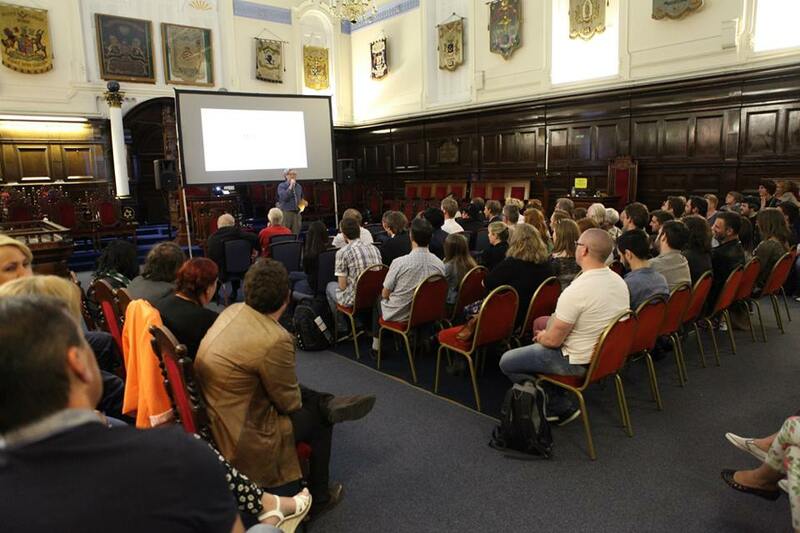 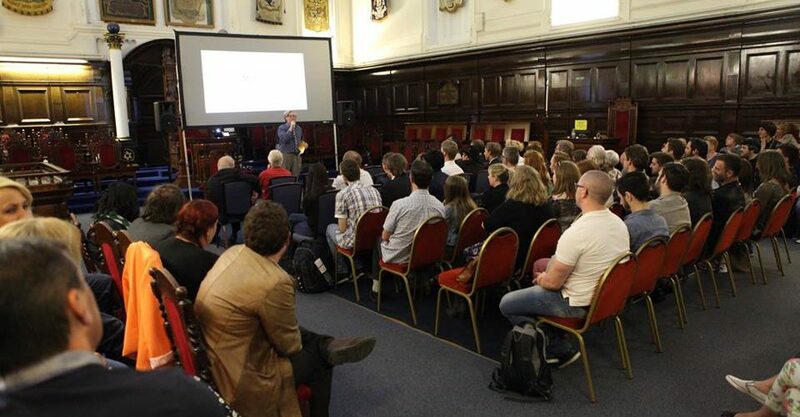 The Facr or Fiction event was held on June 7th 2015 in Cardiff Masonic Hall, porters and Gwihw followed by a Darkened Rooms screening of David Fincher’s Se7en. 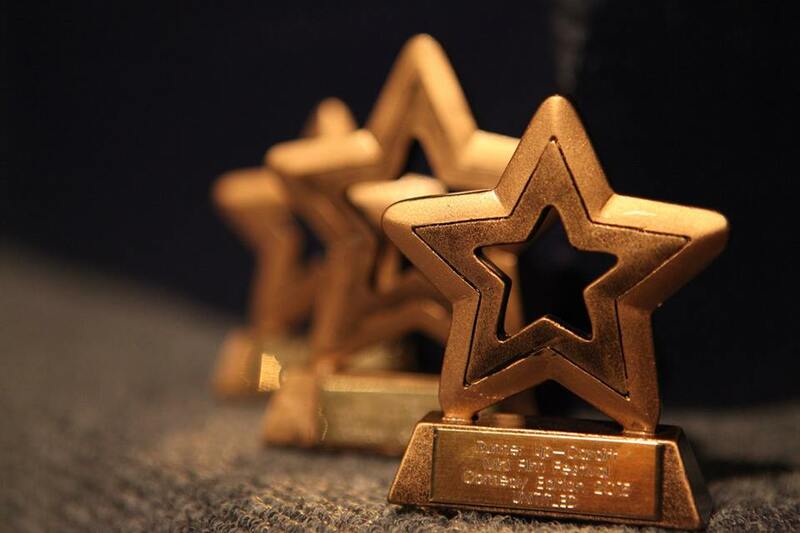 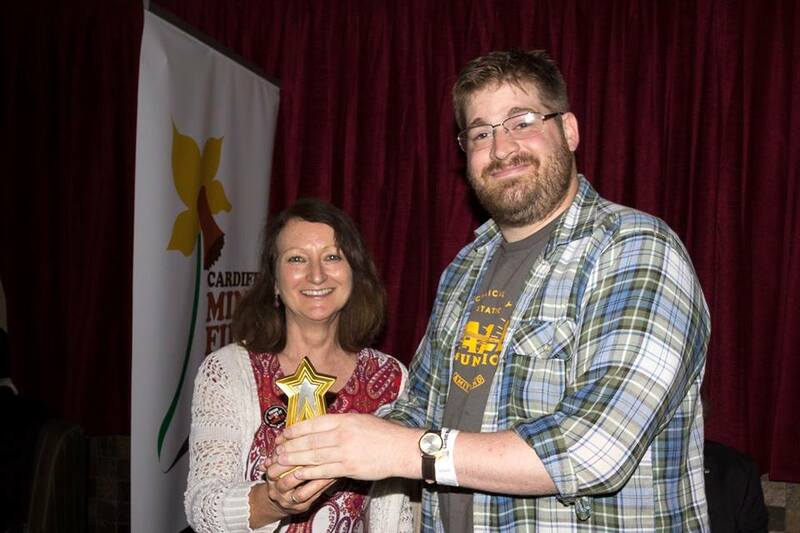 The winning documentary was ‘That’s That’, fiction was ‘Mr Madden’, the rising star award went to ‘Me Without I and the audience choice was ‘JAM’. 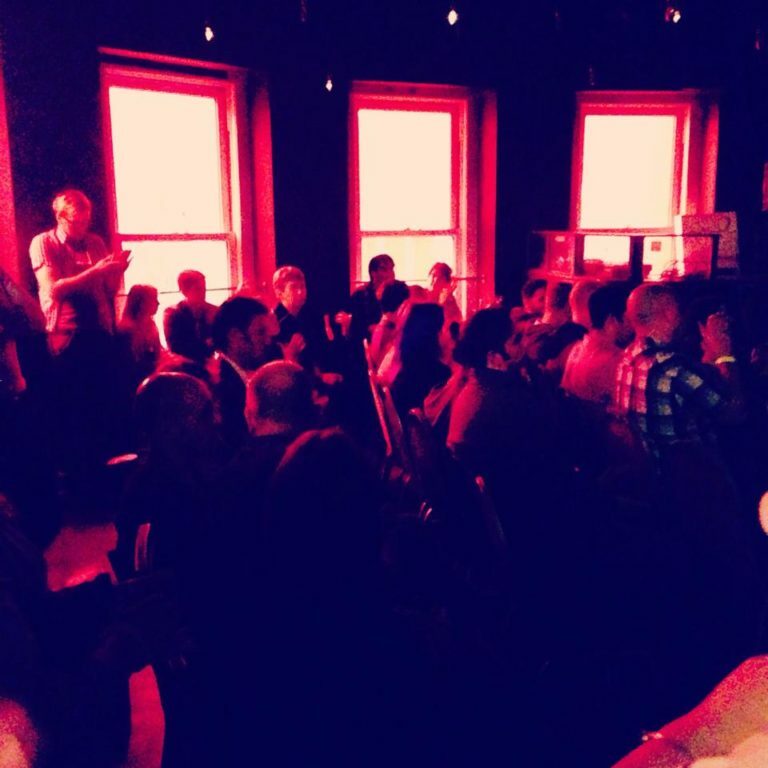 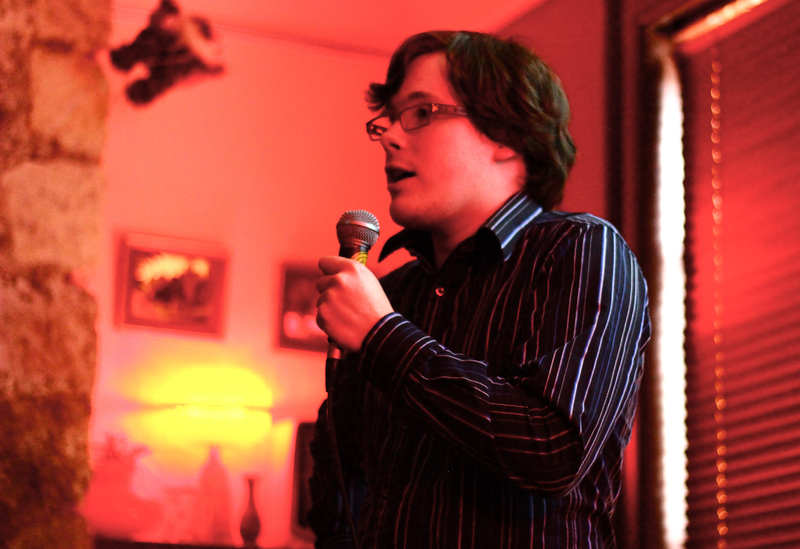 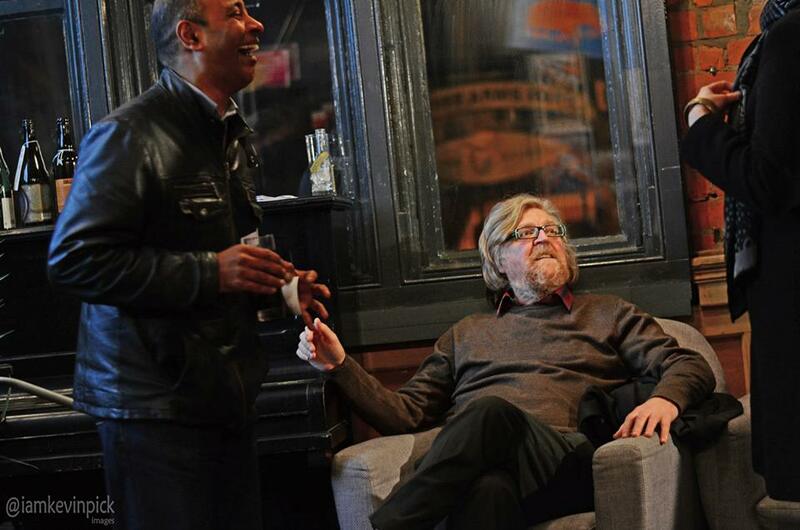 The 2015 Comedy Festival event was held at Chapter Arts Center. 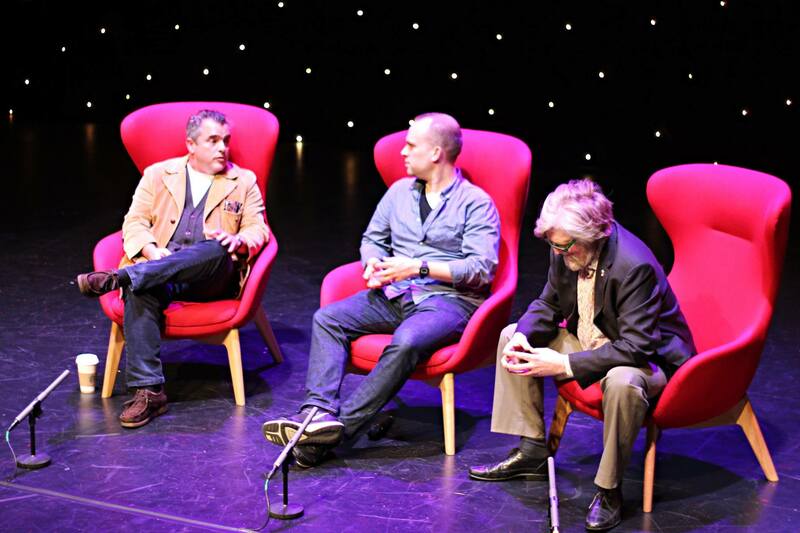 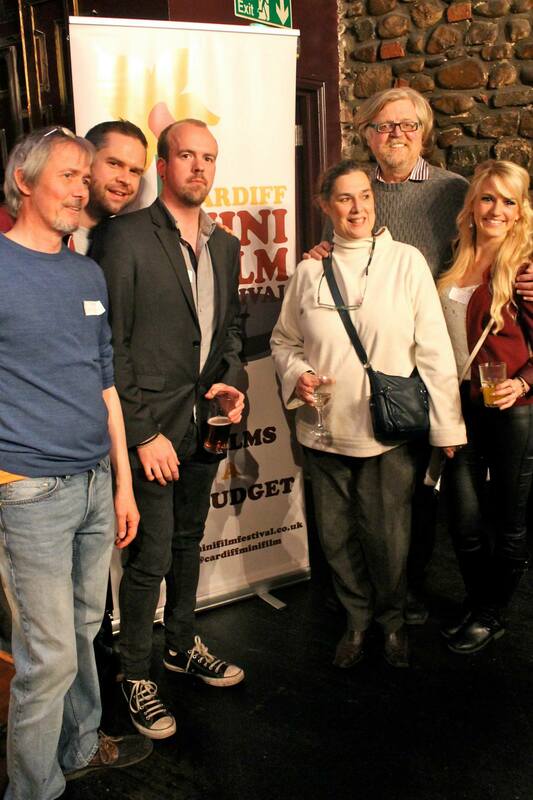 Guests included Boyd Clack, Kirsten Jones and My Family star Keiron Self. 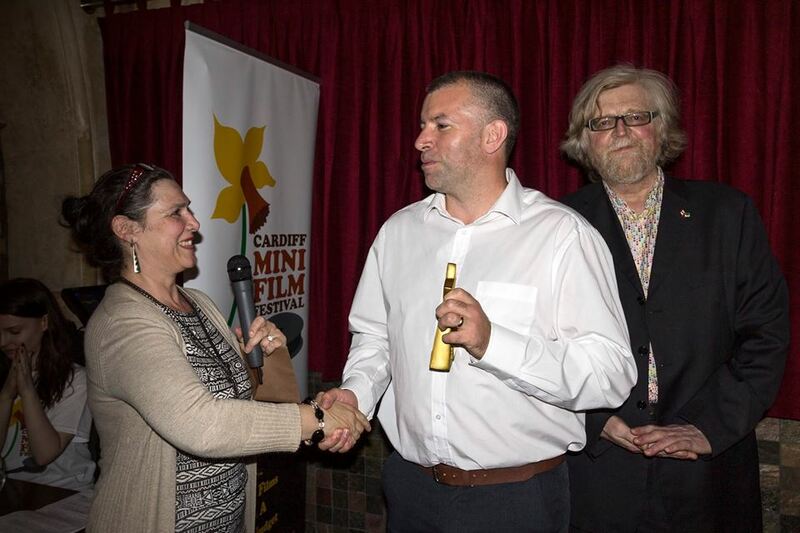 The winning film was titled ‘Friend’, the runner-up was ‘UNiTITLED’ and the audience choice went to ‘The Chant’. 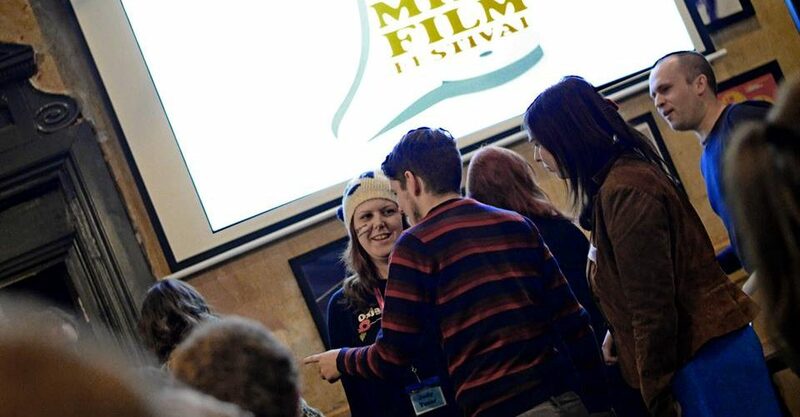 The Music Video Festival was held at The Three Rivers on November 22nd in 2015. 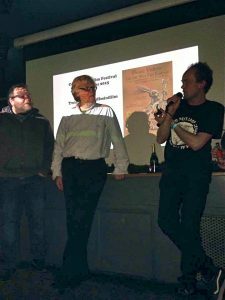 Judged by Eggsy of Goldie Lookin Chain, the winner was ‘Stay Weird’, the runner up was ‘Matchday’ and the audience choice was ‘Narrowman’. 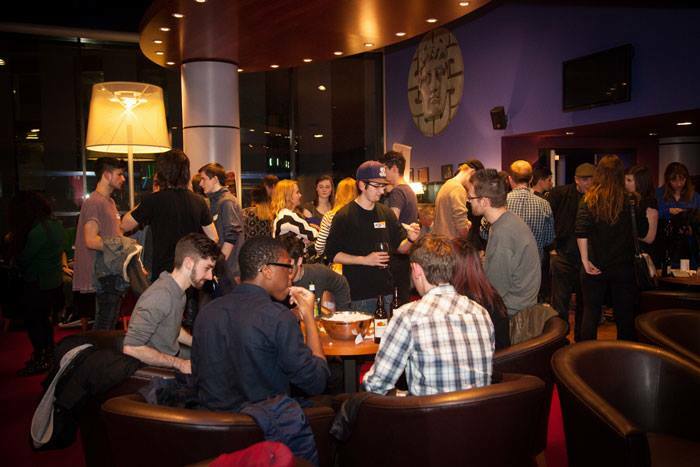 This event held on February 23rd 2014 took place at Cineworld Cinema in Cardiff city center. 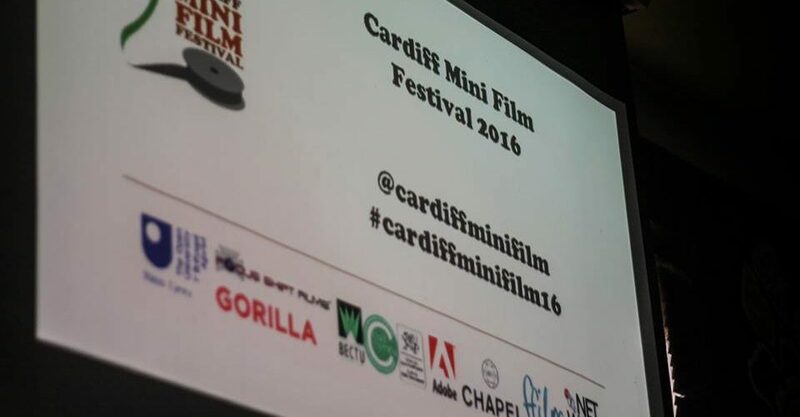 Its aim was to allow film-makers to collaborate to create bigger film projects with the help and advice of industry professionals. 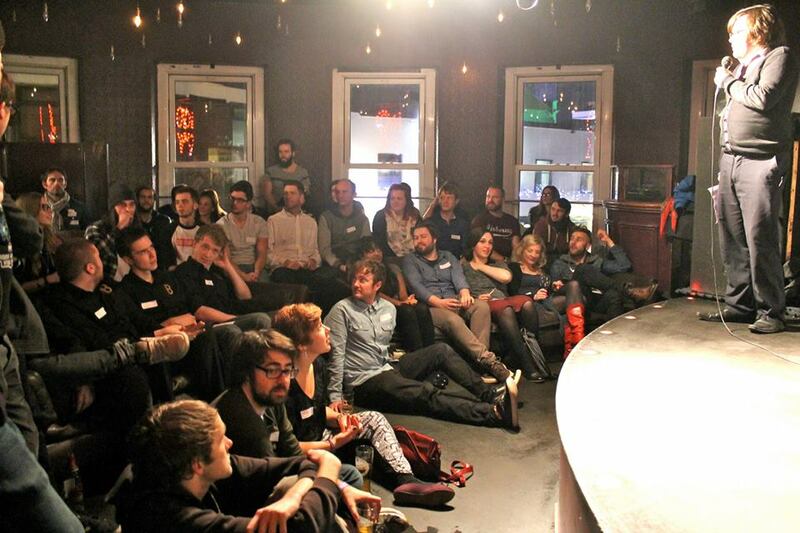 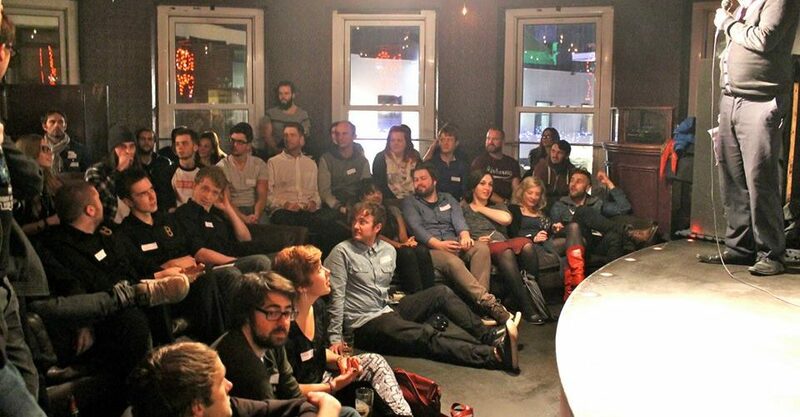 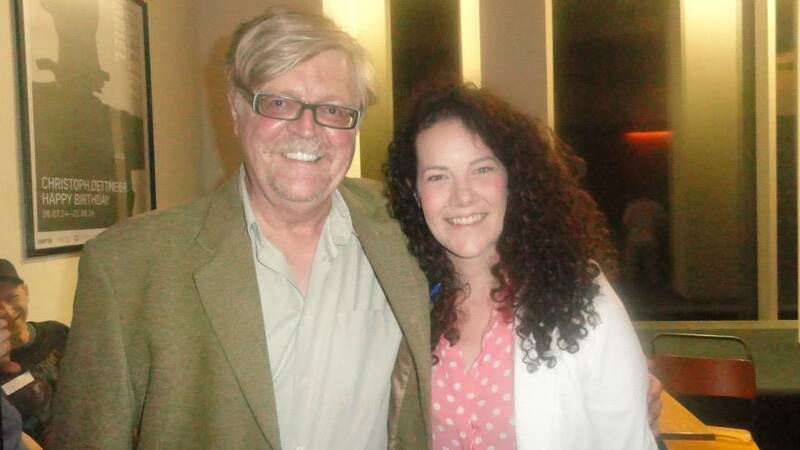 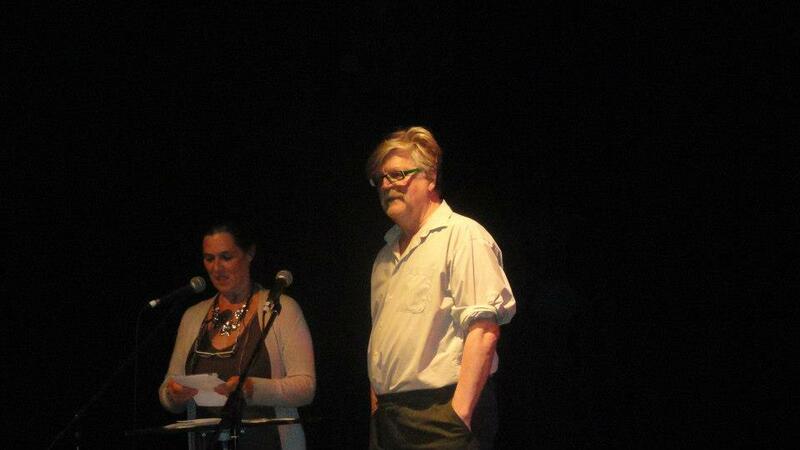 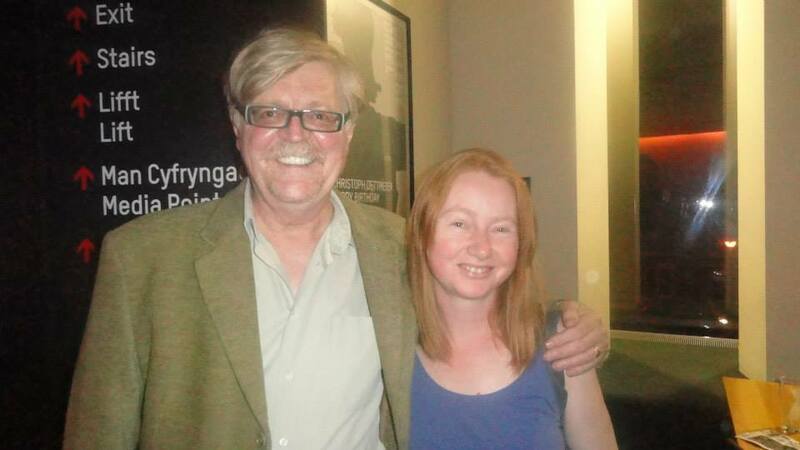 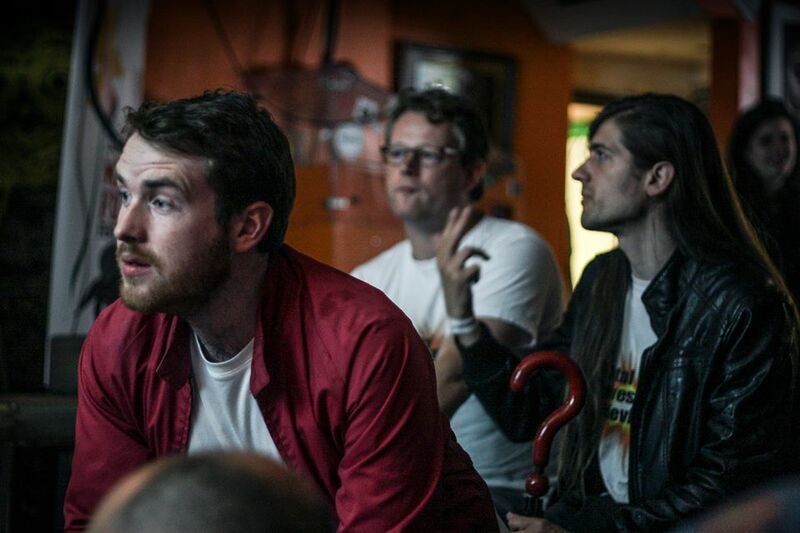 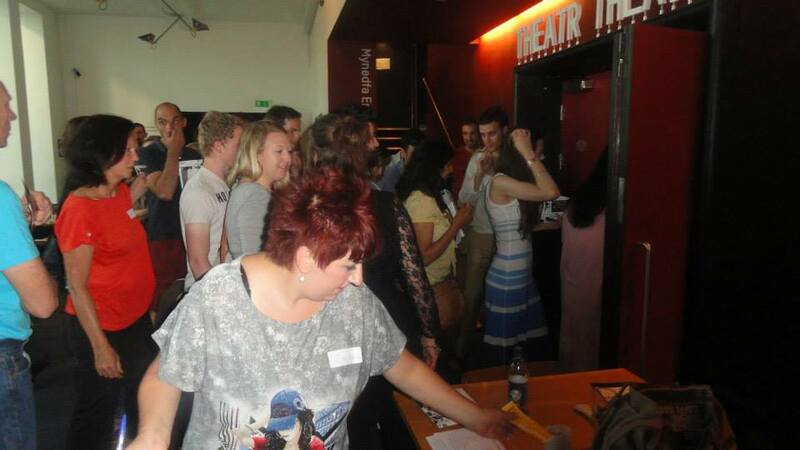 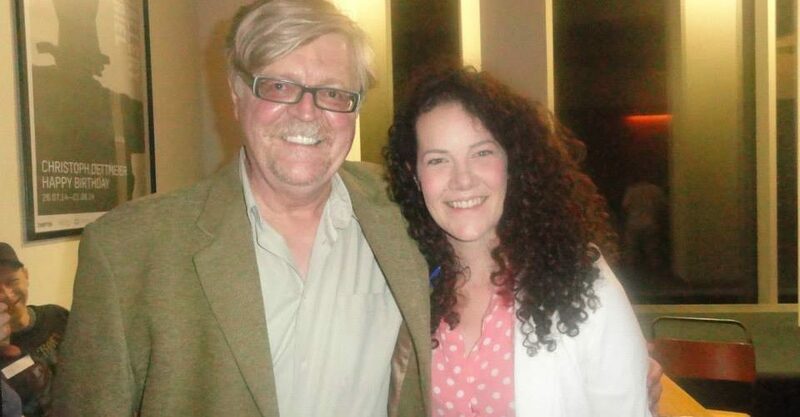 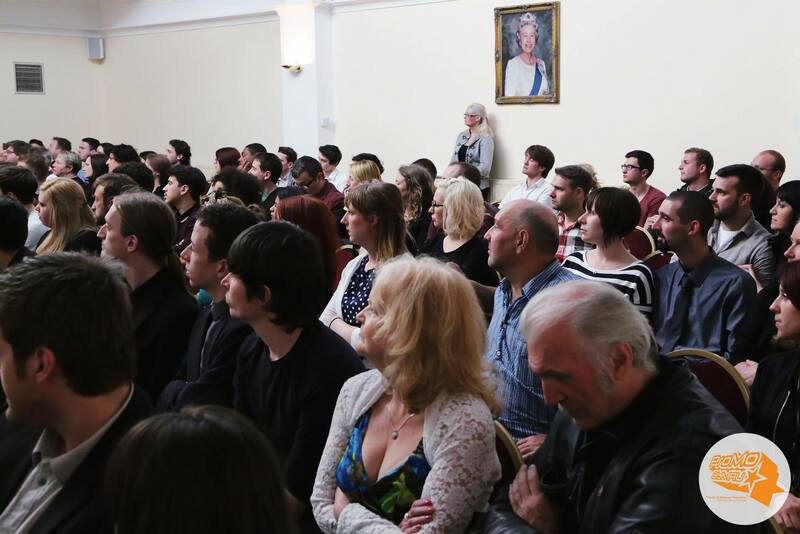 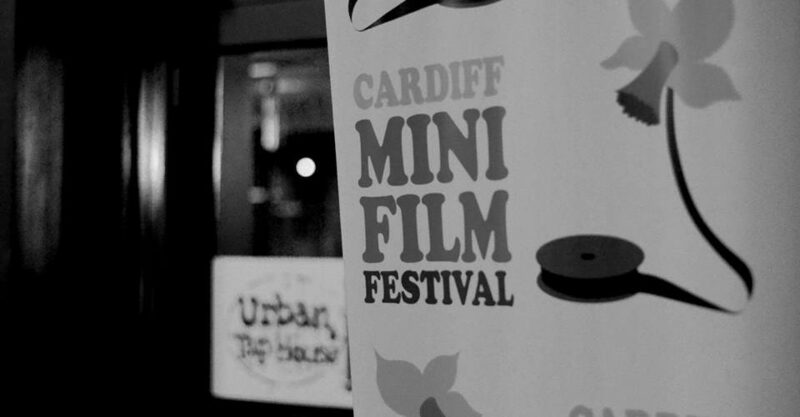 This Cardiff Mini Film Festival event ran over the weekend of 7th & 8th June 2014. 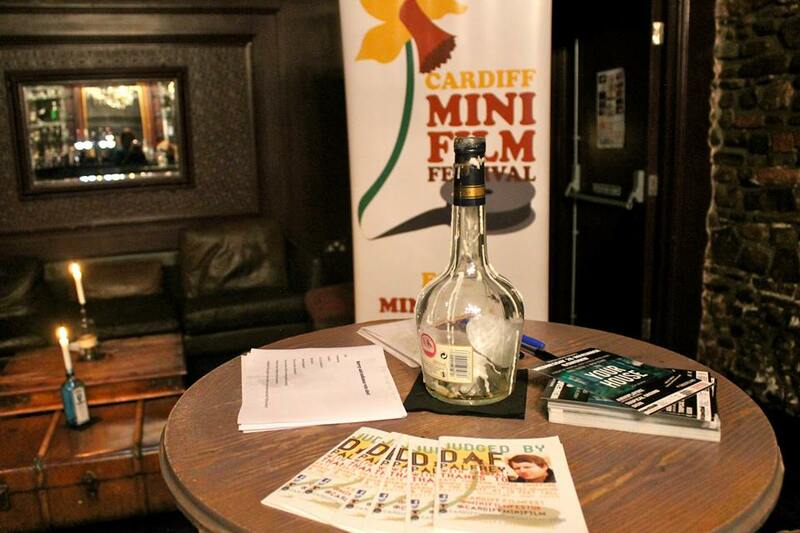 We were proud to host the festival at Clwb Ifor Bach, Porters, Ten Feet Tall and Urban Tap House. 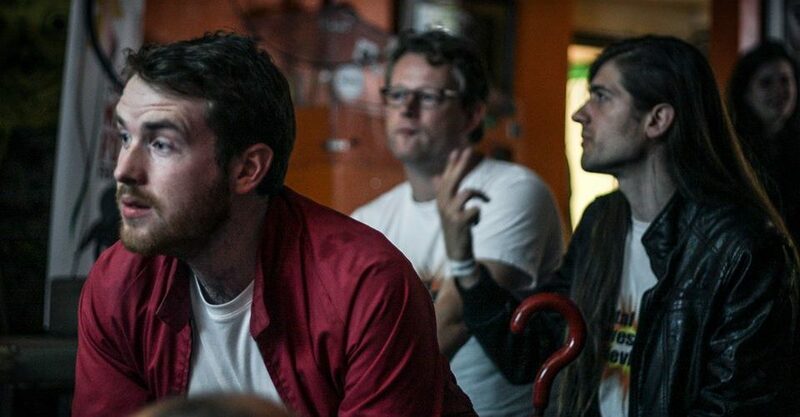 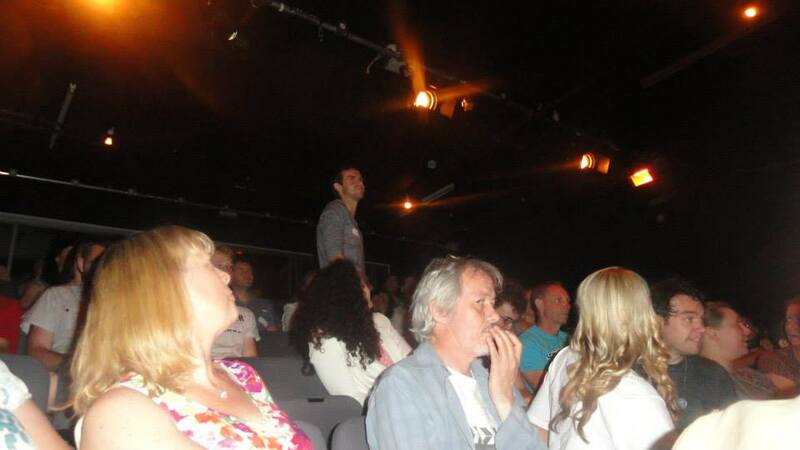 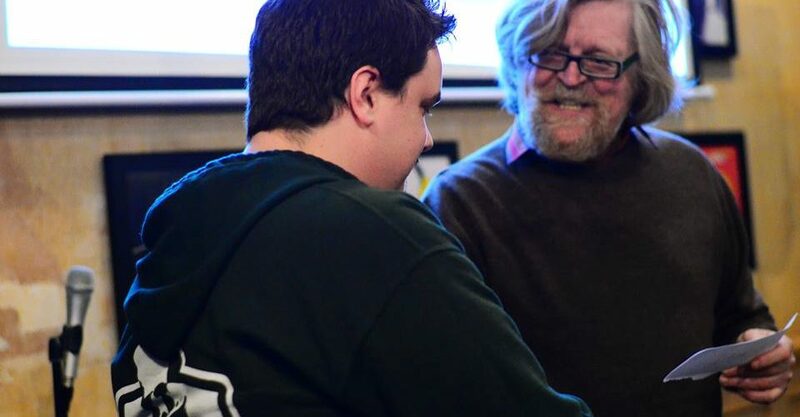 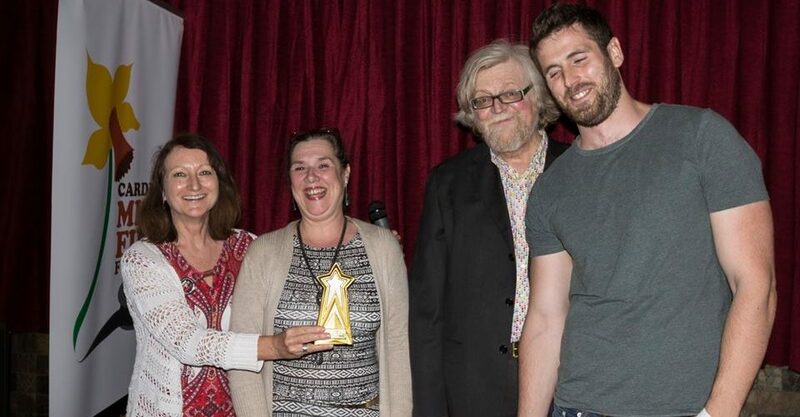 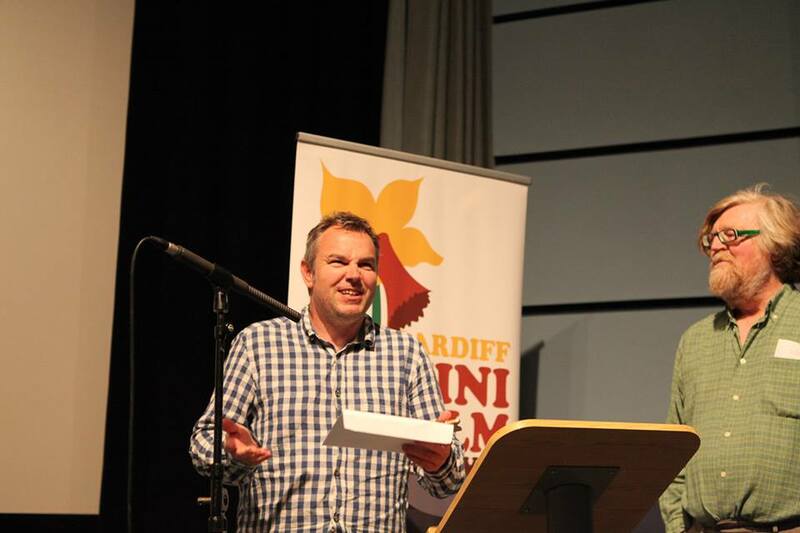 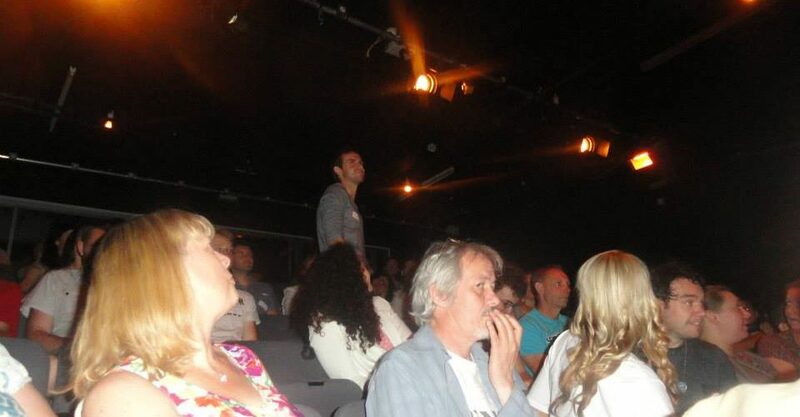 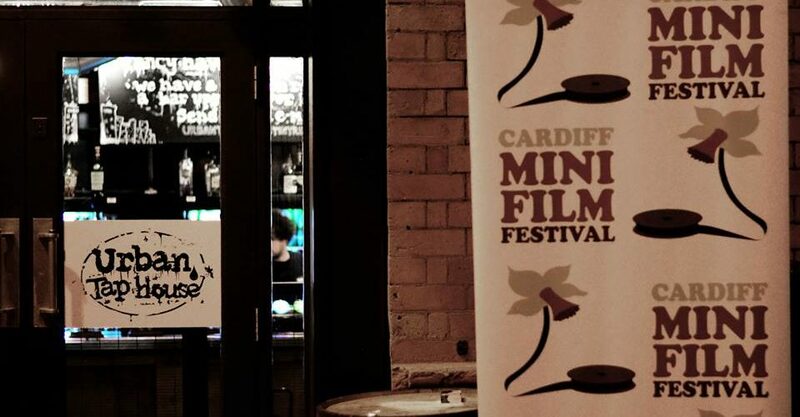 A special Comedy Edition of the Cardiff Mini Film Festival took place at Chapter Arts Center on July 27th in association with the Cardiff Comedy Festival. 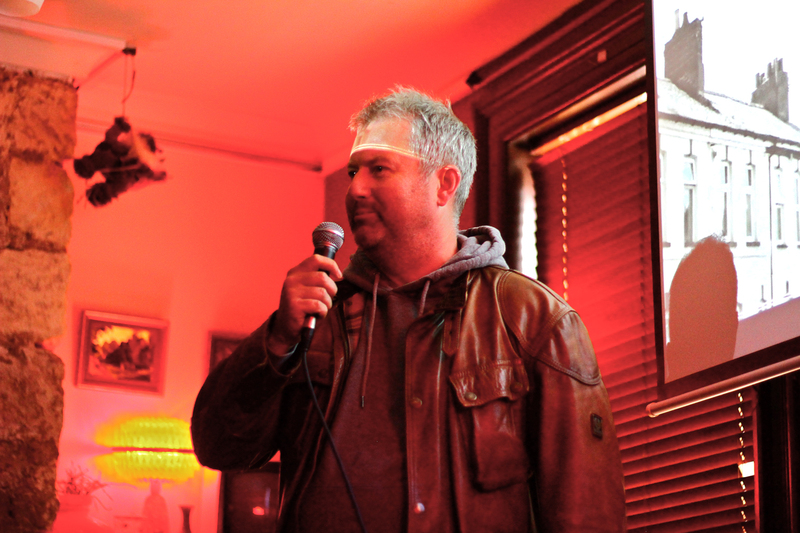 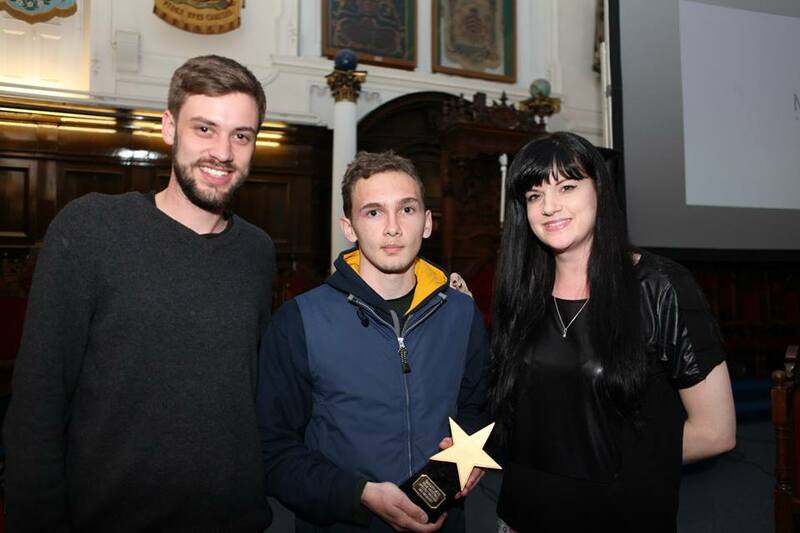 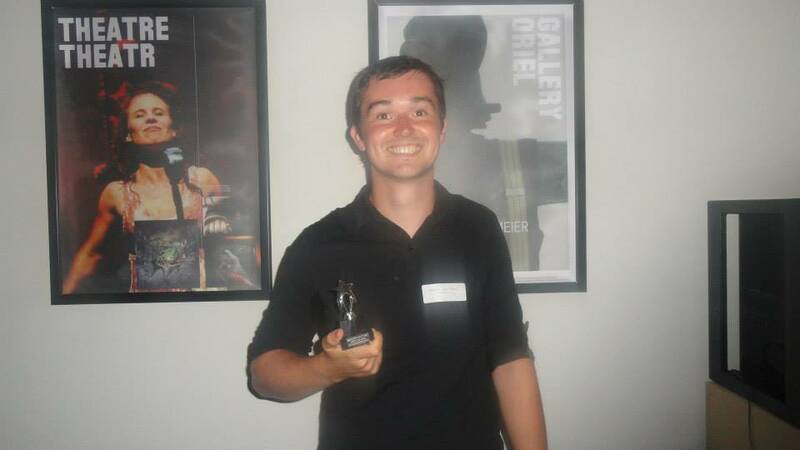 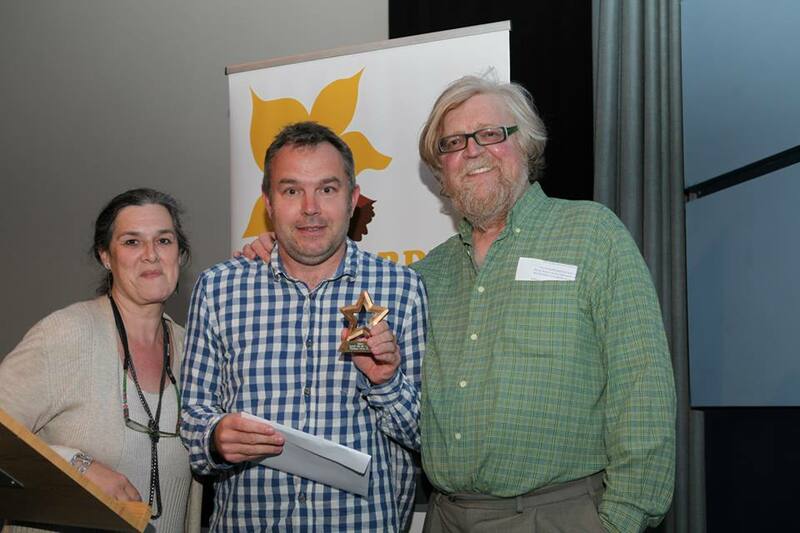 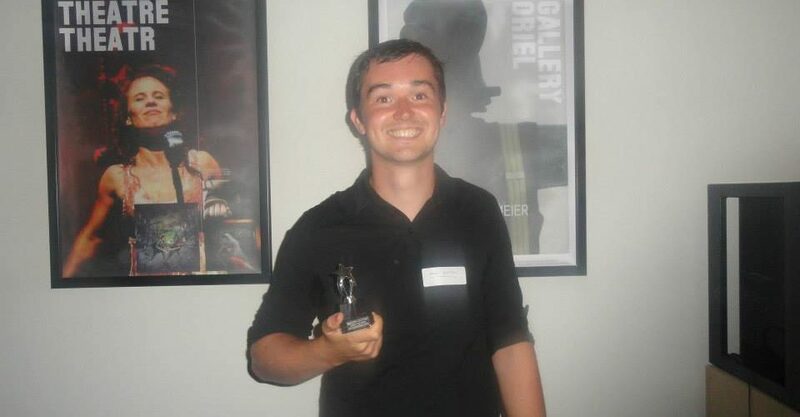 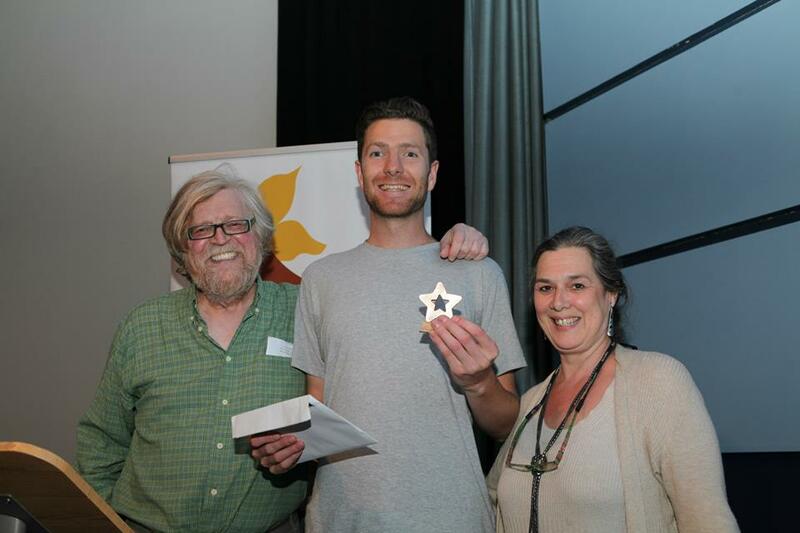 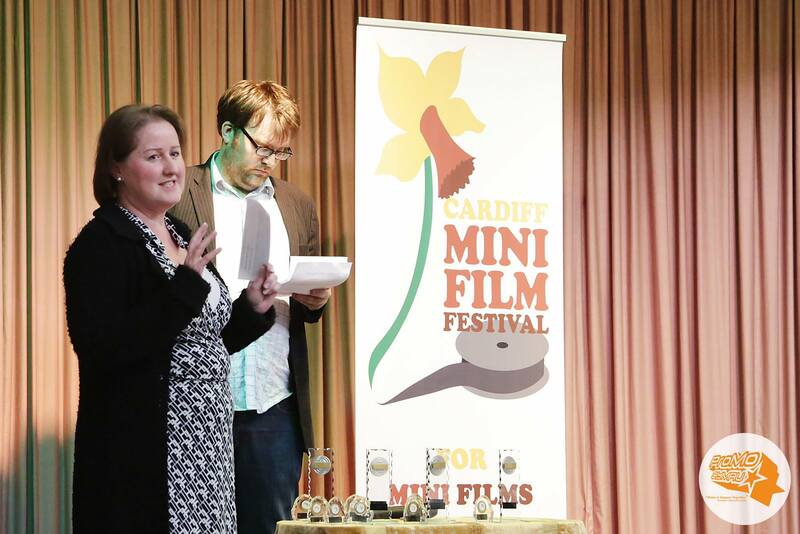 The winner of the event was ‘Tripod Shootout’ produced by Karl Rees. 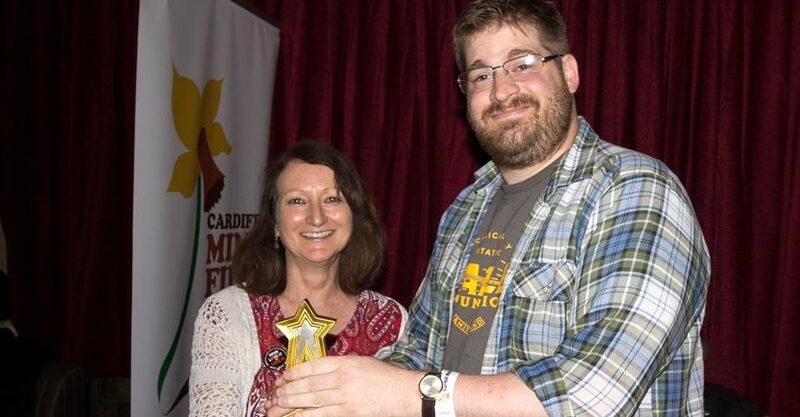 The runner up was ‘Not Another Student Drama’. 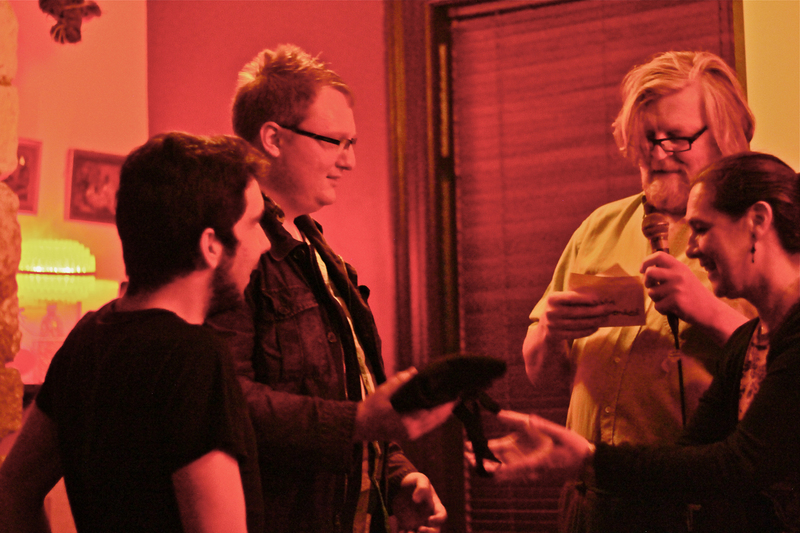 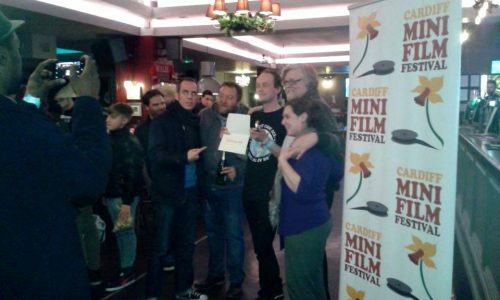 The audience choice award went to ‘The Goat’. 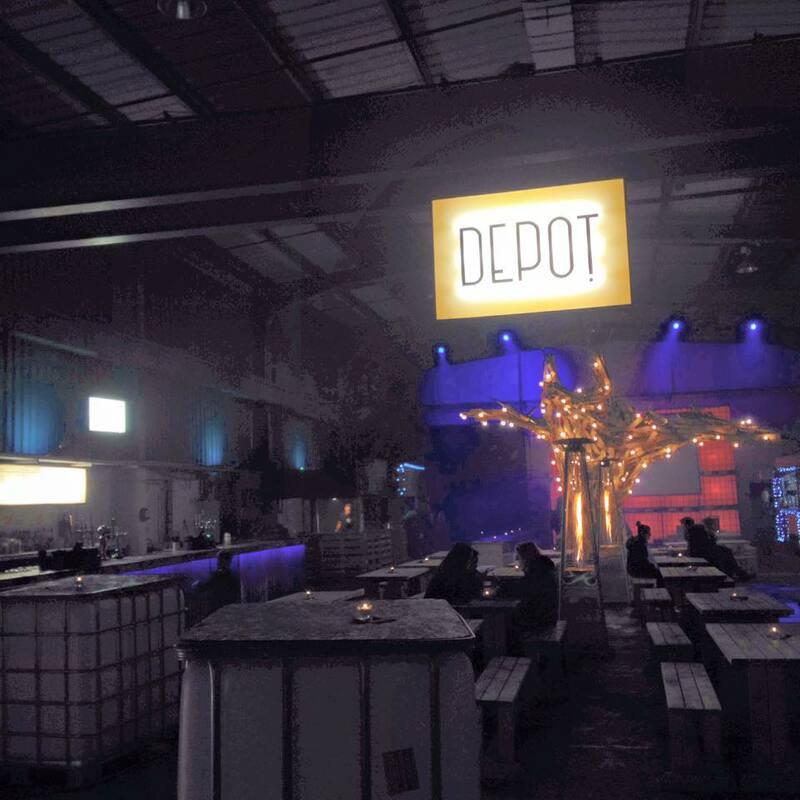 The Music Video event took place at 10 Feet Tall on November 23rd 2014. 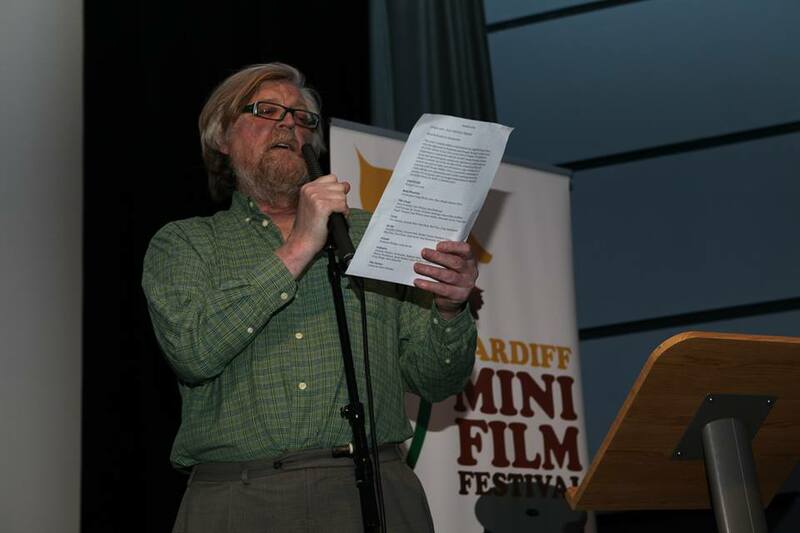 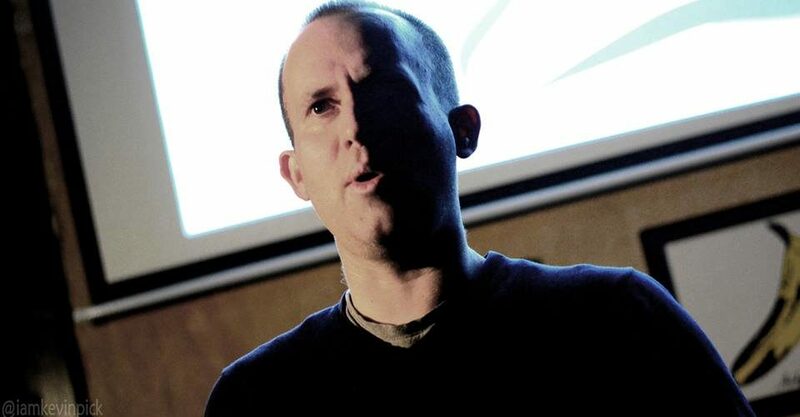 The videos were judged by Daf Palfrey. 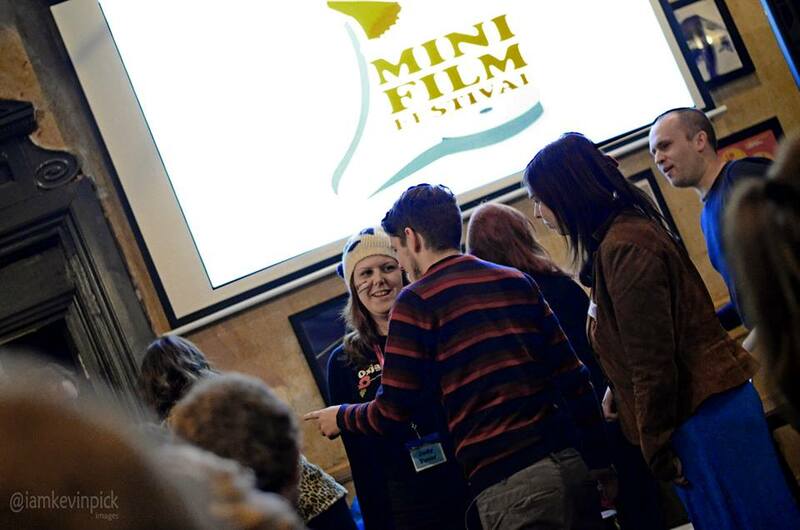 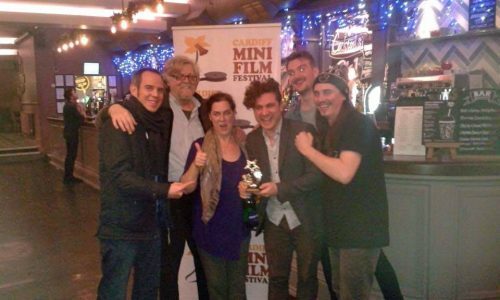 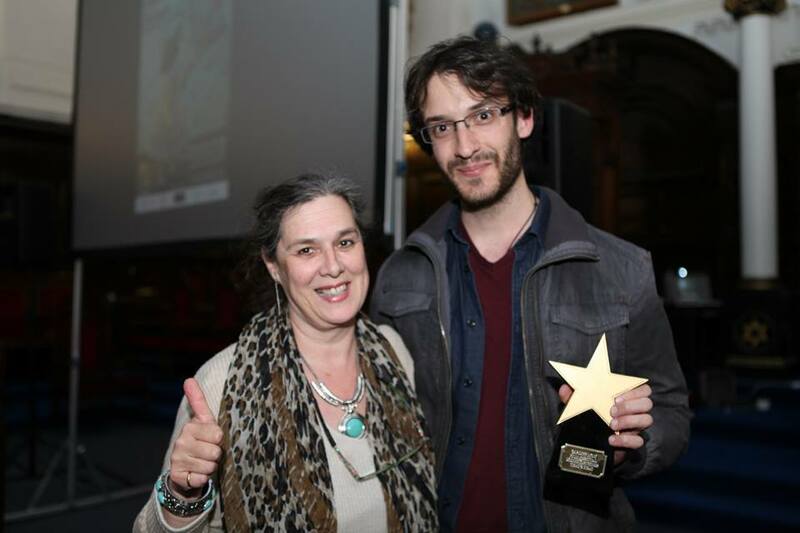 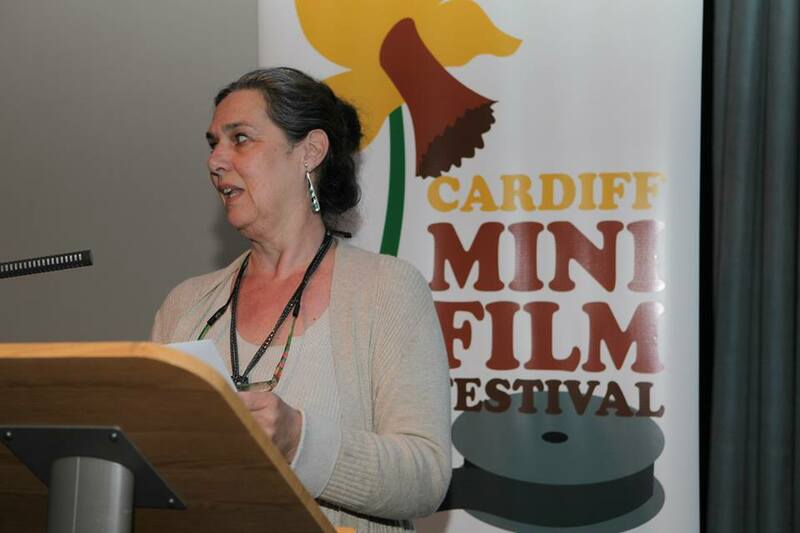 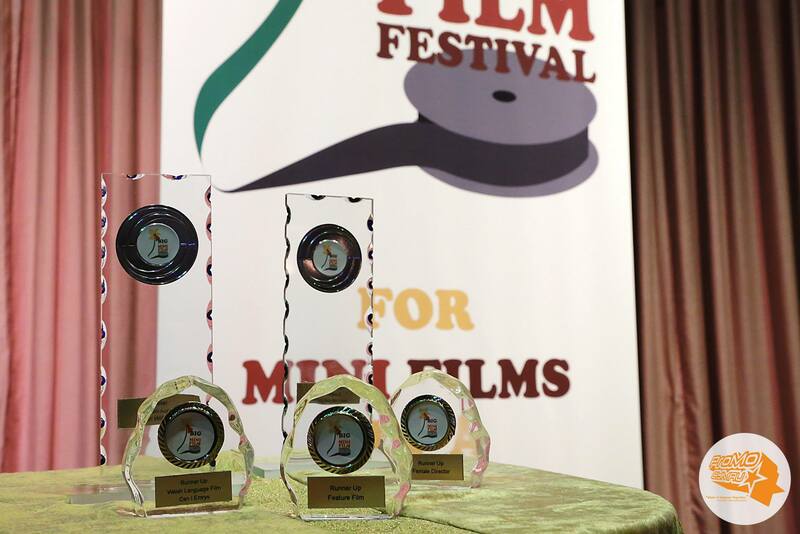 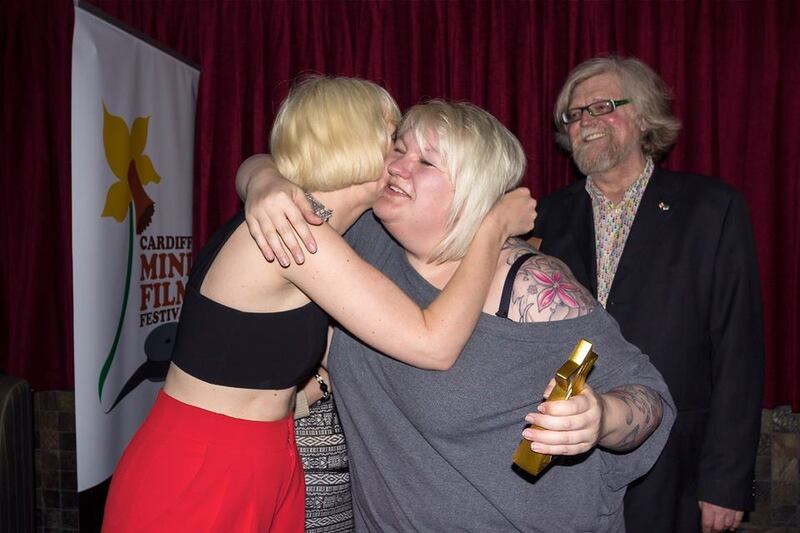 The Cardiff Mini Film Festival in 2013 went BIG! 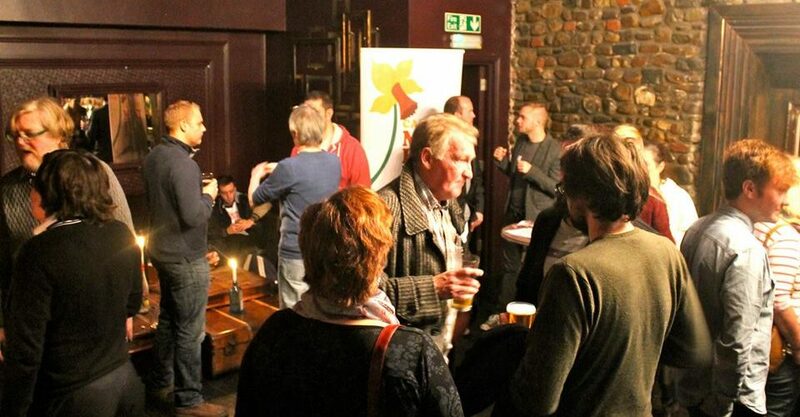 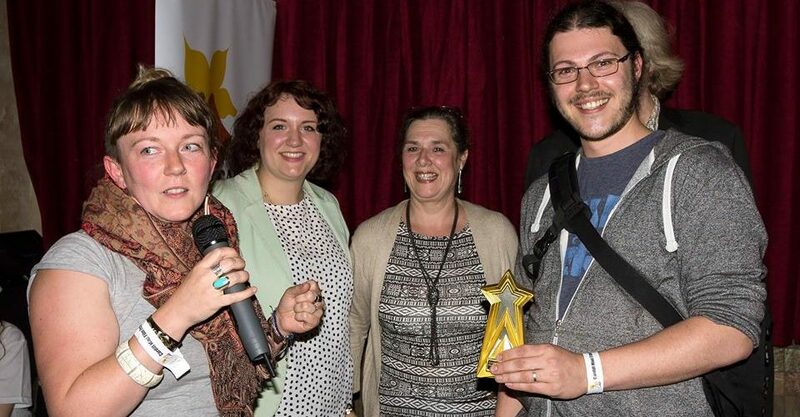 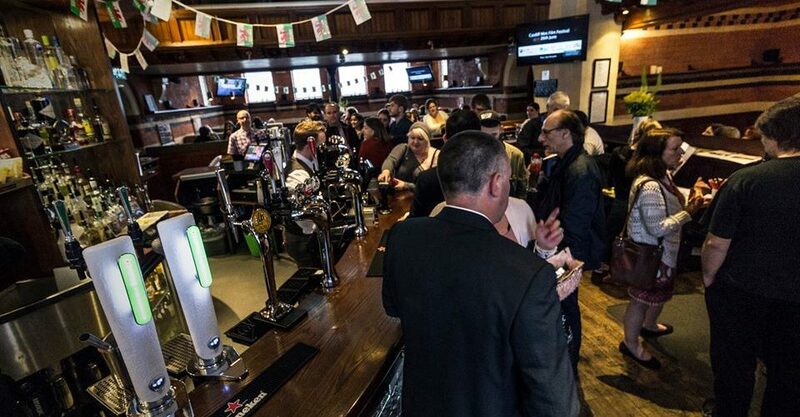 It was held on June 23rd across a number of venues in the city centre – Clwb Ifor Bach, The Full Moon, 10FT Tall, Masonic Hall, Gwdihw, Porters and CFQ. 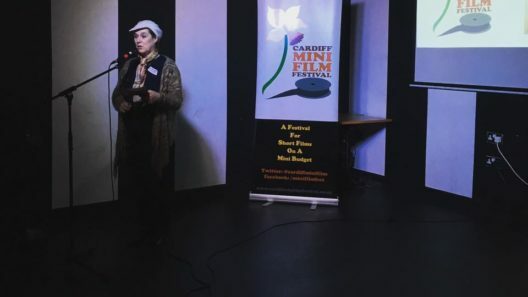 The success of the festival was thanks to some exceptional contributors including Philip John, John Shackleton, Adam O’Brian, Merlin Crossingham, Nerys Evans, Boyd Clack, Kirsten Jones, Daf Palfrey, Keri Collins and Elizabeth Morgan Hemlock. 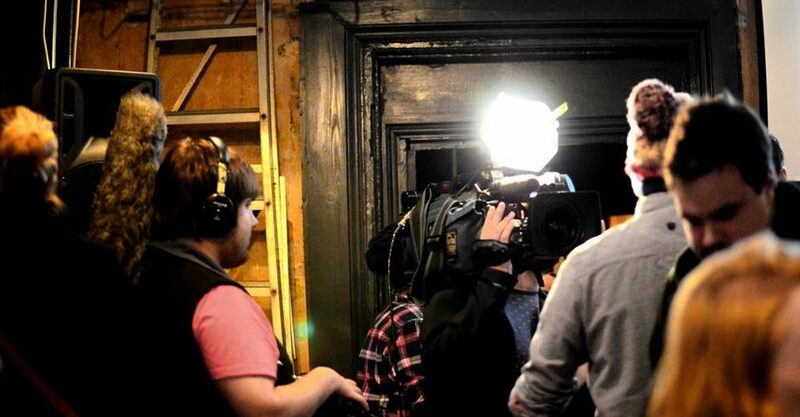 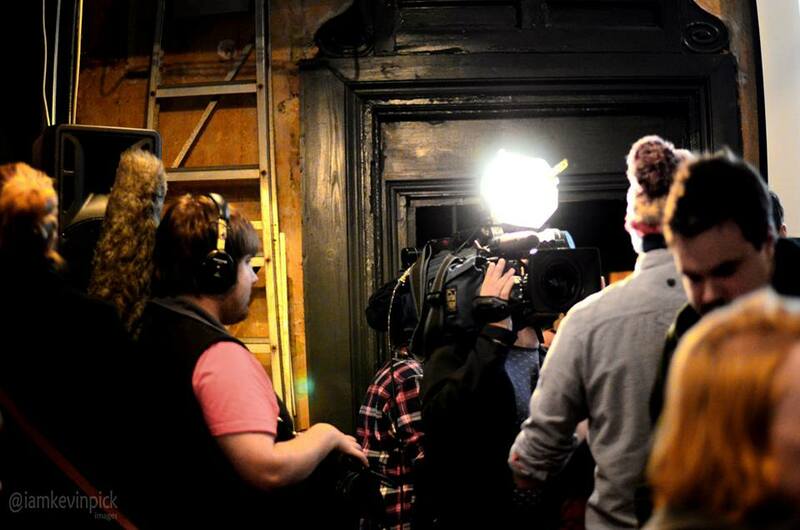 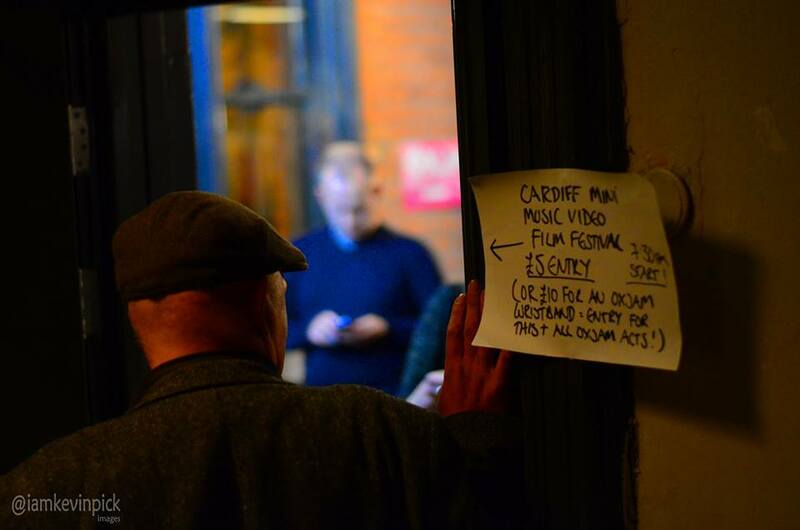 Partners included Oxjam Cardiff, MMP, CLIC, SJ, S4C and Sprout. 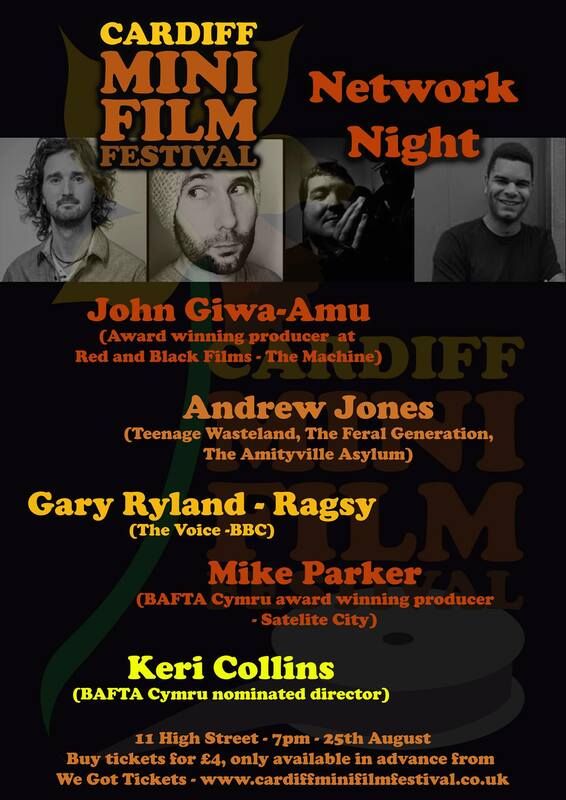 Following the success of the main festival, a networking evening was held on August 24th 2013 in the city center which included award winning producer John Giwa-Amu, director Andrew Jones, singer Gary Ryland (Ragsy), producer Mike Parker and director Keri Collins. 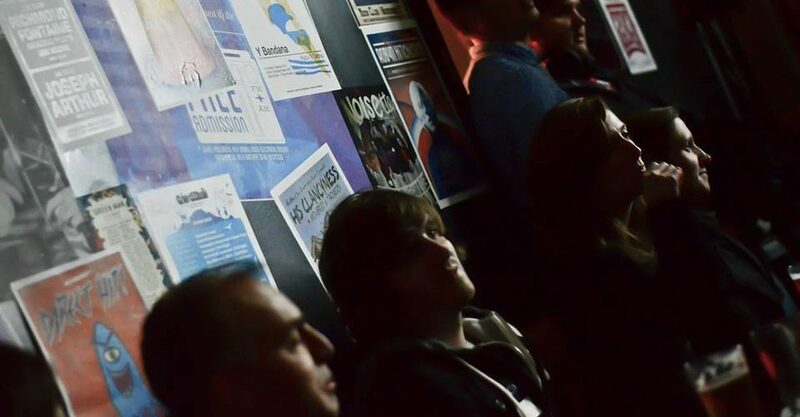 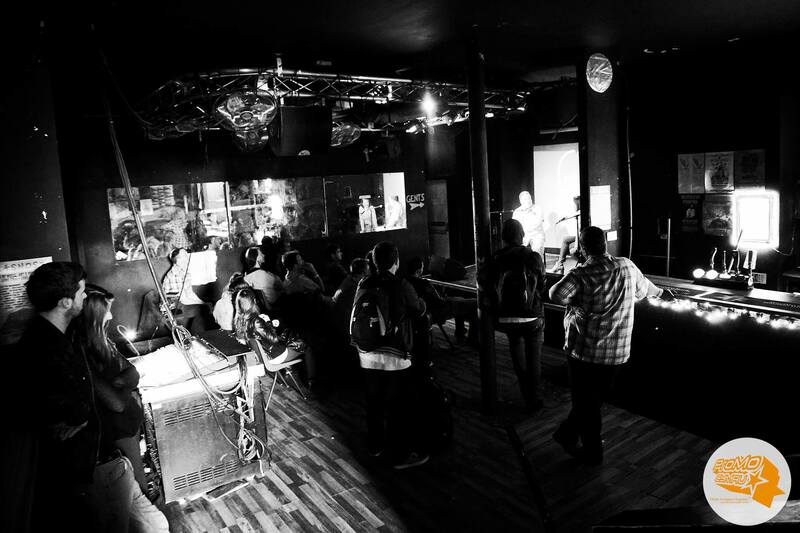 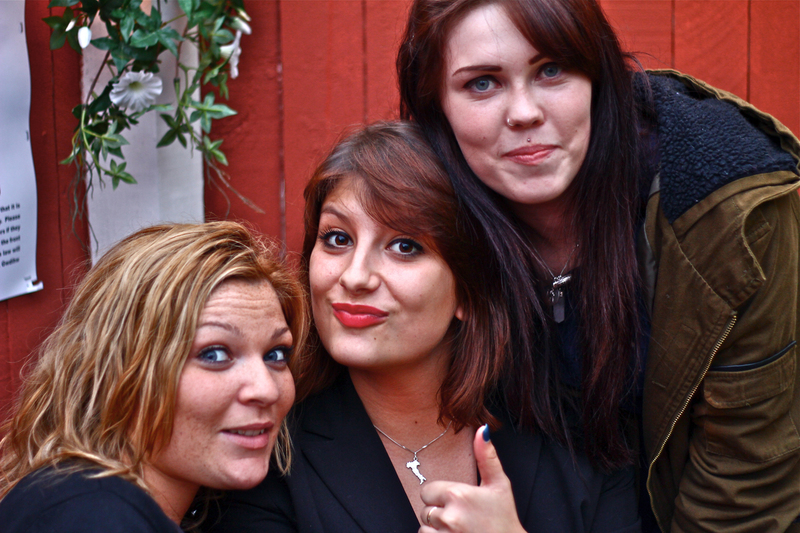 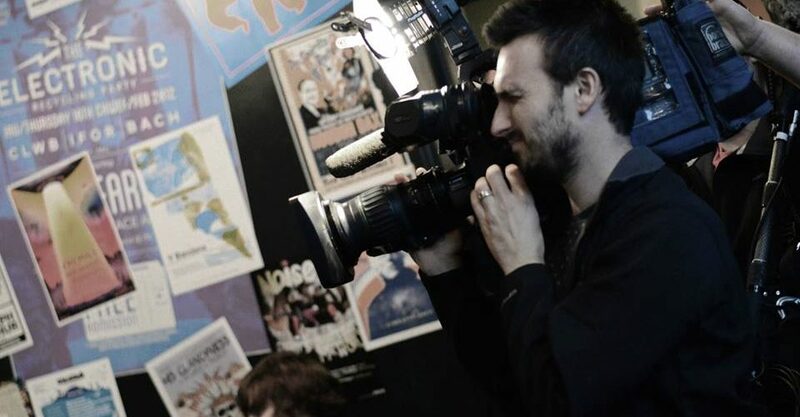 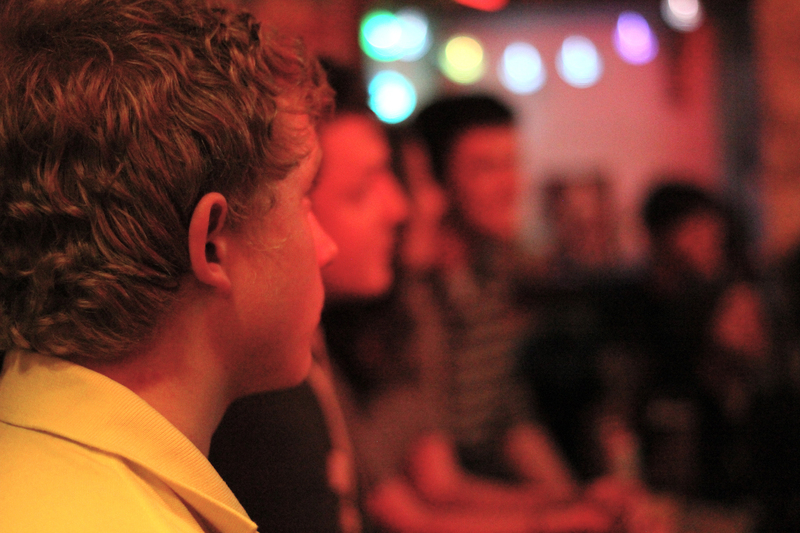 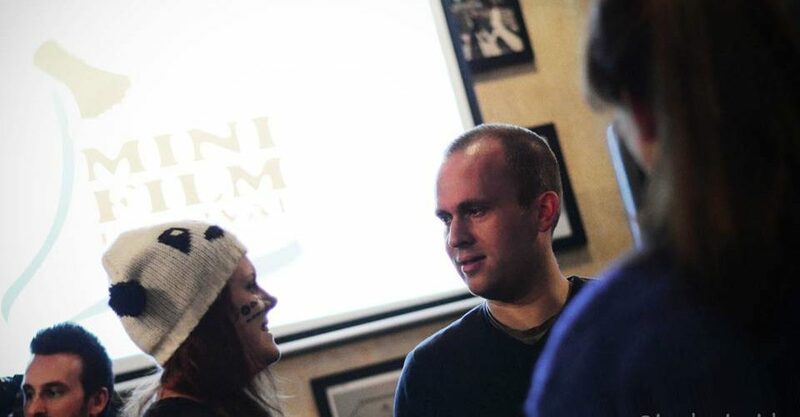 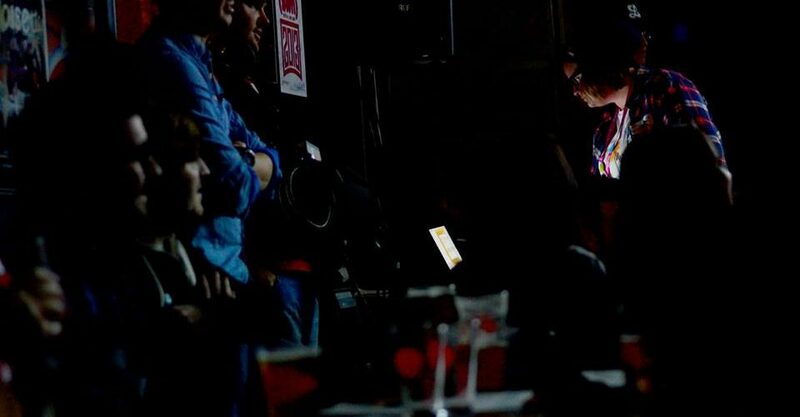 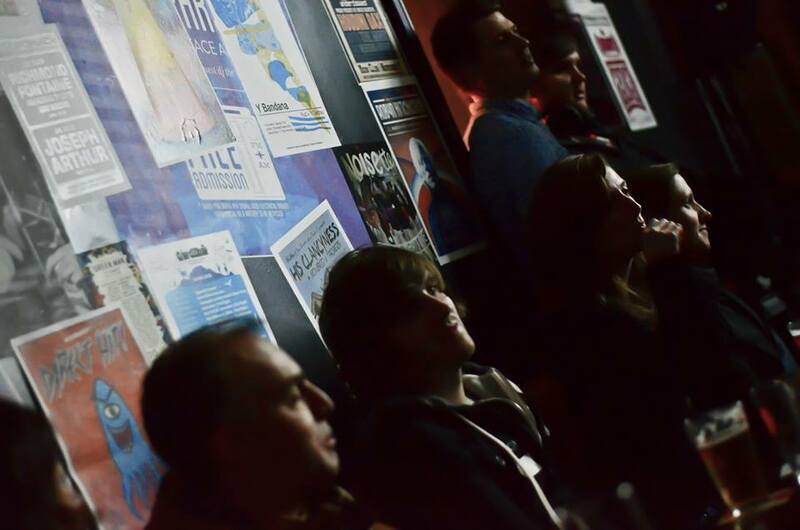 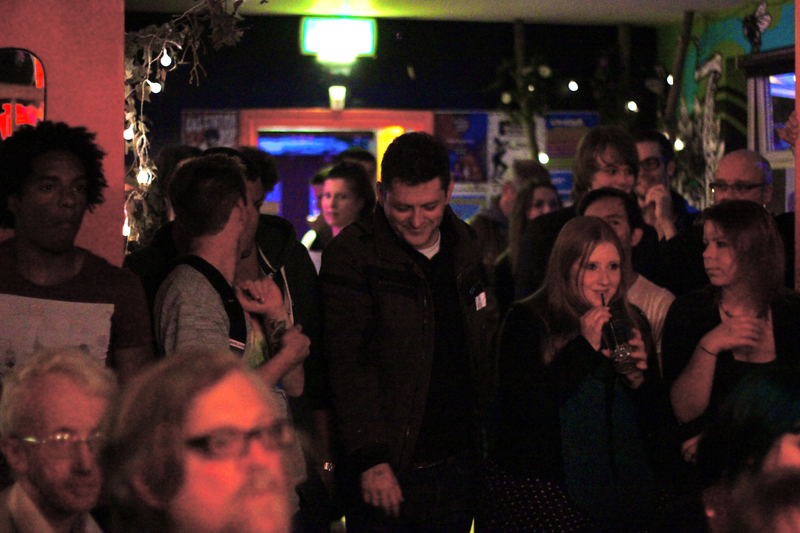 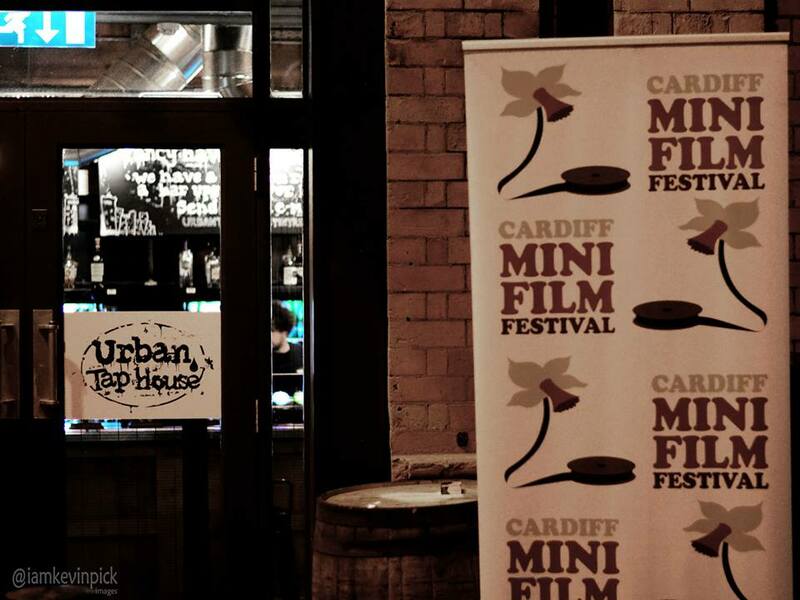 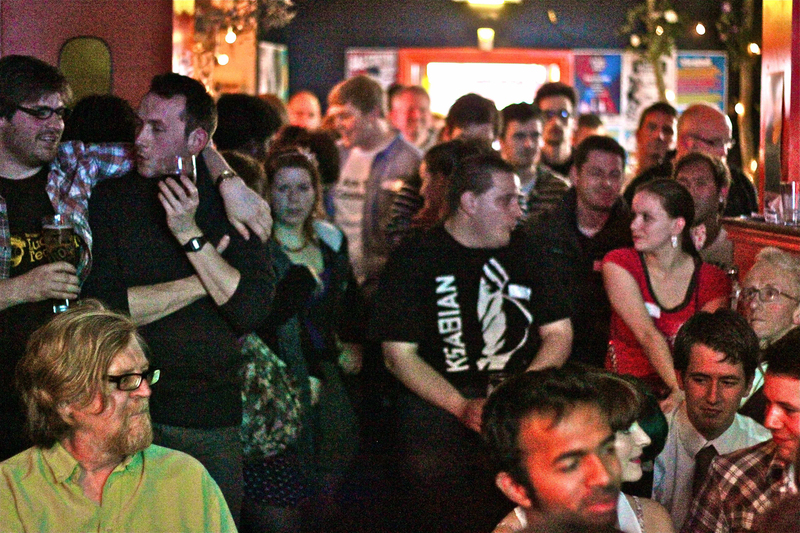 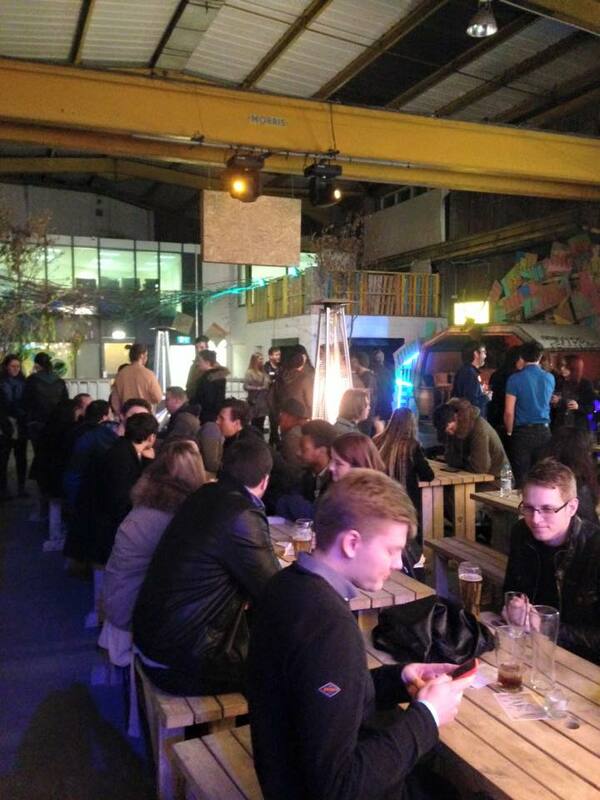 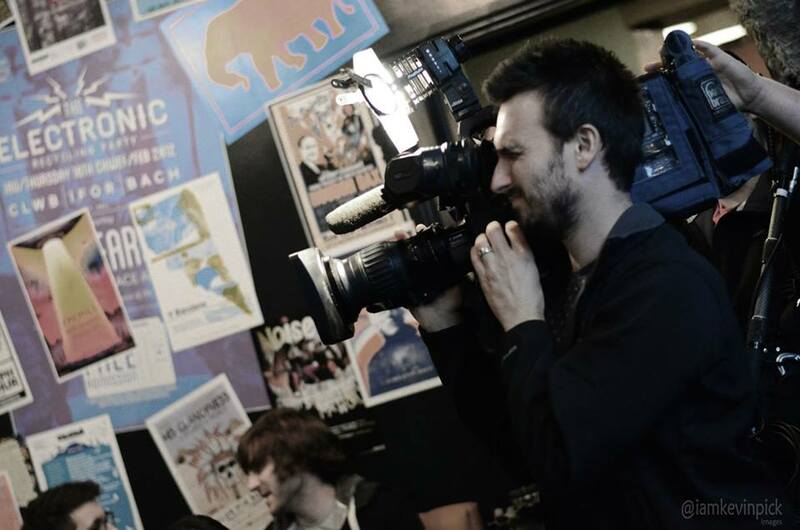 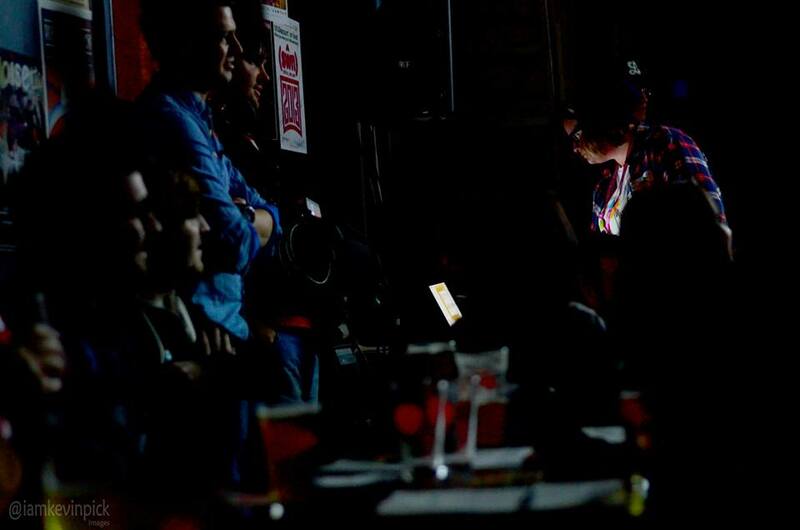 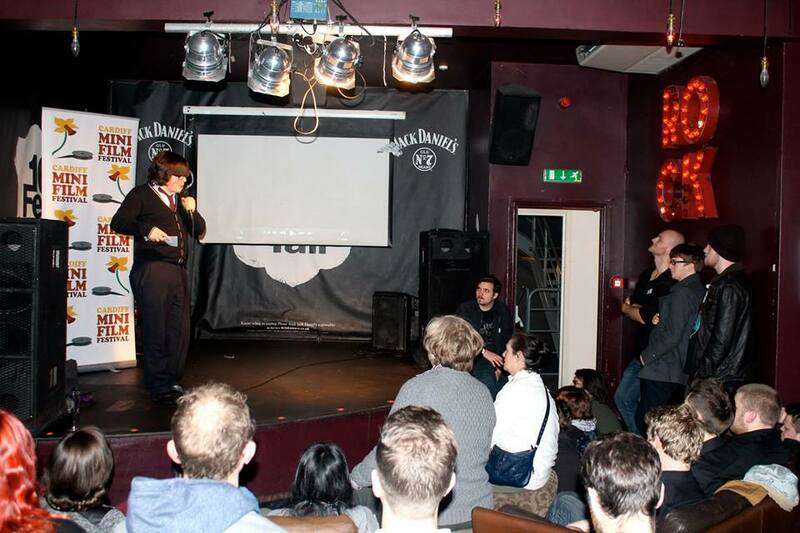 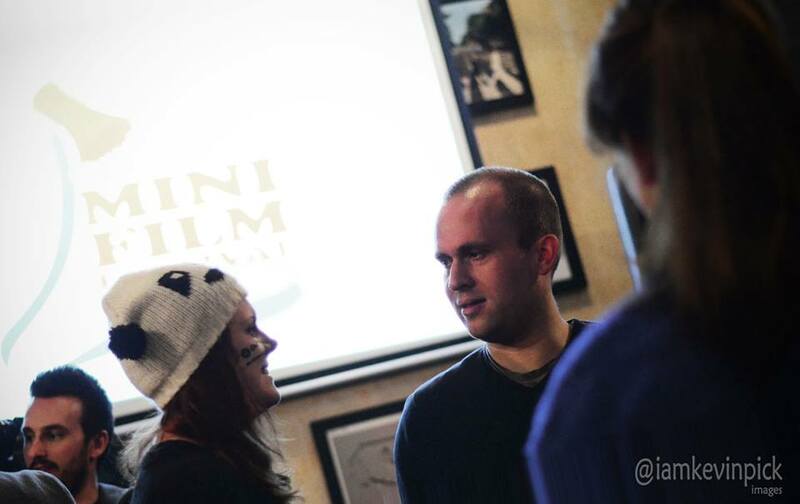 November of 2013 saw the very first Cardiff Mini Music Video Festival, held at Urban Tap House. 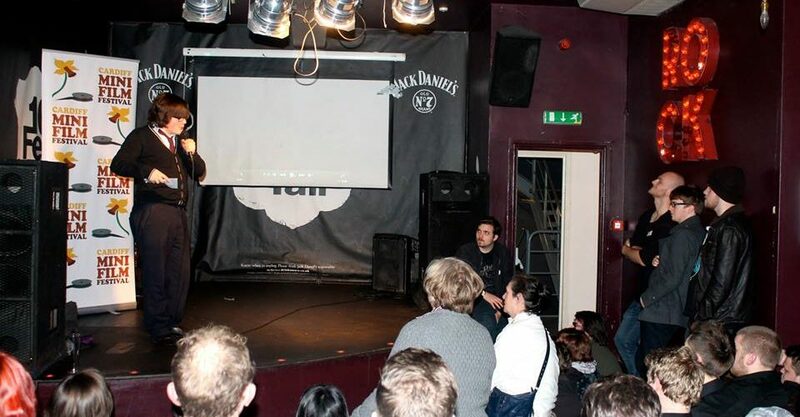 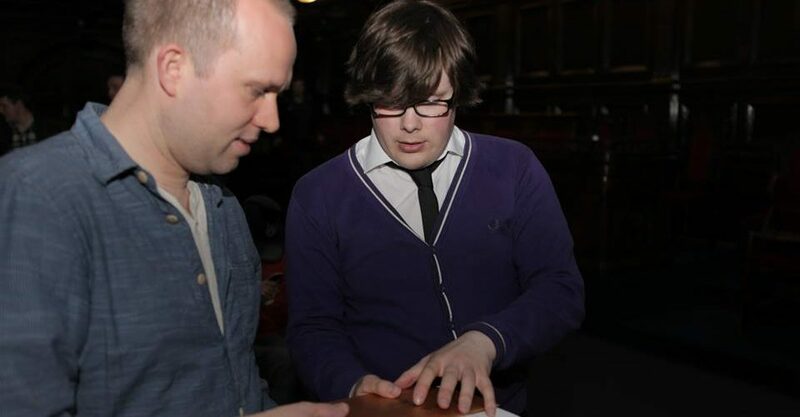 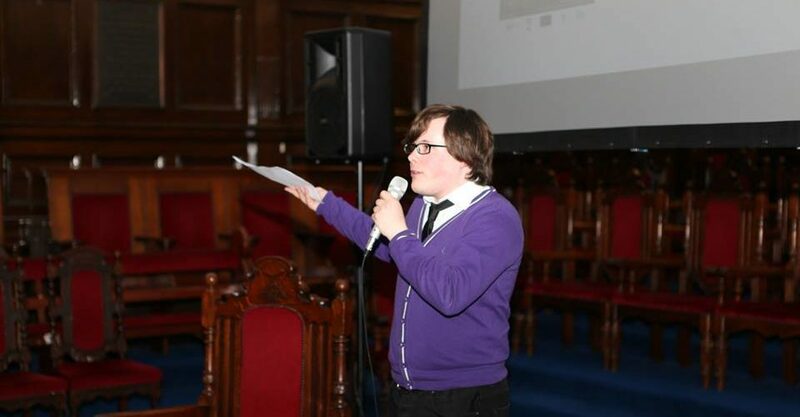 Screenings of the music videos were accompanied by special guests including writer & actor Boyd Clack along with the announcement of the winning music video. 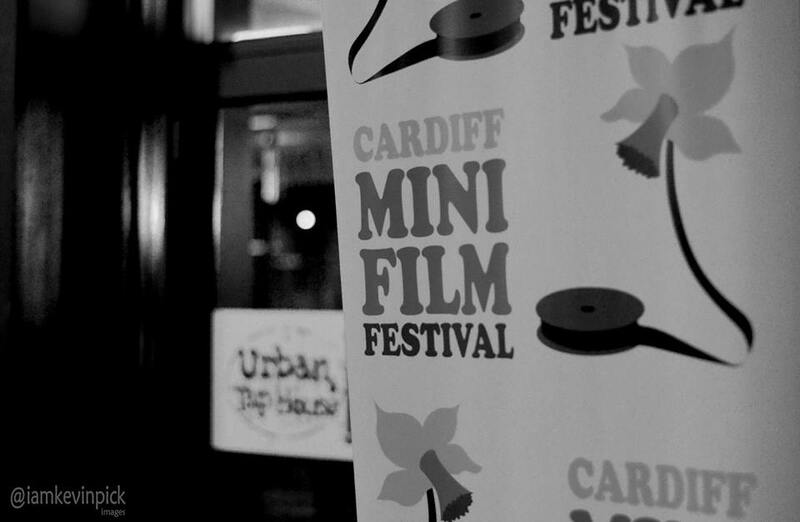 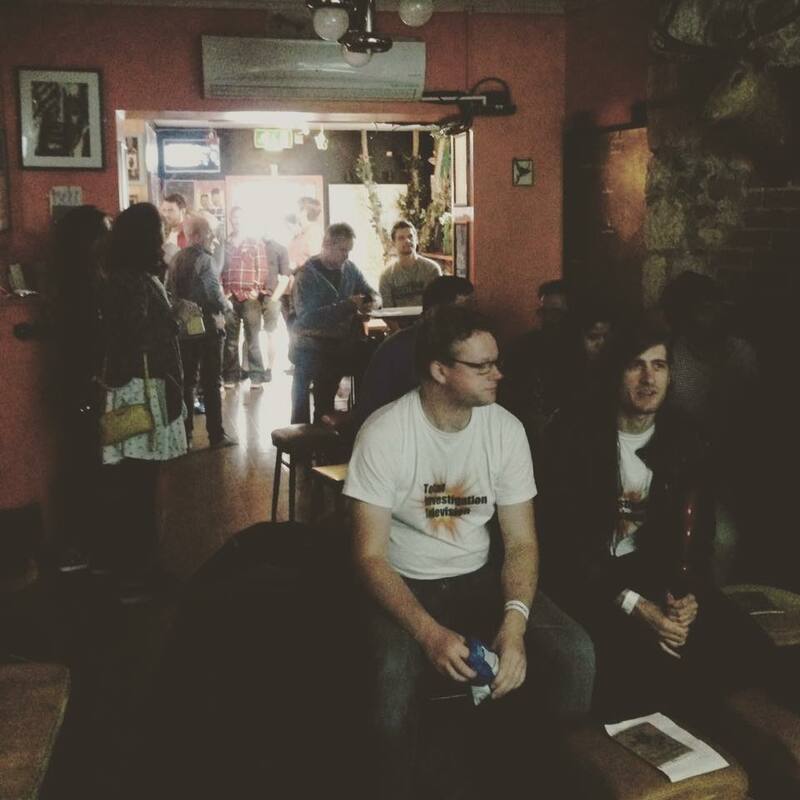 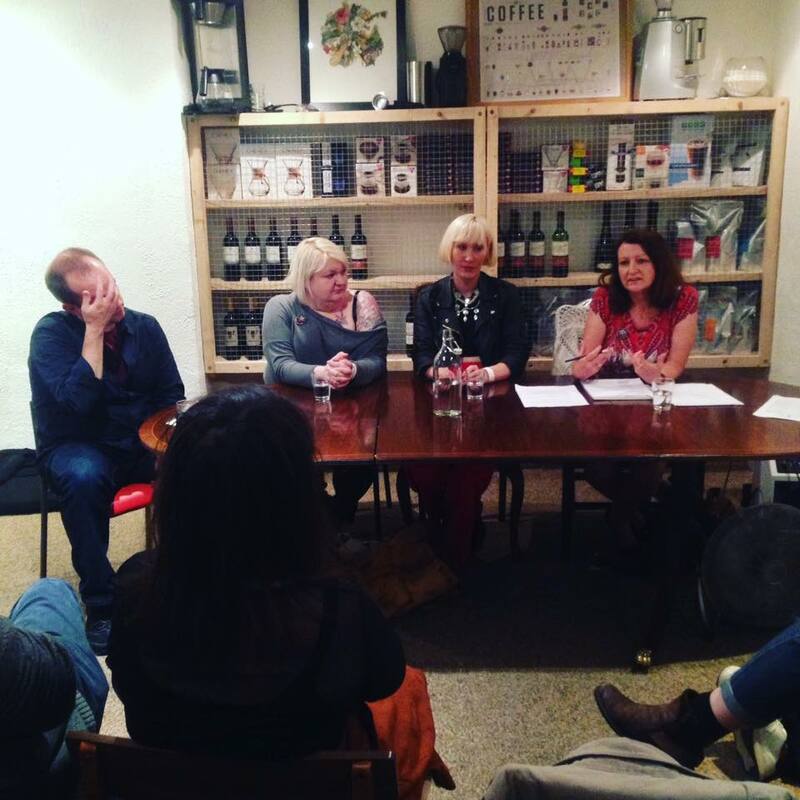 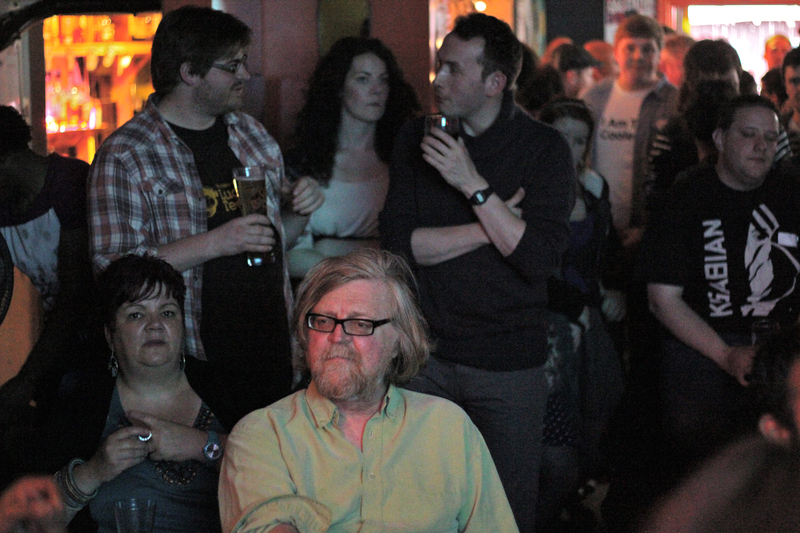 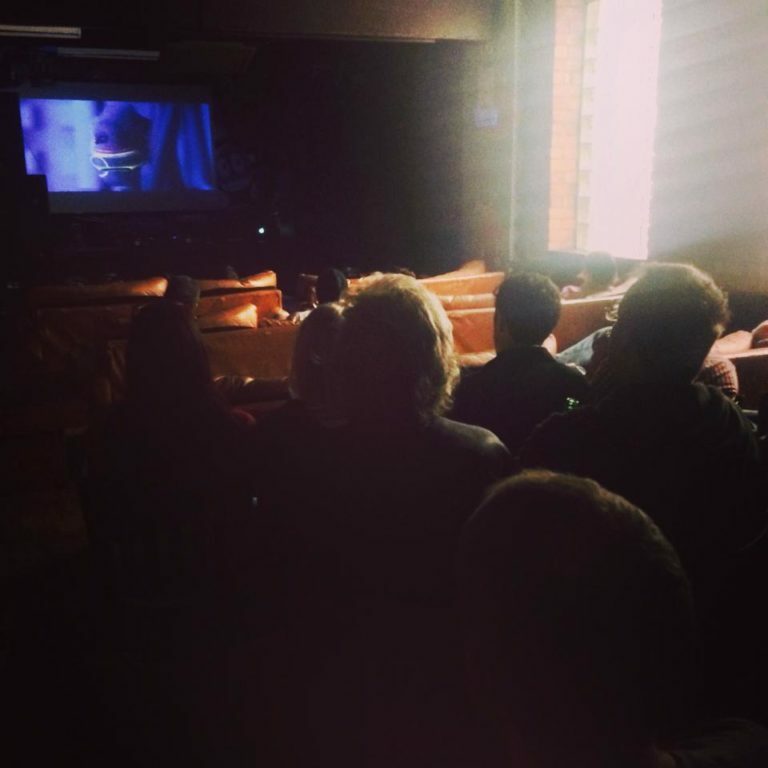 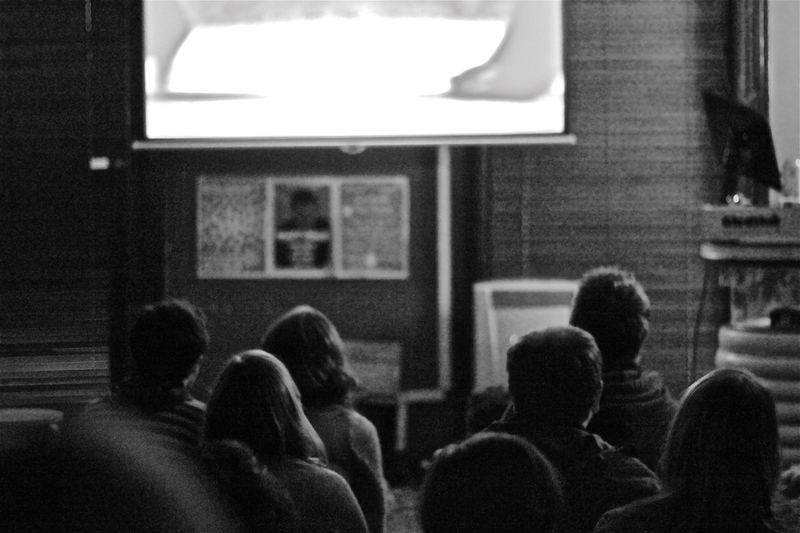 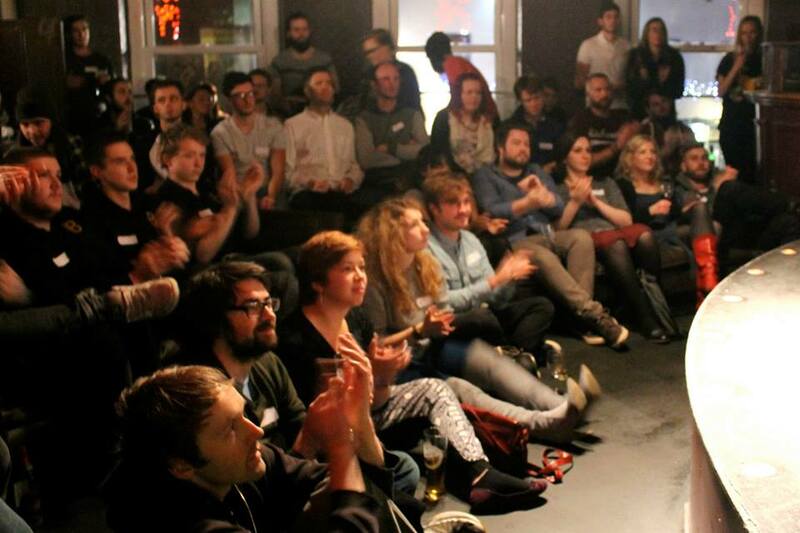 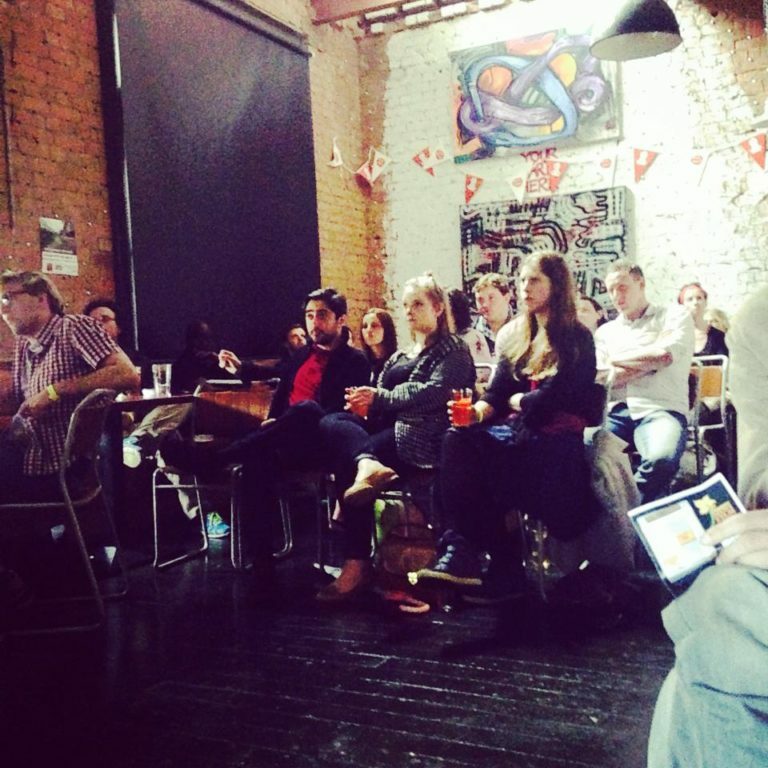 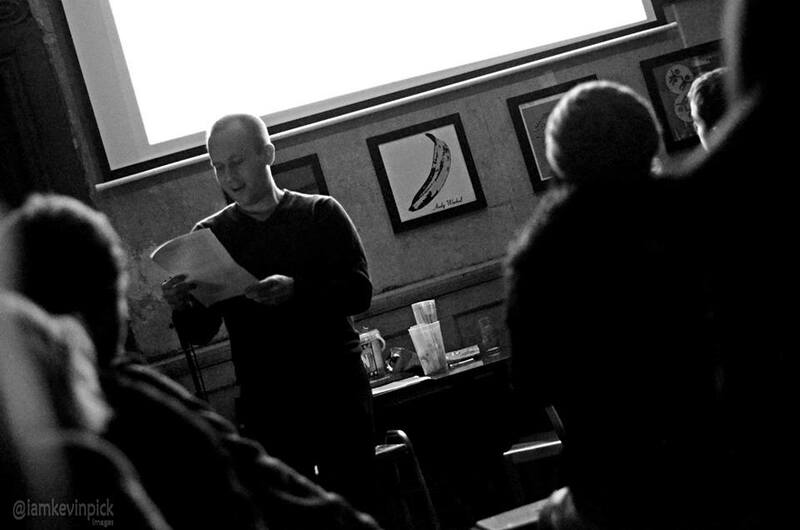 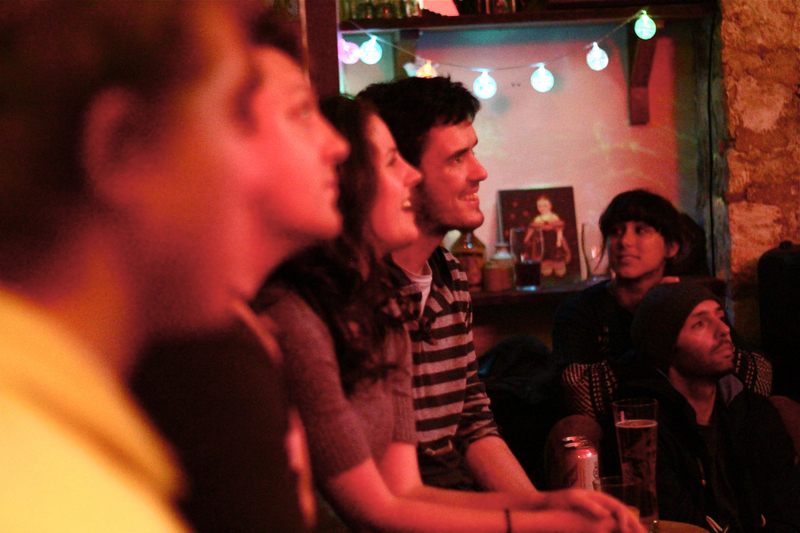 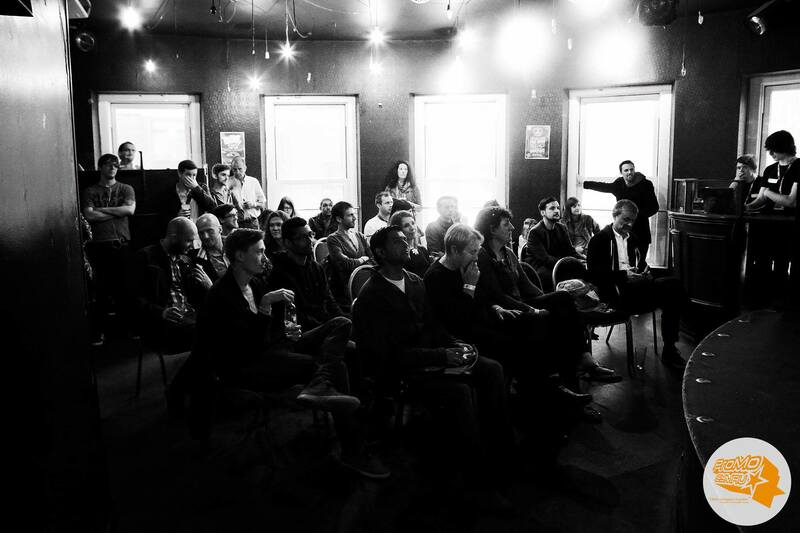 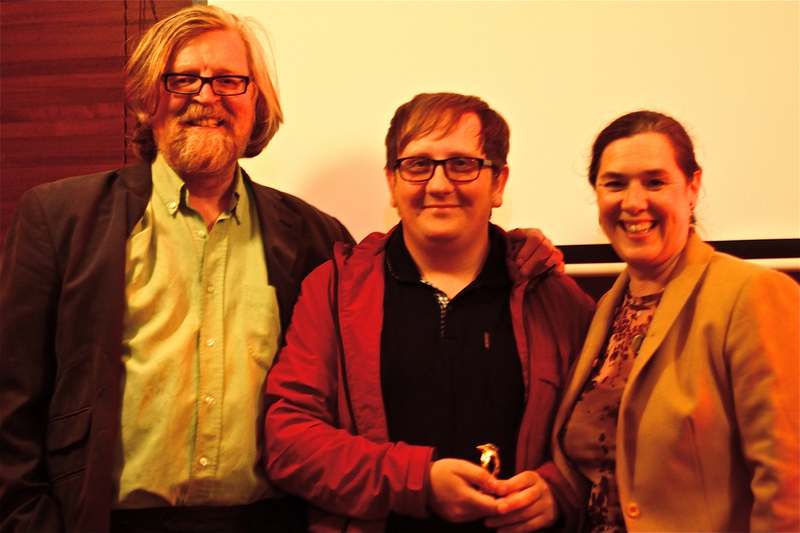 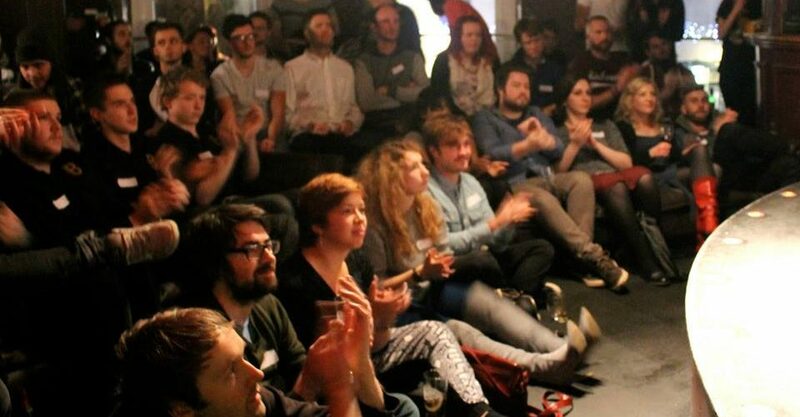 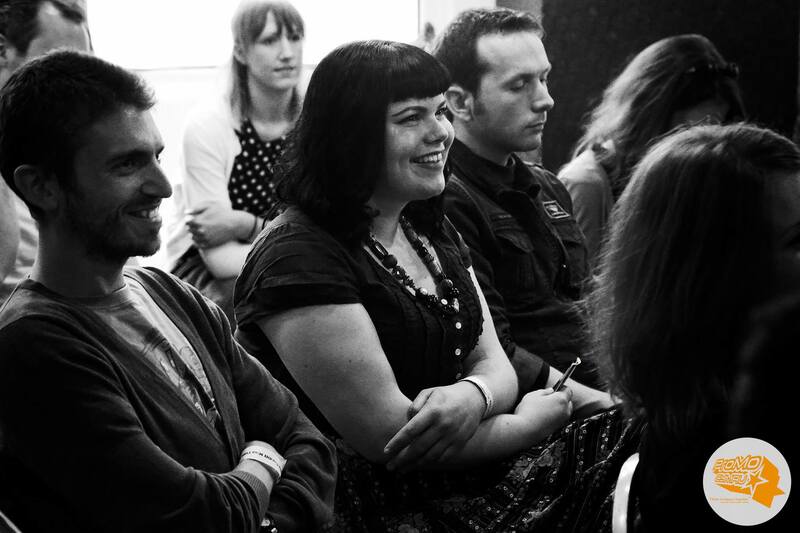 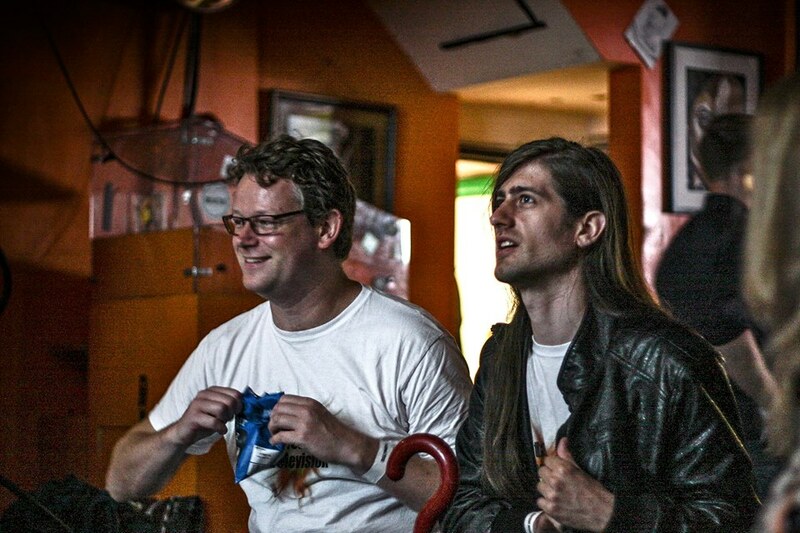 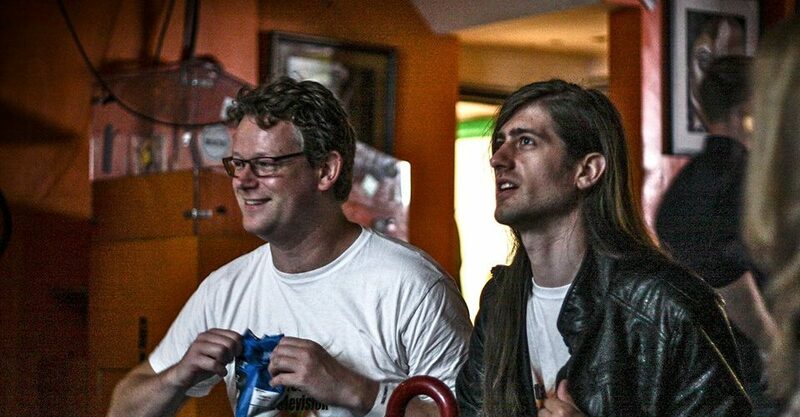 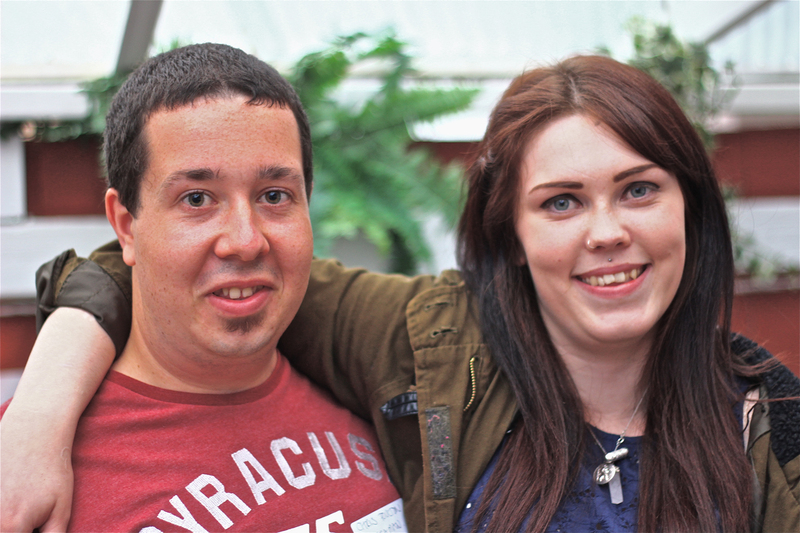 The very first Cardiff Mini Film Festival was held at Gwdihw on June 17th. 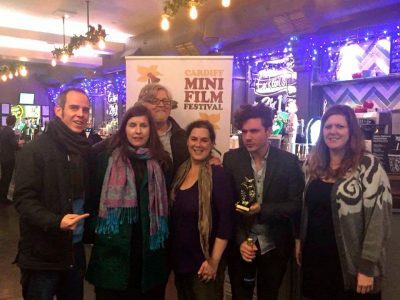 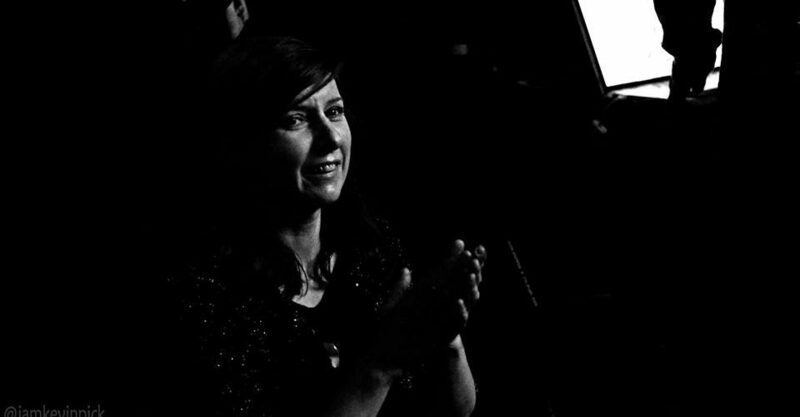 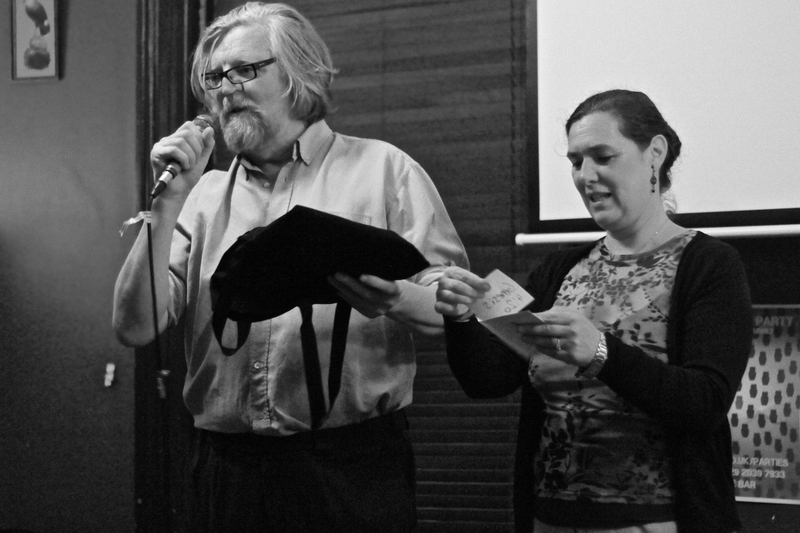 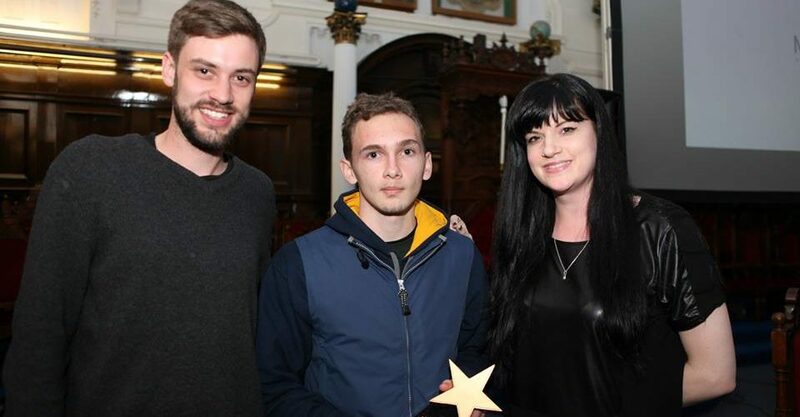 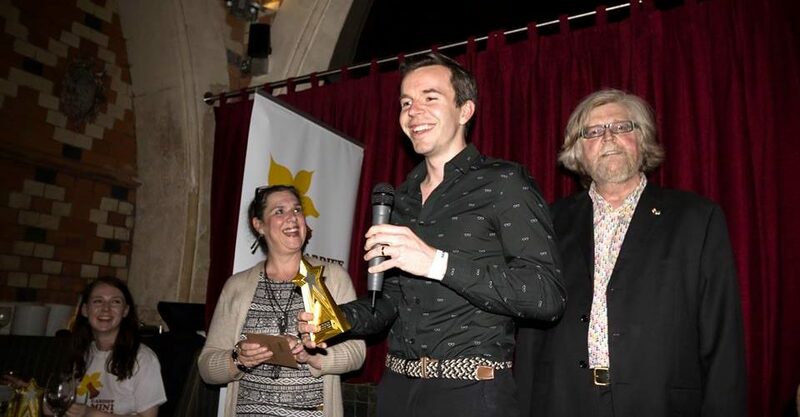 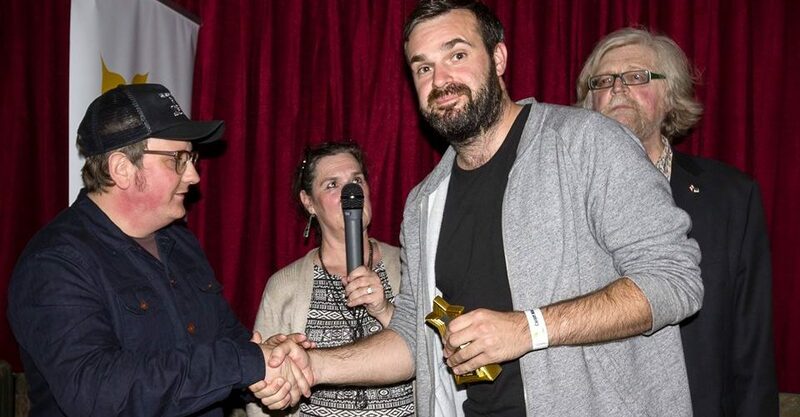 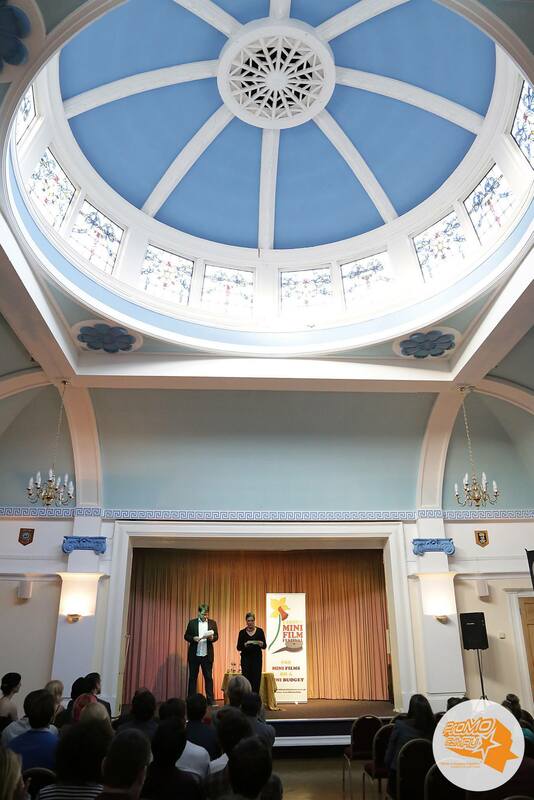 The festival included a film showcase, Oxjam buskers, an audience choice award, prizes and special guests including Philip John, Boyd Clack and Kirsten Jones. 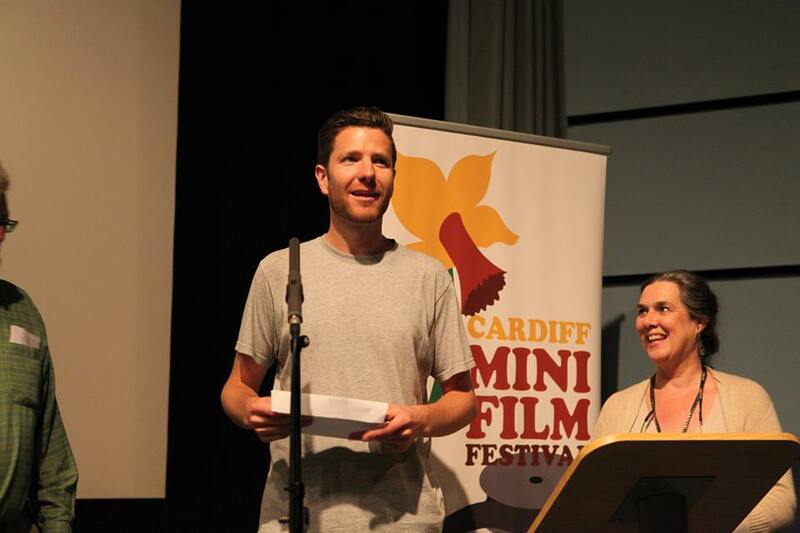 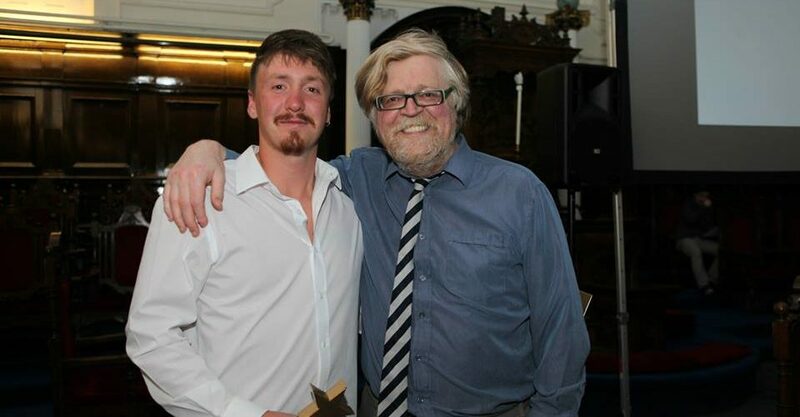 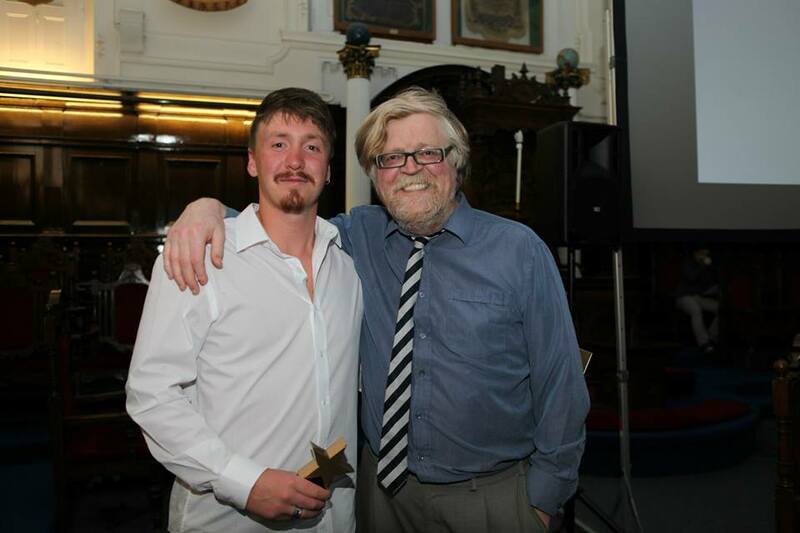 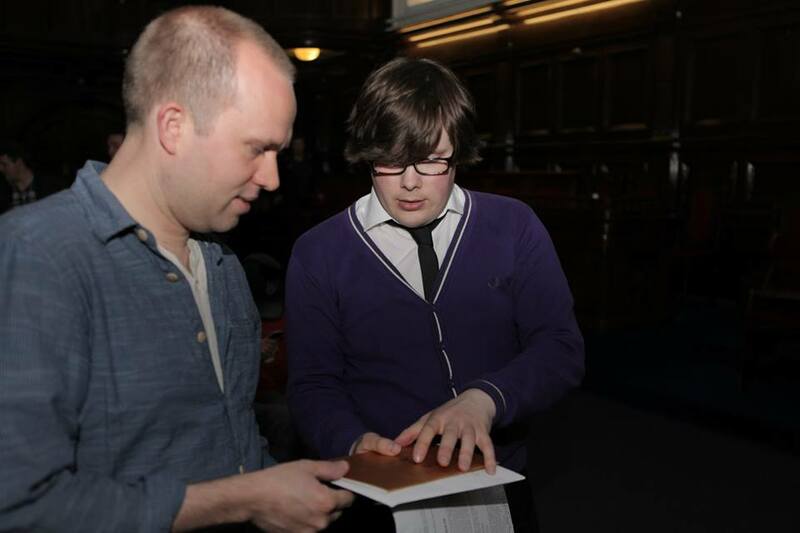 Ryan Owen-Eddleston was the first winner of the festival with his short ‘Sink’ as chosen by Philip John. 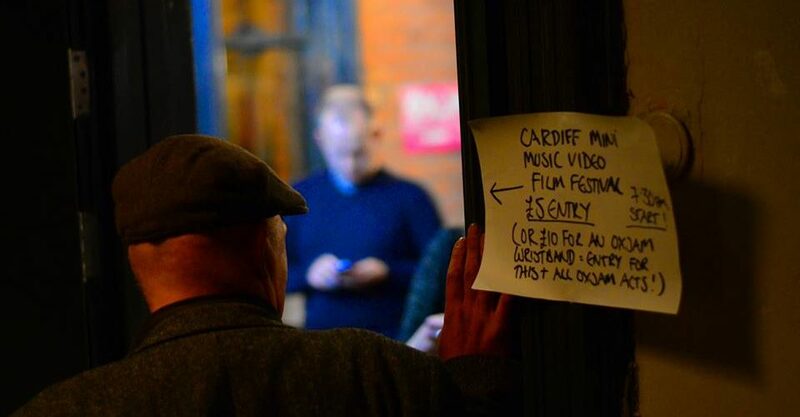 © 2019 Cardiff Mini Film Festival / Bulldozer Films LTD.